Sharon Cowburn, Managing Director, signed the Time to Change pledge in front of her management team and presented it to all staff in early 2016. A Focus Group now meets regularly to develop a range of initiatives to impact the well-being and resilience of our staff, customers and children. All staff members have been offered a Mental Health Awareness First Aid course (Level 2) and we are delighted that 35 , approximately a quarter of our team, successfully completed it. In addition, the Managing Director is a qualified Mental Health First Aid (MHFA) trainer and 3 senior members of staff have completed the accredited 2 day MHFA course. We continue to demonstrate our commitment to treating mental and physical health equally. 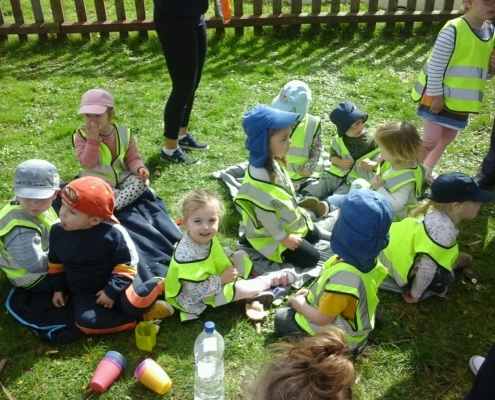 On Tuesday 8th May 2018 Flying Start Nurseries celebrated 25 years of trading. We offer our heartfelt thanks to families who have supported us for a quarter of a century! 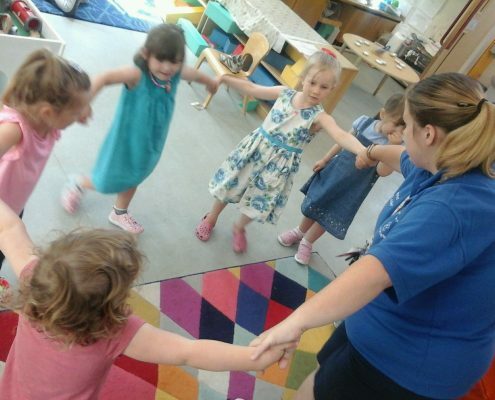 Providing quality childcare across Cornwall & Devon for 25 years! 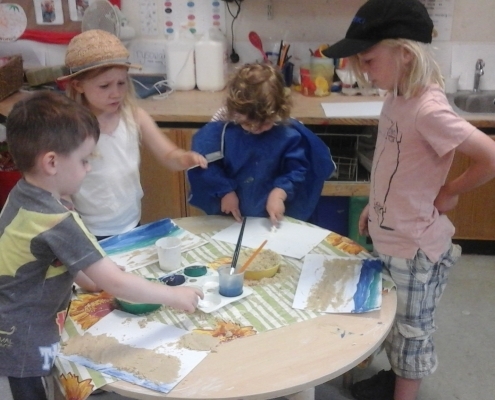 The proprietors and the nursery team aim to provide high quality daycare for your child. 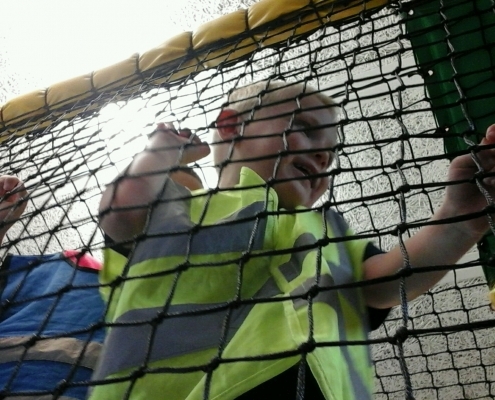 We offer a secure, caring, yet stimulating environment in which your child can enjoy a wide range of experiences. 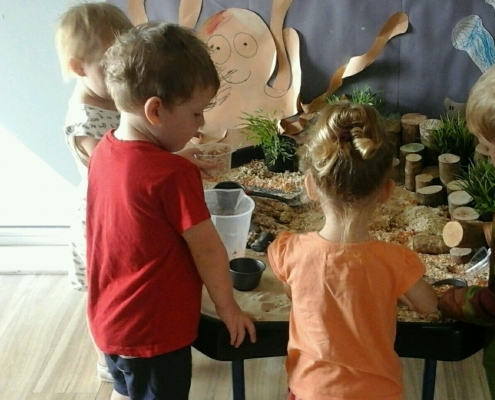 Through an understanding of the needs of each unique child we endeavour to establish positive relationships and create an individually tailored learning environment to enable developmental progress. 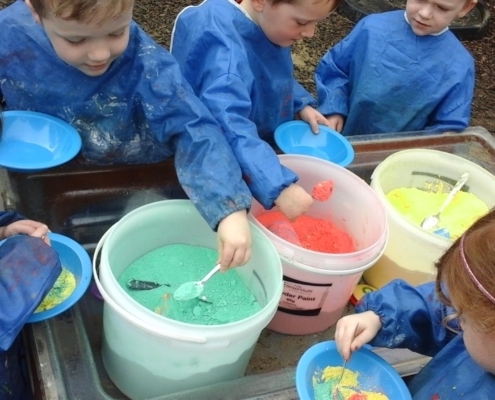 By provision of an ‘active learning’ environment we hope to facilitate each child to explore their personal capabilities and to develop their early understanding and skills in ways that will provide a firm foundation for their progression to primary school. 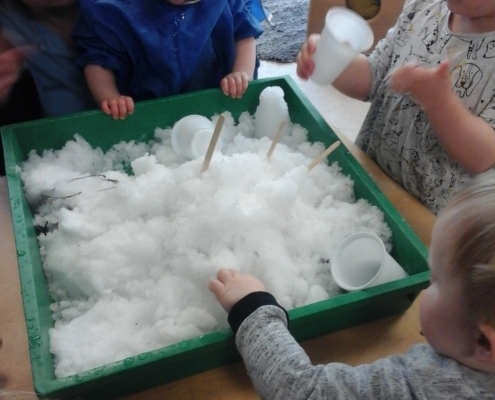 Flying Start @ Saltash Babies Do Ice Sensory! 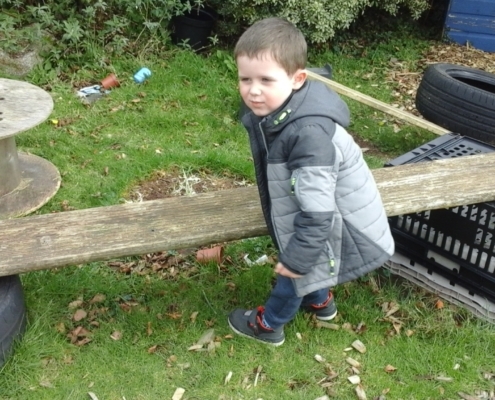 https://www.flyingstart.uk.com/wp-content/uploads/2019/04/IMG_20190409_094201.jpg 1440 2560 Amber https://www.flyingstart.uk.com/wp-content/uploads/2014/02/Flying-Start-logo1.png Amber2019-04-15 20:38:402019-04-15 20:38:40Flying Start @ Saltash Babies Do Ice Sensory! 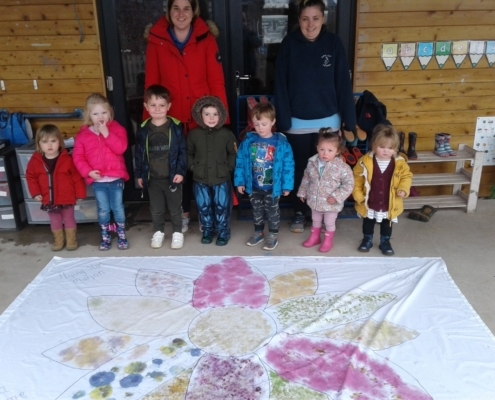 Flying Start @ Camborne Make Large Garden Art! https://www.flyingstart.uk.com/wp-content/uploads/2019/04/IMG_20190402_094040.jpg 2048 1152 Amber https://www.flyingstart.uk.com/wp-content/uploads/2014/02/Flying-Start-logo1.png Amber2019-04-15 19:29:322019-04-15 19:29:32Flying Start @ Camborne Make Large Garden Art! 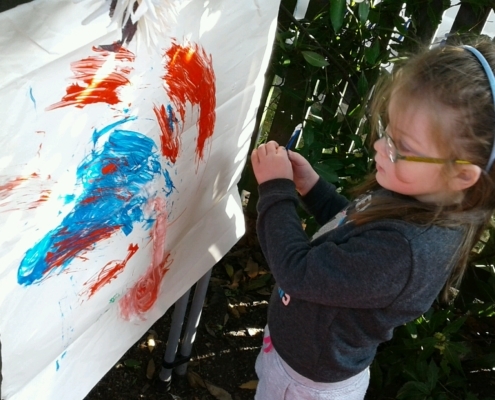 Flying Start @ Cornwall College Babies Do Outdoor Painting! 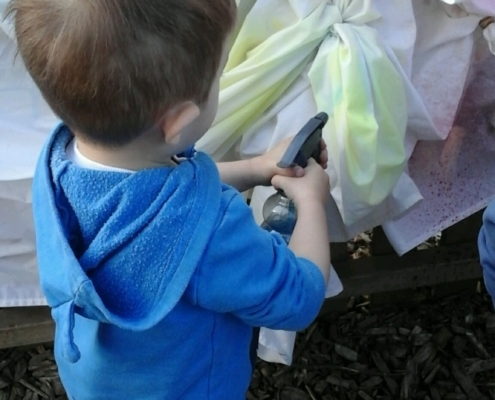 https://www.flyingstart.uk.com/wp-content/uploads/2019/04/IMG_20190402_095712.jpg 1536 2048 Amber https://www.flyingstart.uk.com/wp-content/uploads/2014/02/Flying-Start-logo1.png Amber2019-04-12 10:32:102019-04-15 19:43:10Flying Start @ Cornwall College Babies Do Outdoor Painting! 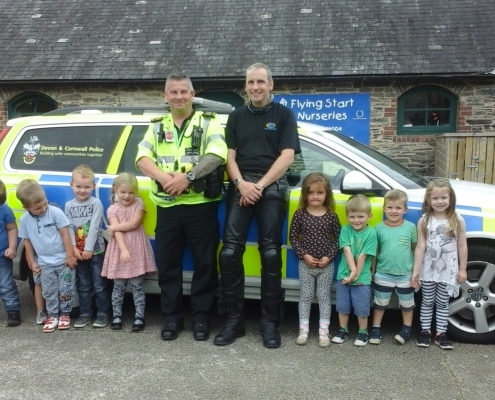 Flying Start @ Duchy Have Local Police Visit! https://www.flyingstart.uk.com/wp-content/uploads/2019/04/20190408_114352.jpg 1152 2048 Amber https://www.flyingstart.uk.com/wp-content/uploads/2014/02/Flying-Start-logo1.png Amber2019-04-12 09:50:202019-04-15 19:57:06Flying Start @ Duchy Have Local Police Visit! 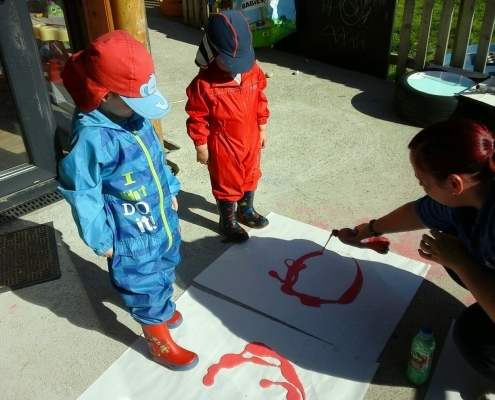 Flying Start @ Marjon Create Large Scale Art Outdoors! https://www.flyingstart.uk.com/wp-content/uploads/2019/04/20190405_113359.jpg 1212 1616 Amber https://www.flyingstart.uk.com/wp-content/uploads/2014/02/Flying-Start-logo1.png Amber2019-04-12 09:09:412019-04-15 20:16:05Flying Start @ Marjon Create Large Scale Art Outdoors! 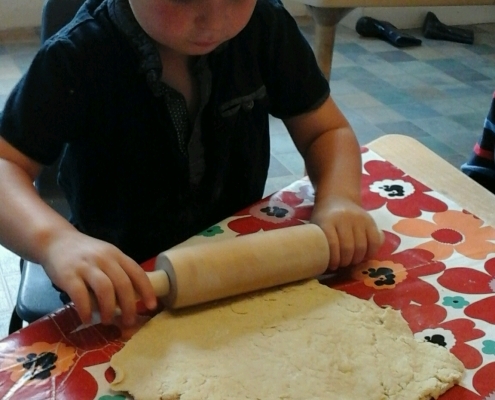 Flying Start @ Redruth Bake Fresh Bread! https://www.flyingstart.uk.com/wp-content/uploads/2019/04/20190401_103916-1.jpg 1152 2048 Amber https://www.flyingstart.uk.com/wp-content/uploads/2014/02/Flying-Start-logo1.png Amber2019-04-11 10:02:382019-04-15 20:32:07Flying Start @ Redruth Bake Fresh Bread! 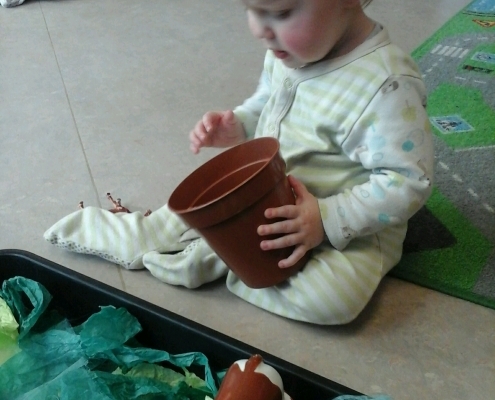 Flying Start @ Marjon Do Gardening Project! https://www.flyingstart.uk.com/wp-content/uploads/2019/04/20190329_141940.jpg 1440 2560 Amber https://www.flyingstart.uk.com/wp-content/uploads/2014/02/Flying-Start-logo1.png Amber2019-04-09 09:01:252019-04-09 18:19:37Flying Start @ Marjon Do Gardening Project! Flying Start @ Saltash Do College Easter Egg Hunt! 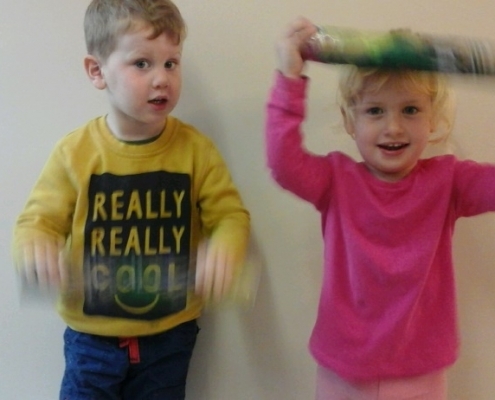 https://www.flyingstart.uk.com/wp-content/uploads/2019/04/Easter-at-the-college-9.jpg 1936 2592 Amber https://www.flyingstart.uk.com/wp-content/uploads/2014/02/Flying-Start-logo1.png Amber2019-04-08 10:22:132019-04-09 18:26:59Flying Start @ Saltash Do College Easter Egg Hunt! 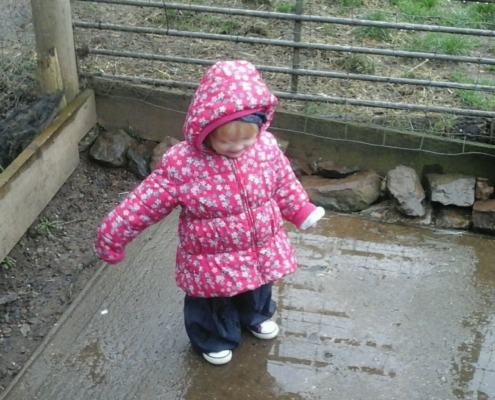 Flying Start @ Duchy Visit The College Farm! https://www.flyingstart.uk.com/wp-content/uploads/2019/04/20190329_114815.jpg 1152 2048 Amber https://www.flyingstart.uk.com/wp-content/uploads/2014/02/Flying-Start-logo1.png Amber2019-04-06 09:54:392019-04-09 17:57:51Flying Start @ Duchy Visit The College Farm! Flying Start @ Helston Visit Local Boating Lake! 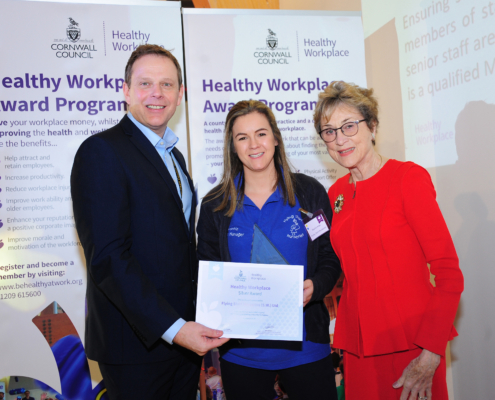 https://www.flyingstart.uk.com/wp-content/uploads/2019/04/IMG_20190326_115700.jpg 1536 2048 Amber https://www.flyingstart.uk.com/wp-content/uploads/2014/02/Flying-Start-logo1.png Amber2019-04-06 09:00:592019-04-15 20:05:02Flying Start @ Helston Visit Local Boating Lake! 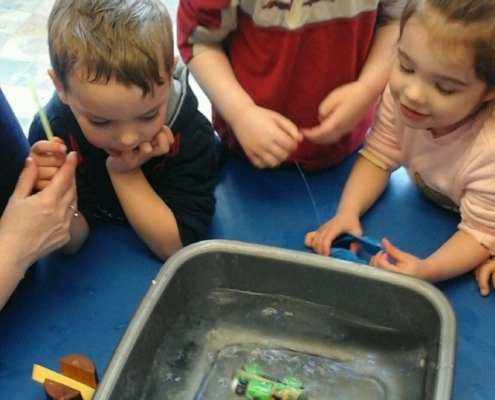 Flying Start @ Camborne Do Floating & Sinking Experiments! https://www.flyingstart.uk.com/wp-content/uploads/2019/04/IMG_20190306_103521.jpg 2048 1152 Amber https://www.flyingstart.uk.com/wp-content/uploads/2014/02/Flying-Start-logo1.png Amber2019-04-05 10:16:512019-04-15 19:22:18Flying Start @ Camborne Do Floating & Sinking Experiments! Flying Start @ Cornwall College Host Mothers Day Tea Party! https://www.flyingstart.uk.com/wp-content/uploads/2019/04/50th-Anniversary.jpg 1152 2048 Amber https://www.flyingstart.uk.com/wp-content/uploads/2014/02/Flying-Start-logo1.png Amber2019-04-02 16:51:542019-04-03 17:16:36Flying Start @ Cornwall College Host Mothers Day Tea Party! 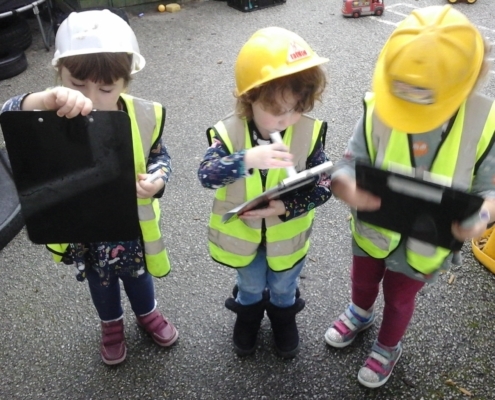 Flying Start @ Redruth Have Space Expert Visit! https://www.flyingstart.uk.com/wp-content/uploads/2019/04/20190327_092527.jpg 1152 2048 Amber https://www.flyingstart.uk.com/wp-content/uploads/2014/02/Flying-Start-logo1.png Amber2019-04-02 09:21:072019-04-15 20:22:43Flying Start @ Redruth Have Space Expert Visit! 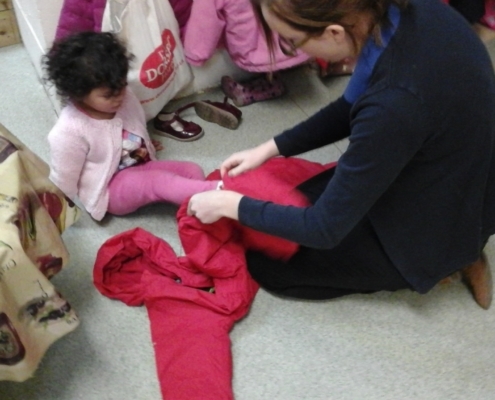 Flying Start @ Redruth Host Mother's Day Stay & Play! https://www.flyingstart.uk.com/wp-content/uploads/2019/04/20190329_133038-e1554313853688.jpg 2048 1152 Amber https://www.flyingstart.uk.com/wp-content/uploads/2014/02/Flying-Start-logo1.png Amber2019-04-01 10:46:592019-04-03 17:54:34Flying Start @ Redruth Host Mother's Day Stay & Play! 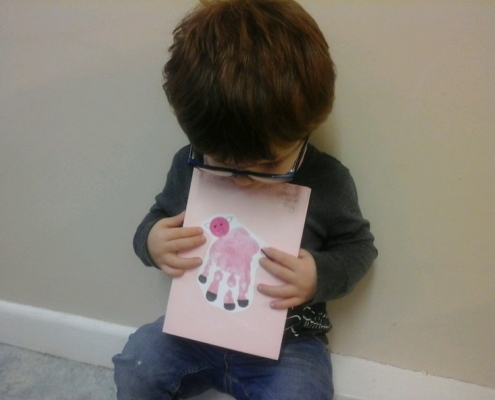 Flying Start @ Helston Make Mother's Day Cards! https://www.flyingstart.uk.com/wp-content/uploads/2019/04/IMG_20190211_092948.jpg 1152 2048 Amber https://www.flyingstart.uk.com/wp-content/uploads/2014/02/Flying-Start-logo1.png Amber2019-04-01 10:25:292019-04-03 17:44:21Flying Start @ Helston Make Mother's Day Cards! 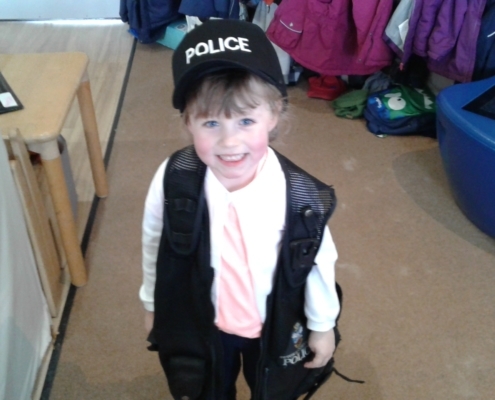 Flying Start @ Marjon Have Local Police Visit! https://www.flyingstart.uk.com/wp-content/uploads/2019/04/20190321_114001.jpg 1440 2560 Amber https://www.flyingstart.uk.com/wp-content/uploads/2014/02/Flying-Start-logo1.png Amber2019-04-01 09:06:082019-04-09 18:19:53Flying Start @ Marjon Have Local Police Visit! Flying Start @ Saltash Do Giant Garden Art! https://www.flyingstart.uk.com/wp-content/uploads/2019/04/Spring-12.jpg 1440 2560 Amber https://www.flyingstart.uk.com/wp-content/uploads/2014/02/Flying-Start-logo1.png Amber2019-03-31 09:28:302019-04-09 18:35:18Flying Start @ Saltash Do Giant Garden Art! 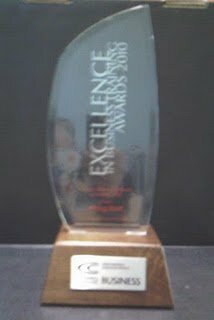 Flying Start Nurseries Win Silver Award For Healthy Workplaces! 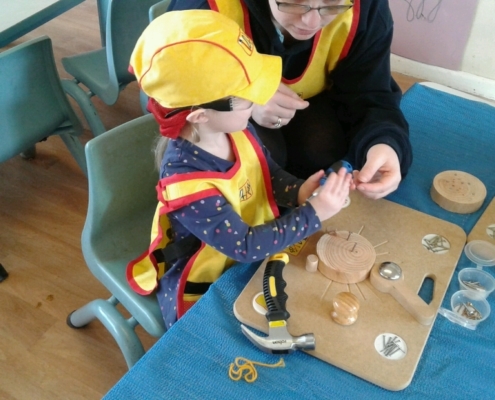 https://www.flyingstart.uk.com/wp-content/uploads/2019/04/Flying-Start.jpg 2764 3766 Amber https://www.flyingstart.uk.com/wp-content/uploads/2014/02/Flying-Start-logo1.png Amber2019-03-31 09:00:082019-04-02 20:56:59Flying Start Nurseries Win Silver Award For Healthy Workplaces! 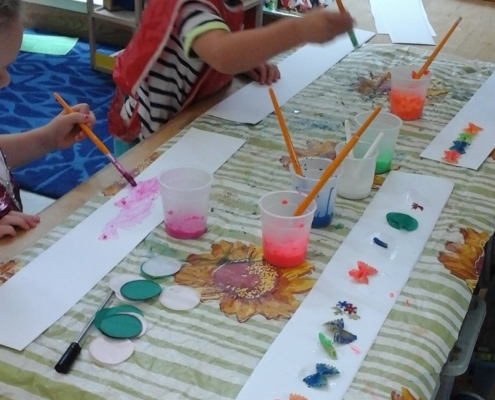 Flying Start @ Camborne Do Colour Experiments! https://www.flyingstart.uk.com/wp-content/uploads/2019/03/IMG_20190322_135320.jpg 1152 2048 Amber https://www.flyingstart.uk.com/wp-content/uploads/2014/02/Flying-Start-logo1.png Amber2019-03-24 10:07:442019-03-25 22:14:12Flying Start @ Camborne Do Colour Experiments! Flying Start @ Redruth Celebrate Holi Festival! https://www.flyingstart.uk.com/wp-content/uploads/2019/03/20190321_101437.jpg 1152 2048 Amber https://www.flyingstart.uk.com/wp-content/uploads/2014/02/Flying-Start-logo1.png Amber2019-03-24 09:26:082019-03-25 22:35:27Flying Start @ Redruth Celebrate Holi Festival! 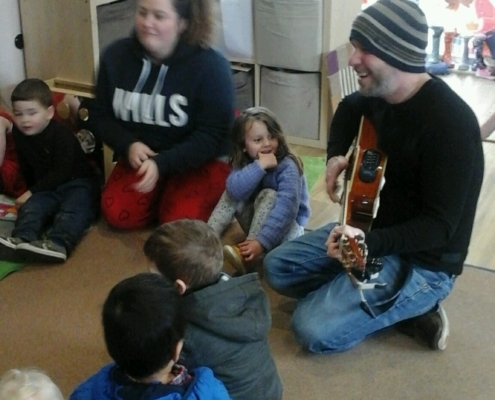 Flying Start @ Marjon Welcome The Music Man! https://www.flyingstart.uk.com/wp-content/uploads/2019/03/IMG_20190315_152000.jpg 2048 1152 Amber https://www.flyingstart.uk.com/wp-content/uploads/2014/02/Flying-Start-logo1.png Amber2019-03-24 09:19:332019-03-25 22:23:52Flying Start @ Marjon Welcome The Music Man! Flying Start @ Cornwall College Celebrate Holi Festival! 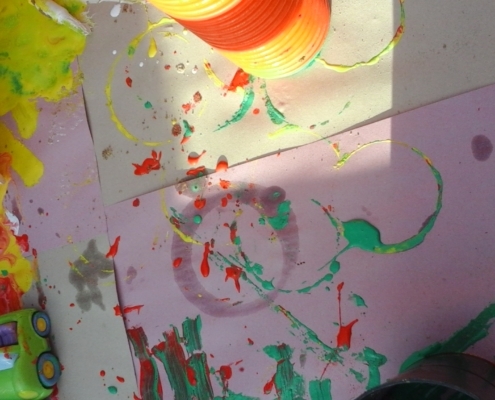 https://www.flyingstart.uk.com/wp-content/uploads/2019/04/Holi-2.jpg 1152 2048 Amber https://www.flyingstart.uk.com/wp-content/uploads/2014/02/Flying-Start-logo1.png Amber2019-03-22 09:00:382019-04-03 17:24:38Flying Start @ Cornwall College Celebrate Holi Festival! 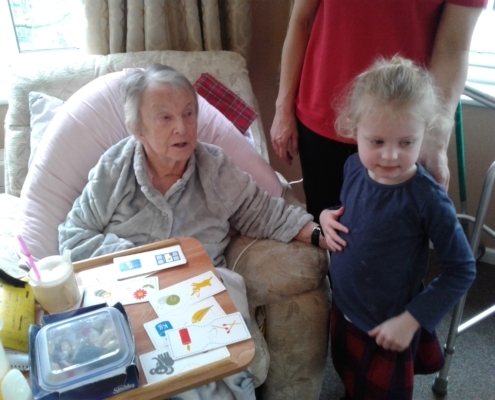 Flying Start @ Marjon Visit Local Residential Home! https://www.flyingstart.uk.com/wp-content/uploads/2019/03/20190131_110019.jpg 1212 1616 Amber https://www.flyingstart.uk.com/wp-content/uploads/2014/02/Flying-Start-logo1.png Amber2019-03-19 10:51:312019-03-19 22:59:05Flying Start @ Marjon Visit Local Residential Home! 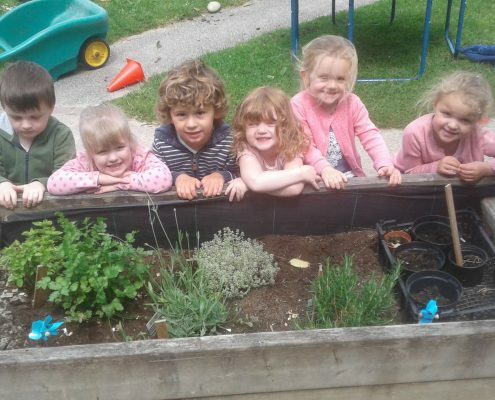 Flying Start @ Saltash Do A Gardening Project! 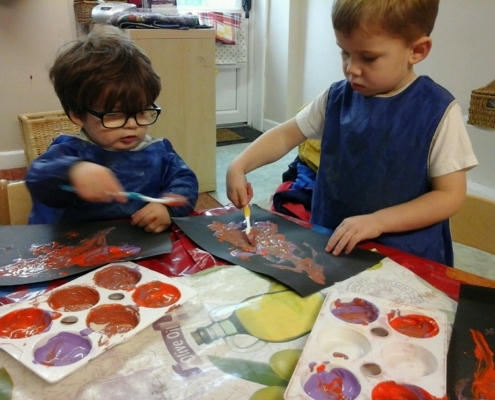 https://www.flyingstart.uk.com/wp-content/uploads/2019/03/Preschool-growing-3.jpg 1440 2560 Amber https://www.flyingstart.uk.com/wp-content/uploads/2014/02/Flying-Start-logo1.png Amber2019-03-19 09:46:442019-03-22 17:20:35Flying Start @ Saltash Do A Gardening Project! 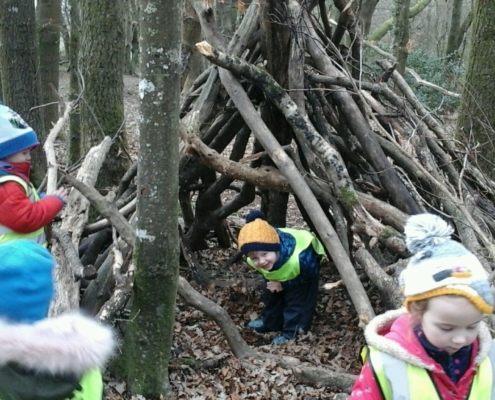 Flying Start @ Duchy Host Forest School Stay & Play! https://www.flyingstart.uk.com/wp-content/uploads/2019/03/20190305_105347.jpg 1152 2048 Amber https://www.flyingstart.uk.com/wp-content/uploads/2014/02/Flying-Start-logo1.png Amber2019-03-18 10:41:492019-03-19 22:51:04Flying Start @ Duchy Host Forest School Stay & Play! 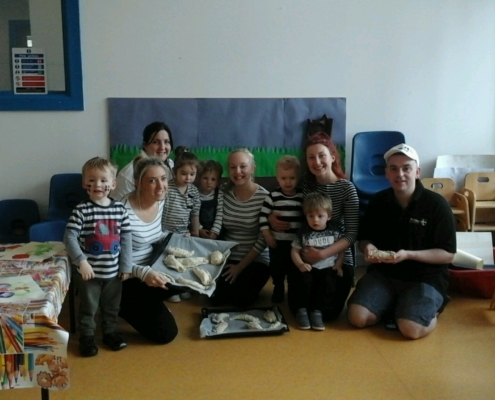 Flying Start @ Camborne Toddlers Bake Owl Cakes! https://www.flyingstart.uk.com/wp-content/uploads/2019/03/IMG_20190314_102937.jpg 1152 2048 Amber https://www.flyingstart.uk.com/wp-content/uploads/2014/02/Flying-Start-logo1.png Amber2019-03-18 09:33:102019-03-19 22:40:43Flying Start @ Camborne Toddlers Bake Owl Cakes! 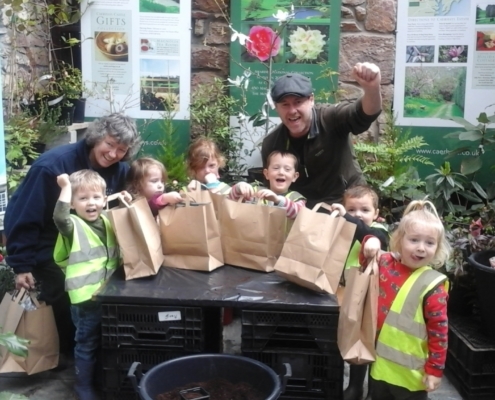 Flying Start @ Redruth Visited Burncoose Nurseries! https://www.flyingstart.uk.com/wp-content/uploads/2019/03/20190306_115308.jpg 1152 2048 Amber https://www.flyingstart.uk.com/wp-content/uploads/2014/02/Flying-Start-logo1.png Amber2019-03-12 12:36:342019-03-11 20:41:37Flying Start @ Redruth Visited Burncoose Nurseries! 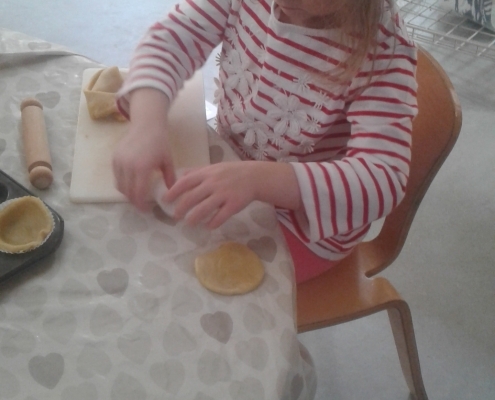 Flying Start @ Redruth Bake Scones For St. Piran's Day! https://www.flyingstart.uk.com/wp-content/uploads/2019/03/20190305_112548-e1553120178237.jpg 2048 1536 Amber https://www.flyingstart.uk.com/wp-content/uploads/2014/02/Flying-Start-logo1.png Amber2019-03-12 09:10:532019-03-20 22:18:20Flying Start @ Redruth Bake Scones For St. Piran's Day! 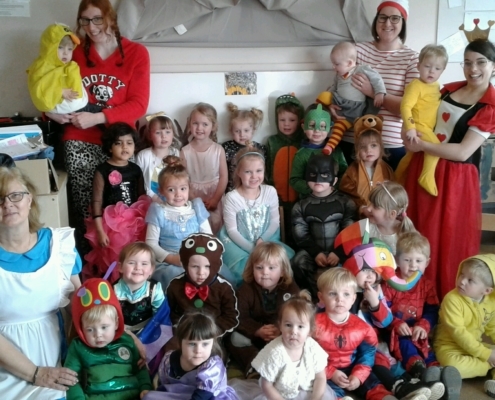 Flying Start @ Saltash Celebrated World Book Day! 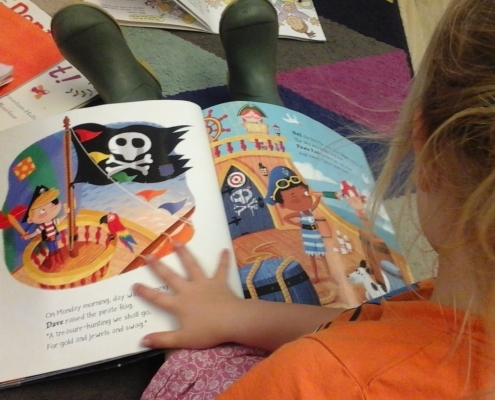 https://www.flyingstart.uk.com/wp-content/uploads/2019/03/World-book-day-1.jpg 1440 2560 Amber https://www.flyingstart.uk.com/wp-content/uploads/2014/02/Flying-Start-logo1.png Amber2019-03-12 08:44:342019-03-11 20:49:41Flying Start @ Saltash Celebrated World Book Day! 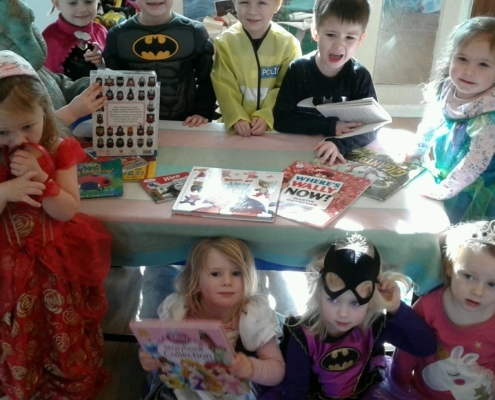 Flying Start @ Marjon Celebrate World Book Day! 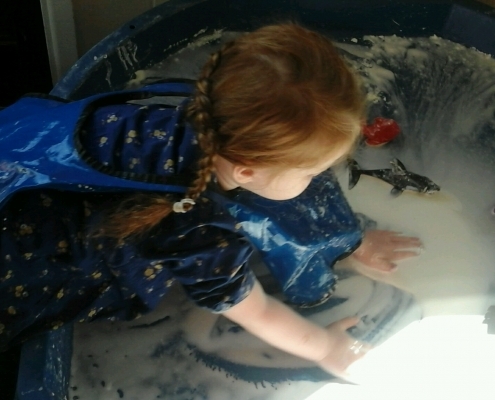 https://www.flyingstart.uk.com/wp-content/uploads/2019/03/IMG_20190307_113251.jpg 1440 2560 Amber https://www.flyingstart.uk.com/wp-content/uploads/2014/02/Flying-Start-logo1.png Amber2019-03-11 18:32:522019-03-11 20:34:42Flying Start @ Marjon Celebrate World Book Day! 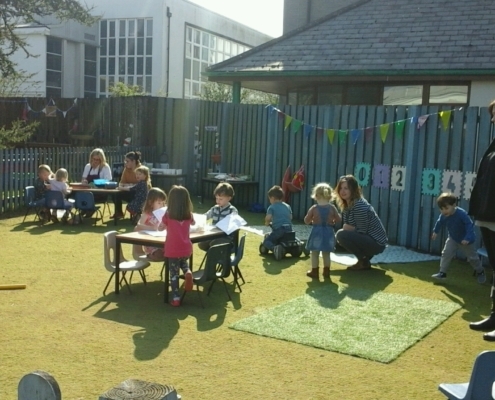 Flying Start @ Camborne Enjoy Stories Outdoors! https://www.flyingstart.uk.com/wp-content/uploads/2019/03/IMG_20190222_144354.jpg 1152 2048 Amber https://www.flyingstart.uk.com/wp-content/uploads/2014/02/Flying-Start-logo1.png Amber2019-03-11 16:19:462019-03-11 19:42:07Flying Start @ Camborne Enjoy Stories Outdoors! Flying Start @ Helston Visit Culdrose Fire Station! https://www.flyingstart.uk.com/wp-content/uploads/2019/03/IMG_20190215_103618.jpg 1152 2048 Amber https://www.flyingstart.uk.com/wp-content/uploads/2014/02/Flying-Start-logo1.png Amber2019-03-11 09:15:342019-03-11 20:27:06Flying Start @ Helston Visit Culdrose Fire Station! 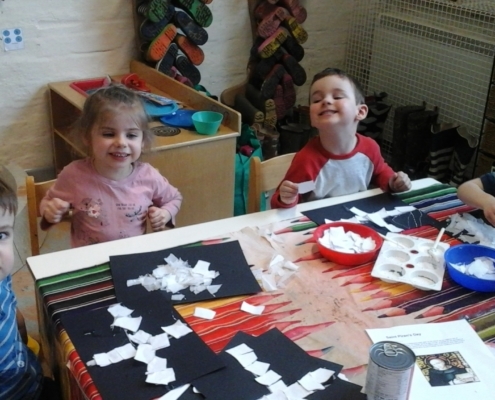 Flying Start @ Duchy Made St. Piran's Flags! https://www.flyingstart.uk.com/wp-content/uploads/2019/03/20190305_154107.jpg 1152 2048 Amber https://www.flyingstart.uk.com/wp-content/uploads/2014/02/Flying-Start-logo1.png Amber2019-03-09 10:59:212019-03-11 20:07:23Flying Start @ Duchy Made St. Piran's Flags! Flying Start @ Cornwall College celebrated St. Piran's Day! https://www.flyingstart.uk.com/wp-content/uploads/2019/03/IMG_20190305_104657-1.jpg 1152 2048 Amber https://www.flyingstart.uk.com/wp-content/uploads/2014/02/Flying-Start-logo1.png Amber2019-03-09 09:49:192019-03-11 19:57:52Flying Start @ Cornwall College celebrated St. Piran's Day! 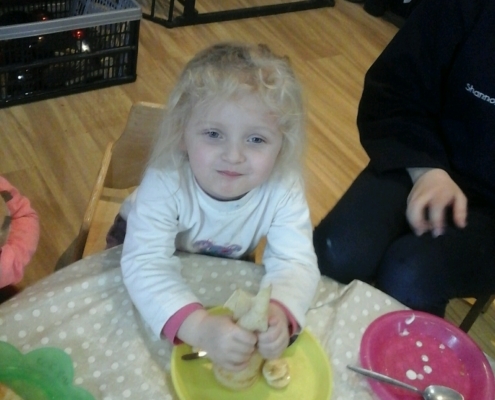 Flying Start @ Marjon Celebrate Pancake Day! 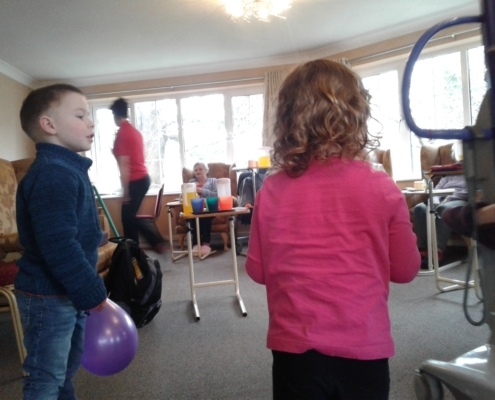 https://www.flyingstart.uk.com/wp-content/uploads/2019/03/IMG_20190304_151357.jpg 2048 1536 Amber https://www.flyingstart.uk.com/wp-content/uploads/2014/02/Flying-Start-logo1.png Amber2019-03-05 21:53:072019-03-05 21:53:07Flying Start @ Marjon Celebrate Pancake Day! Flying Start @ Duchy Build In The Garden! https://www.flyingstart.uk.com/wp-content/uploads/2019/03/20190301_133518-1.jpg 1152 2048 Amber https://www.flyingstart.uk.com/wp-content/uploads/2014/02/Flying-Start-logo1.png Amber2019-03-05 19:55:302019-03-04 22:05:48Flying Start @ Duchy Build In The Garden! 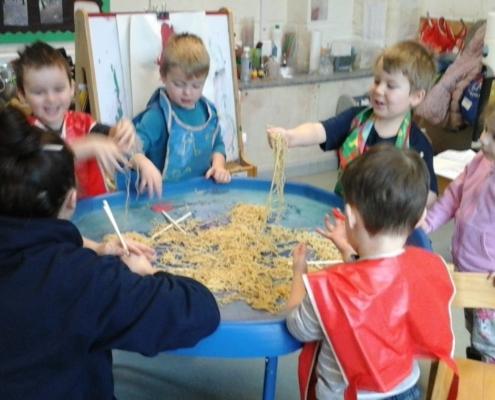 Flying Start @ Redruth Explore Space! https://www.flyingstart.uk.com/wp-content/uploads/2019/03/IMG_20190228_101851.jpg 2048 1152 Amber https://www.flyingstart.uk.com/wp-content/uploads/2014/02/Flying-Start-logo1.png Amber2019-03-04 10:58:232019-03-05 22:10:10Flying Start @ Redruth Explore Space! 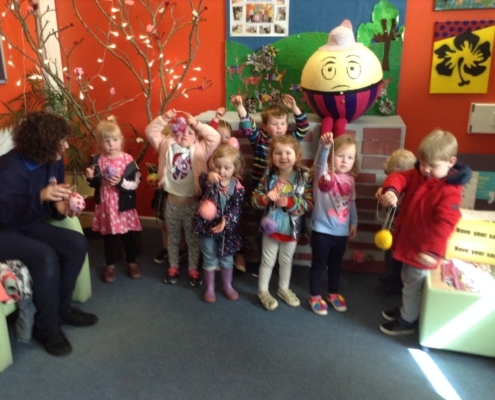 Flying Start @ Saltash Host Jiggly Tots! https://www.flyingstart.uk.com/wp-content/uploads/2019/03/IMG_20190227_103938.jpg 1440 2560 Amber https://www.flyingstart.uk.com/wp-content/uploads/2014/02/Flying-Start-logo1.png Amber2019-03-03 10:16:002019-03-05 22:42:01Flying Start @ Saltash Host Jiggly Tots! 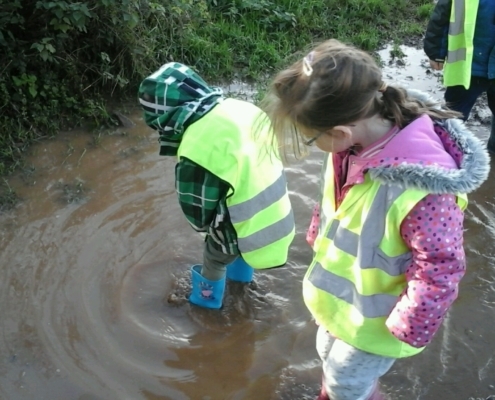 Flying Start @ Camborne Enjoy Water Play! https://www.flyingstart.uk.com/wp-content/uploads/2019/03/IMG_20190110_092016.jpg 2048 1152 Amber https://www.flyingstart.uk.com/wp-content/uploads/2014/02/Flying-Start-logo1.png Amber2019-03-03 09:44:132019-03-05 22:49:24Flying Start @ Camborne Enjoy Water Play! 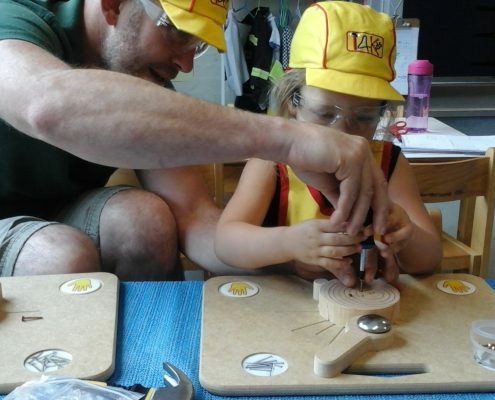 Flying Start @ Saltash's Woodwork! 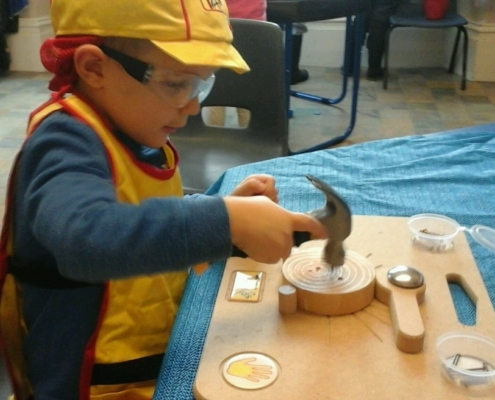 https://www.flyingstart.uk.com/wp-content/uploads/2019/02/preschool-woodwork.jpg 1440 2560 Jordan Rose https://www.flyingstart.uk.com/wp-content/uploads/2014/02/Flying-Start-logo1.png Jordan Rose2019-02-28 06:26:172019-02-25 21:35:32Flying Start @ Saltash's Woodwork! 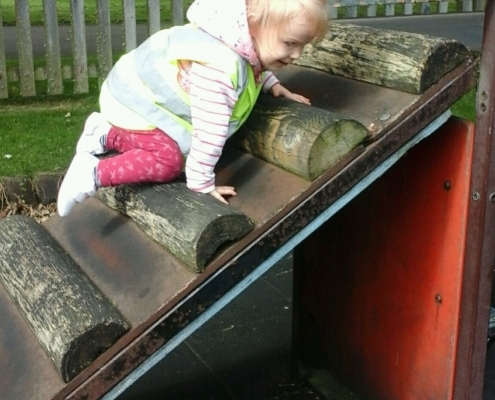 Flying Start @ Camborne's Forest Fun! https://www.flyingstart.uk.com/wp-content/uploads/2019/02/IMG_20190212_112536.jpg 1152 2048 Jordan Rose https://www.flyingstart.uk.com/wp-content/uploads/2014/02/Flying-Start-logo1.png Jordan Rose2019-02-27 21:53:382019-03-05 22:42:58Flying Start @ Camborne's Forest Fun! 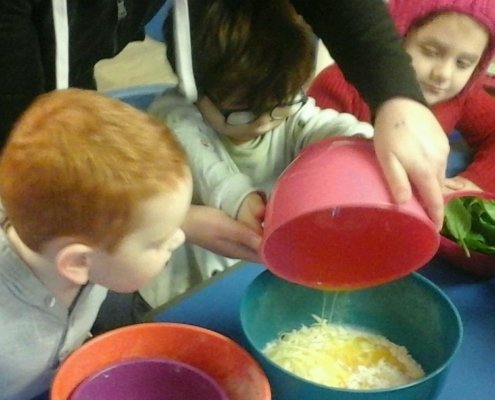 Flying Start @ Redruth Explore Foods For Tea! 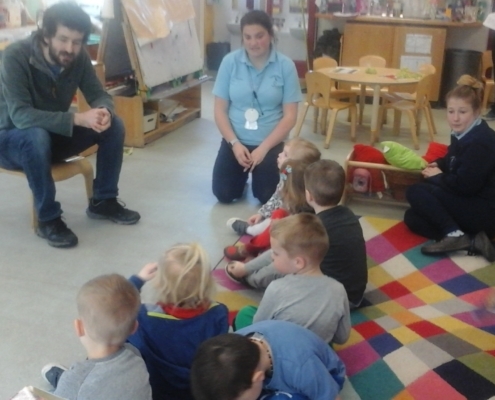 https://www.flyingstart.uk.com/wp-content/uploads/2019/02/20190222_092856-e1551127064732.jpg 2048 1152 Jordan Rose https://www.flyingstart.uk.com/wp-content/uploads/2014/02/Flying-Start-logo1.png Jordan Rose2019-02-27 07:26:552019-02-25 20:38:23Flying Start @ Redruth Explore Foods For Tea! 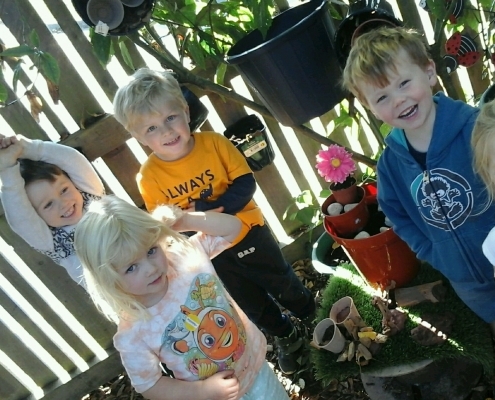 Flying Start @ Cornwall College's Baby Garden Grows! https://www.flyingstart.uk.com/wp-content/uploads/2019/02/IMG_20190221_111135.jpg 2048 1536 Jordan Rose https://www.flyingstart.uk.com/wp-content/uploads/2014/02/Flying-Start-logo1.png Jordan Rose2019-02-26 07:35:422019-02-25 21:44:39Flying Start @ Cornwall College's Baby Garden Grows! 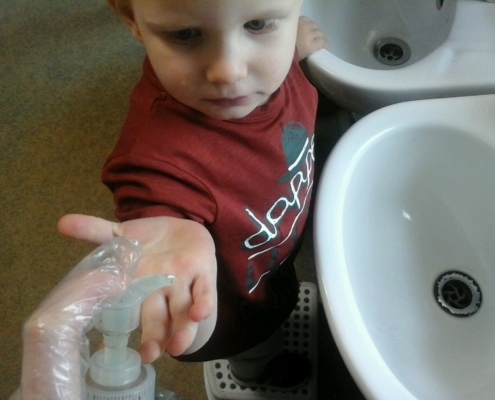 Flying Start @ Helston Wash Wash Wash Their Hands! https://www.flyingstart.uk.com/wp-content/uploads/2019/02/IMG_20190107_114006.jpg 1536 2048 Jordan Rose https://www.flyingstart.uk.com/wp-content/uploads/2014/02/Flying-Start-logo1.png Jordan Rose2019-02-25 21:17:082019-02-25 21:17:08Flying Start @ Helston Wash Wash Wash Their Hands! 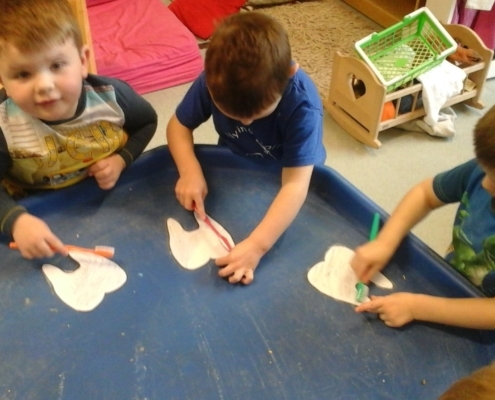 Flying Start @ Saltash Clean Some BIG Teeth! https://www.flyingstart.uk.com/wp-content/uploads/2019/02/Brushing-teeth-2.jpg 1536 2048 Jordan Rose https://www.flyingstart.uk.com/wp-content/uploads/2014/02/Flying-Start-logo1.png Jordan Rose2019-02-24 21:17:172019-02-25 21:26:08Flying Start @ Saltash Clean Some BIG Teeth! 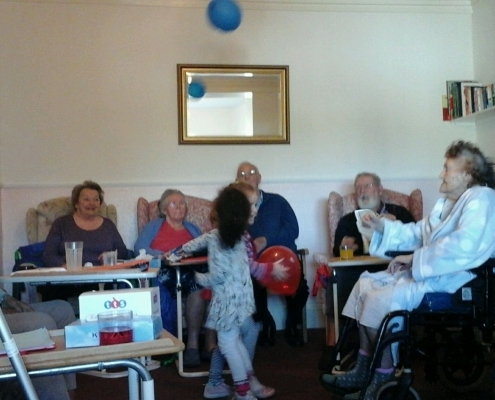 Flying Start @ Redruth's Valentines Stay and Play! https://www.flyingstart.uk.com/wp-content/uploads/2019/02/valentines-day-curation-logo1.png 170 320 Jordan Rose https://www.flyingstart.uk.com/wp-content/uploads/2014/02/Flying-Start-logo1.png Jordan Rose2019-02-22 20:38:302019-02-25 20:53:45Flying Start @ Redruth's Valentines Stay and Play! Flying Start @ Duchy's Babies Make Sense, Of Their Senses! https://www.flyingstart.uk.com/wp-content/uploads/2019/02/20190131_111137-e1550524264529.jpg 2048 1152 Jordan Rose https://www.flyingstart.uk.com/wp-content/uploads/2014/02/Flying-Start-logo1.png Jordan Rose2019-02-22 07:14:022019-02-18 21:14:51Flying Start @ Duchy's Babies Make Sense, Of Their Senses! 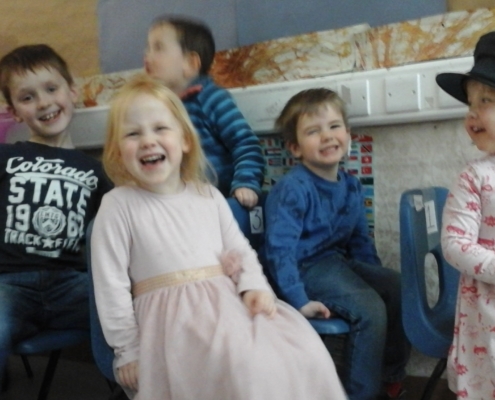 Flying Start @ Cornwall College's Toddlers Stay and Play for Valentines Day! https://www.flyingstart.uk.com/wp-content/uploads/2019/02/valentines-day-curation-logo1.png 170 320 Jordan Rose https://www.flyingstart.uk.com/wp-content/uploads/2014/02/Flying-Start-logo1.png Jordan Rose2019-02-21 06:36:532019-02-18 21:47:56Flying Start @ Cornwall College's Toddlers Stay and Play for Valentines Day! 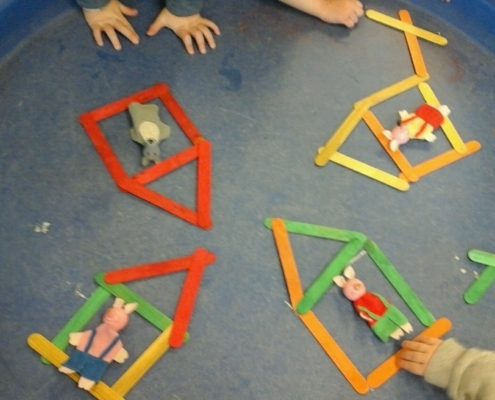 Flying Start @ Saltash Toddler's Are Building Houses! https://www.flyingstart.uk.com/wp-content/uploads/2019/02/houses-1.jpg 1152 2048 Jordan Rose https://www.flyingstart.uk.com/wp-content/uploads/2014/02/Flying-Start-logo1.png Jordan Rose2019-02-21 06:16:322019-02-17 20:20:42Flying Start @ Saltash Toddler's Are Building Houses! 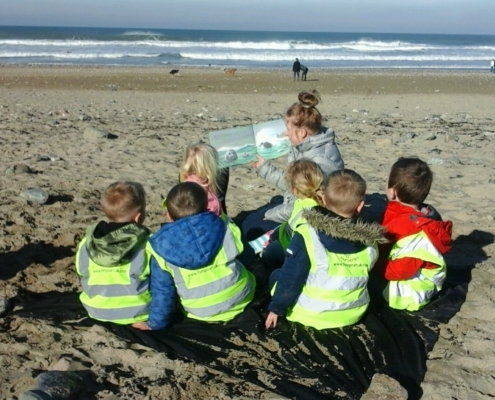 Flying Start @ Camborne's Beach School Continues! https://www.flyingstart.uk.com/wp-content/uploads/2019/02/IMG_20190214_105545.jpg 1152 2048 Jordan Rose https://www.flyingstart.uk.com/wp-content/uploads/2014/02/Flying-Start-logo1.png Jordan Rose2019-02-21 06:02:492019-02-18 22:07:07Flying Start @ Camborne's Beach School Continues! 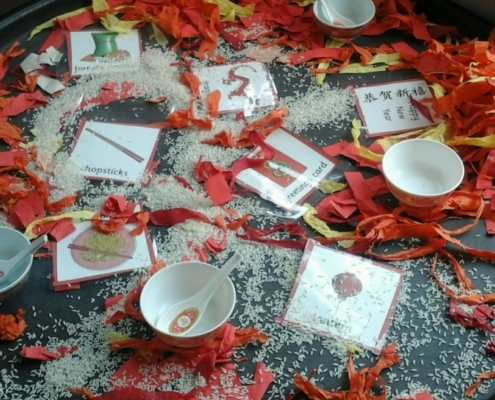 Flying Start @ Marjon's Chinese New Year Celebrations! https://www.flyingstart.uk.com/wp-content/uploads/2019/02/IMG_20190207_094257.jpg 1536 2048 Jordan Rose https://www.flyingstart.uk.com/wp-content/uploads/2014/02/Flying-Start-logo1.png Jordan Rose2019-02-19 20:56:222019-02-25 21:05:32Flying Start @ Marjon's Chinese New Year Celebrations! 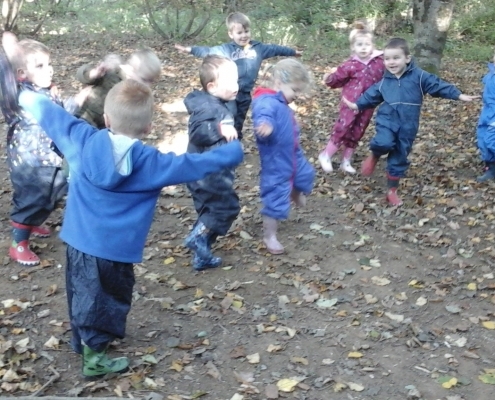 Flying Start @ Cornwall College's Woodland Adventure! https://www.flyingstart.uk.com/wp-content/uploads/2019/02/IMG_20181211_104318.jpg 1152 2048 Jordan Rose https://www.flyingstart.uk.com/wp-content/uploads/2014/02/Flying-Start-logo1.png Jordan Rose2019-02-18 21:31:452019-02-18 21:32:02Flying Start @ Cornwall College's Woodland Adventure! 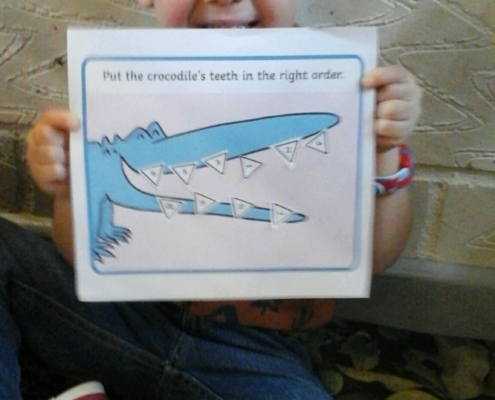 Flying Start @ Duchy's Crocodile Counting! https://www.flyingstart.uk.com/wp-content/uploads/2019/02/20190125_103824.jpg 2048 1152 Jordan Rose https://www.flyingstart.uk.com/wp-content/uploads/2014/02/Flying-Start-logo1.png Jordan Rose2019-02-18 21:00:432019-02-18 21:00:43Flying Start @ Duchy's Crocodile Counting! 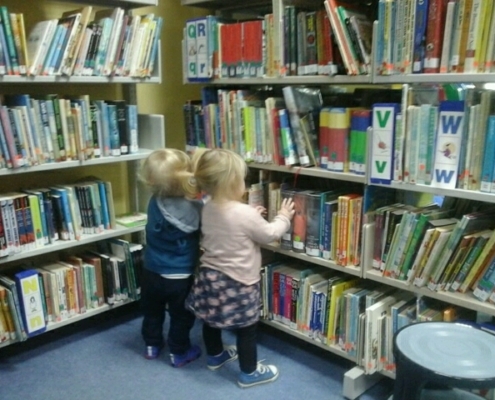 Flying Start @ Helston's Love of the Library Continues! https://www.flyingstart.uk.com/wp-content/uploads/2019/02/IMG_20190206_104339.jpg 1536 2048 Jordan Rose https://www.flyingstart.uk.com/wp-content/uploads/2014/02/Flying-Start-logo1.png Jordan Rose2019-02-18 06:52:332019-02-17 20:57:38Flying Start @ Helston's Love of the Library Continues! 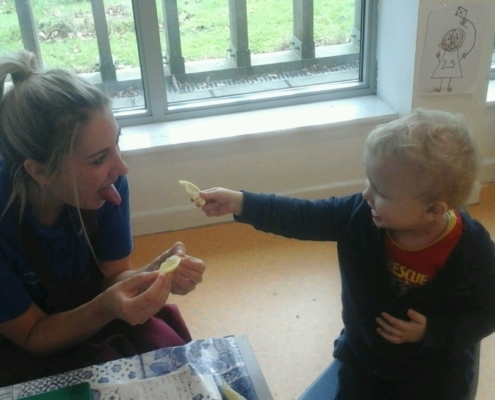 Flying Start @ Marjon Share The Love! https://www.flyingstart.uk.com/wp-content/uploads/2019/02/IMG_20190214_112735.jpg 1536 2048 Jordan Rose https://www.flyingstart.uk.com/wp-content/uploads/2014/02/Flying-Start-logo1.png Jordan Rose2019-02-17 21:05:202019-02-17 21:05:20Flying Start @ Marjon Share The Love! Flying Start @ Camborne Tinker Away! https://www.flyingstart.uk.com/wp-content/uploads/2019/02/IMG_20190117_111850-1.jpg 1152 2048 Jordan Rose https://www.flyingstart.uk.com/wp-content/uploads/2014/02/Flying-Start-logo1.png Jordan Rose2019-02-16 21:55:162019-02-18 22:01:57Flying Start @ Camborne Tinker Away! 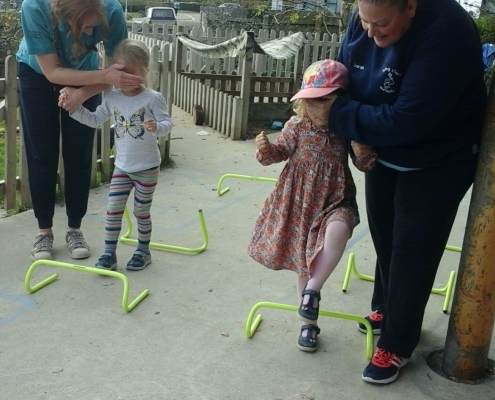 Flying Start @ Camborne Visit Trevaskis Farm! https://www.flyingstart.uk.com/wp-content/uploads/2019/02/IMG_20190207_110253.jpg 1152 2048 Jordan Rose https://www.flyingstart.uk.com/wp-content/uploads/2014/02/Flying-Start-logo1.png Jordan Rose2019-02-15 07:04:002019-02-10 22:09:32Flying Start @ Camborne Visit Trevaskis Farm! 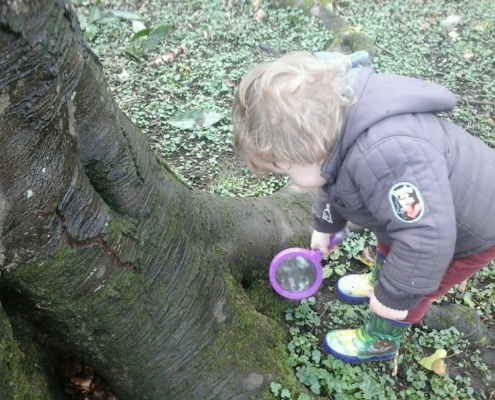 Flying Start @ Cornwall College's Babies Bug Hunt! https://www.flyingstart.uk.com/wp-content/uploads/2019/02/IMG_20190128_122014.jpg 1536 2048 Jordan Rose https://www.flyingstart.uk.com/wp-content/uploads/2014/02/Flying-Start-logo1.png Jordan Rose2019-02-14 07:13:422019-02-10 21:19:18Flying Start @ Cornwall College's Babies Bug Hunt! Flying Start @ Duchy's Babies In The Garden! https://www.flyingstart.uk.com/wp-content/uploads/2019/02/20190128_093517.jpg 2048 1152 Jordan Rose https://www.flyingstart.uk.com/wp-content/uploads/2014/02/Flying-Start-logo1.png Jordan Rose2019-02-13 22:40:162019-02-13 22:40:16Flying Start @ Duchy's Babies In The Garden! 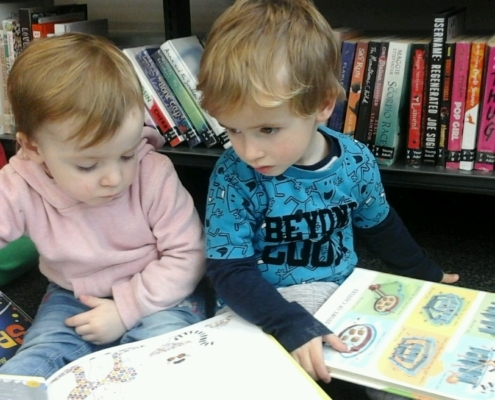 Flying Start @ Marjon's Love of Reading Starts Young! 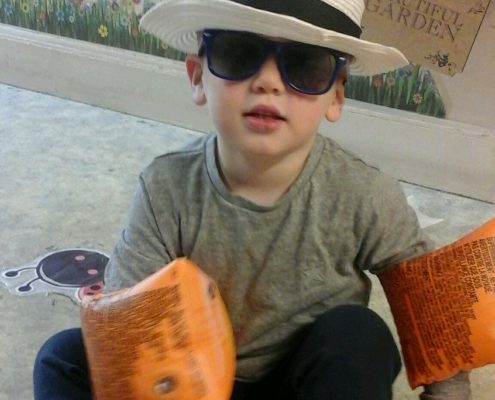 https://www.flyingstart.uk.com/wp-content/uploads/2019/02/IMG_20190125_104517.jpg 480 640 Jordan Rose https://www.flyingstart.uk.com/wp-content/uploads/2014/02/Flying-Start-logo1.png Jordan Rose2019-02-13 22:08:192019-02-13 22:08:19Flying Start @ Marjon's Love of Reading Starts Young! 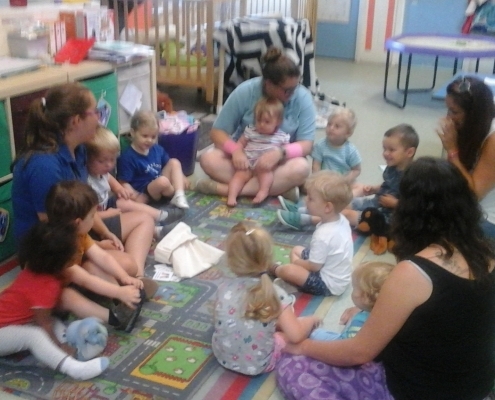 Flying Start @ Camborne's First Bounce And Rhyme Session! https://www.flyingstart.uk.com/wp-content/uploads/2019/02/IMG_20190123_110832.jpg 1152 2048 Jordan Rose https://www.flyingstart.uk.com/wp-content/uploads/2014/02/Flying-Start-logo1.png Jordan Rose2019-02-13 07:00:372019-02-10 21:03:50Flying Start @ Camborne's First Bounce And Rhyme Session! Flying Start @ Saltash's Chinese New Year Celebrations! 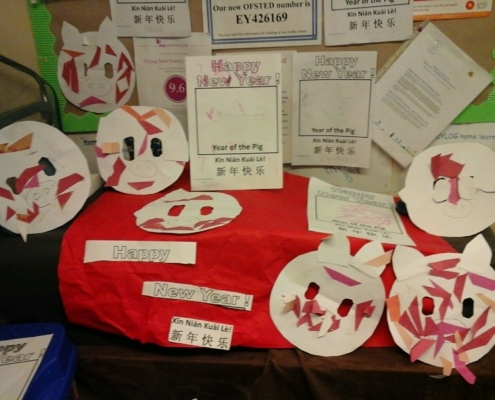 https://www.flyingstart.uk.com/wp-content/uploads/2019/02/Chinese-new-year-2.jpg 1536 2048 Jordan Rose https://www.flyingstart.uk.com/wp-content/uploads/2014/02/Flying-Start-logo1.png Jordan Rose2019-02-11 07:01:332019-02-10 22:06:19Flying Start @ Saltash's Chinese New Year Celebrations! Flying Start @ Duchy Celebrate Chinese New Year! https://www.flyingstart.uk.com/wp-content/uploads/2019/02/20190205_105027.jpg 1152 2048 Jordan Rose https://www.flyingstart.uk.com/wp-content/uploads/2014/02/Flying-Start-logo1.png Jordan Rose2019-02-10 22:25:332019-02-13 22:35:14Flying Start @ Duchy Celebrate Chinese New Year! 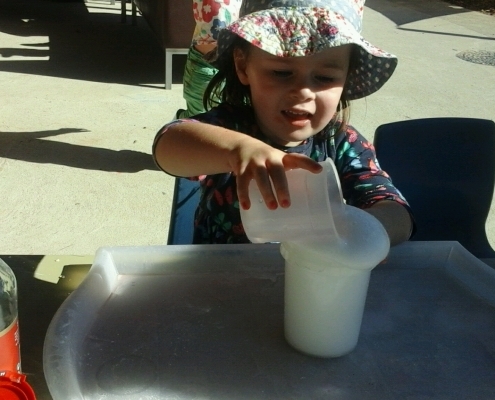 Flying Start @ Redruth's Snow Castles! https://www.flyingstart.uk.com/wp-content/uploads/2019/02/20190201_134240-e1550096430941.jpg 2048 1536 Jordan Rose https://www.flyingstart.uk.com/wp-content/uploads/2014/02/Flying-Start-logo1.png Jordan Rose2019-02-10 22:13:472019-02-13 22:21:04Flying Start @ Redruth's Snow Castles! 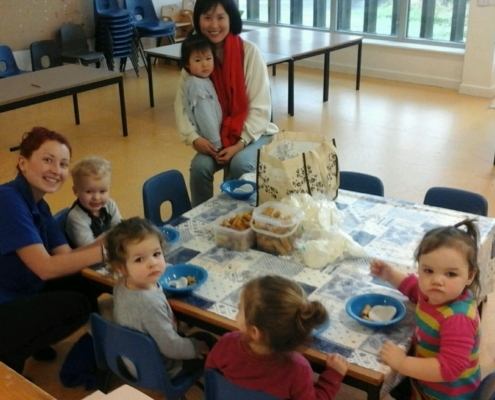 Flying Start @ Cornwall College Have The Help of A Parent To Celebrate Chinese New Year! https://www.flyingstart.uk.com/wp-content/uploads/2019/02/chinese-new-year.jpg 1152 2048 Jordan Rose https://www.flyingstart.uk.com/wp-content/uploads/2014/02/Flying-Start-logo1.png Jordan Rose2019-02-10 21:34:402019-02-10 21:34:40Flying Start @ Cornwall College Have The Help of A Parent To Celebrate Chinese New Year! 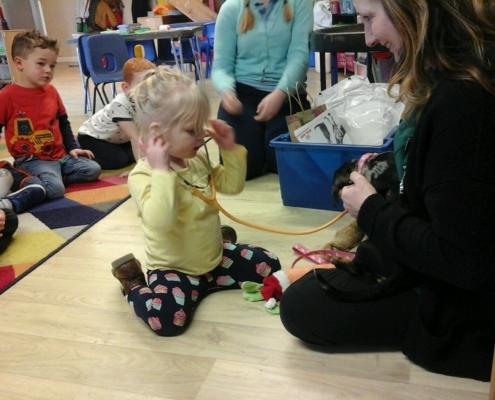 Flying Start @ Helston Are Visited by a Vet! https://www.flyingstart.uk.com/wp-content/uploads/2019/02/IMG_20190122_134713.jpg 1536 2048 Jordan Rose https://www.flyingstart.uk.com/wp-content/uploads/2014/02/Flying-Start-logo1.png Jordan Rose2019-02-08 11:12:032019-02-08 11:12:03Flying Start @ Helston Are Visited by a Vet! 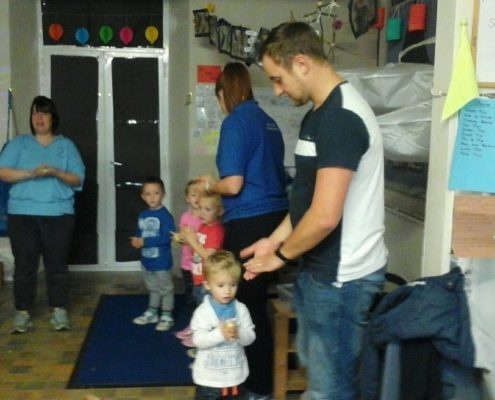 Flying Start @ Camborne's Weekly Gym Club! https://www.flyingstart.uk.com/wp-content/uploads/2019/02/IMG_20190116_112020_edit_20190118_140703.jpg 767 1748 Jordan Rose https://www.flyingstart.uk.com/wp-content/uploads/2014/02/Flying-Start-logo1.png Jordan Rose2019-02-06 20:49:402019-02-10 20:55:12Flying Start @ Camborne's Weekly Gym Club! 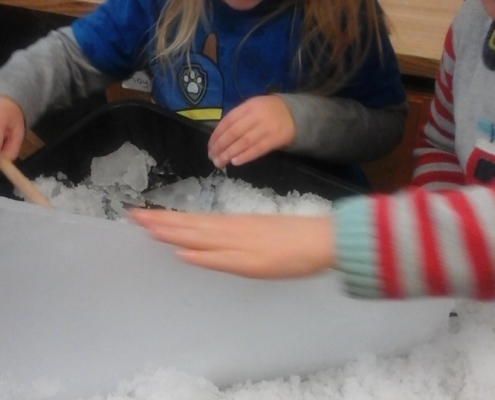 Flying Start @ Redruth's Science Snow Experiments! https://www.flyingstart.uk.com/wp-content/uploads/2019/02/20190201_135651-e1549628289419.jpg 2048 1152 Jordan Rose https://www.flyingstart.uk.com/wp-content/uploads/2014/02/Flying-Start-logo1.png Jordan Rose2019-02-06 12:15:332019-02-08 12:24:43Flying Start @ Redruth's Science Snow Experiments! 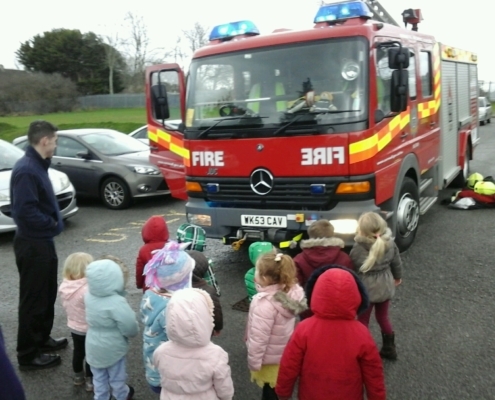 Flying Start @ Saltash's Fire Engine Visit! 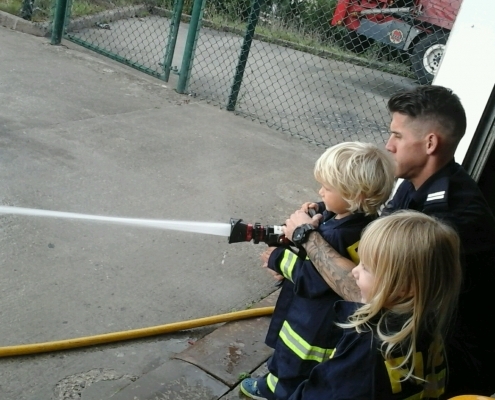 https://www.flyingstart.uk.com/wp-content/uploads/2019/02/Fire-engine-visit-3.jpg 1536 2048 Jordan Rose https://www.flyingstart.uk.com/wp-content/uploads/2014/02/Flying-Start-logo1.png Jordan Rose2019-02-06 07:56:482019-02-10 22:01:20Flying Start @ Saltash's Fire Engine Visit! 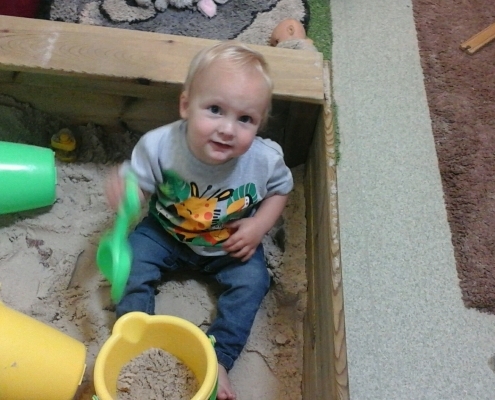 Flying Start @ Marjon Visit Down House! https://www.flyingstart.uk.com/wp-content/uploads/2019/02/20190131_112733.jpg 1212 1616 Jordan Rose https://www.flyingstart.uk.com/wp-content/uploads/2014/02/Flying-Start-logo1.png Jordan Rose2019-02-05 22:16:452019-02-10 22:20:48Flying Start @ Marjon Visit Down House! Flying Start @ Duchy's Forest SNOW School! https://www.flyingstart.uk.com/wp-content/uploads/2019/02/20190130_104531.jpg 1152 2048 Jordan Rose https://www.flyingstart.uk.com/wp-content/uploads/2014/02/Flying-Start-logo1.png Jordan Rose2019-02-04 22:40:572019-02-13 22:45:17Flying Start @ Duchy's Forest SNOW School! Flying Start @ Cornwall College Get In An Ambulance... In The Snow! 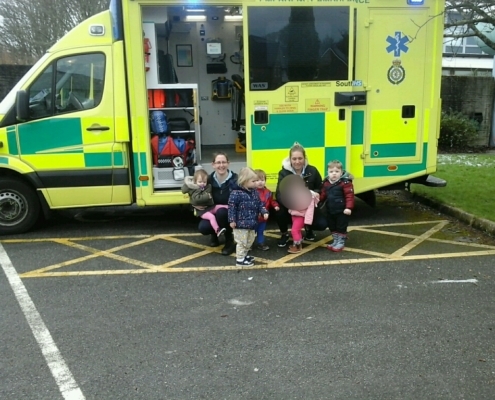 https://www.flyingstart.uk.com/wp-content/uploads/2019/02/AMBULANCE-SNOW-3.jpg 768 1024 Jordan Rose https://www.flyingstart.uk.com/wp-content/uploads/2014/02/Flying-Start-logo1.png Jordan Rose2019-02-03 21:19:272019-02-10 21:27:07Flying Start @ Cornwall College Get In An Ambulance... 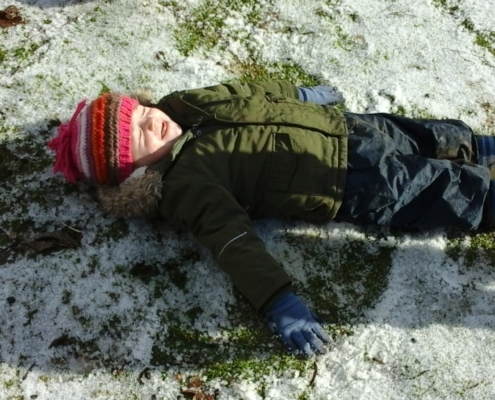 In The Snow! 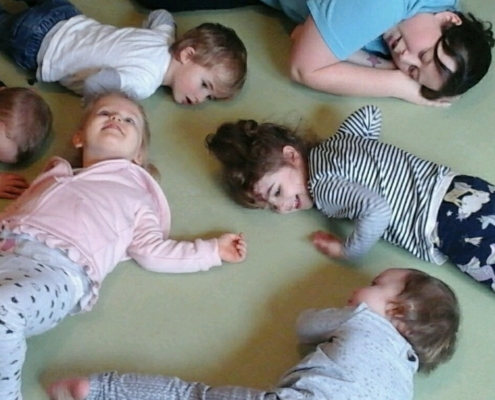 Flying Start @ Duchy Toddler's Mark Make! https://www.flyingstart.uk.com/wp-content/uploads/2019/02/20190117_105143.jpg 2048 1152 Jordan Rose https://www.flyingstart.uk.com/wp-content/uploads/2014/02/Flying-Start-logo1.png Jordan Rose2019-02-03 12:29:052019-02-08 12:52:43Flying Start @ Duchy Toddler's Mark Make! 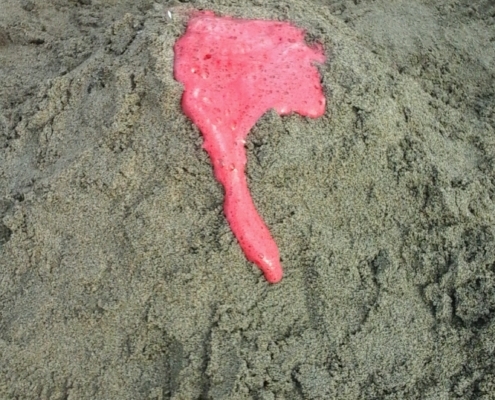 Flying Start @ Camborne Do Science Experiments On The Beach! https://www.flyingstart.uk.com/wp-content/uploads/2019/02/IMG_20190125_134349.jpg 2048 1152 Jordan Rose https://www.flyingstart.uk.com/wp-content/uploads/2014/02/Flying-Start-logo1.png Jordan Rose2019-02-03 08:39:482019-02-10 20:49:12Flying Start @ Camborne Do Science Experiments On The Beach! 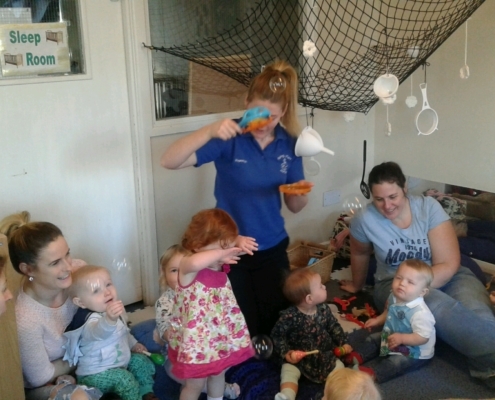 Flying Start @ Redruth's Jungle Babies! https://www.flyingstart.uk.com/wp-content/uploads/2019/02/IMG_20190109_112525.jpg 2048 1536 Jordan Rose https://www.flyingstart.uk.com/wp-content/uploads/2014/02/Flying-Start-logo1.png Jordan Rose2019-02-02 12:08:012019-02-08 12:14:44Flying Start @ Redruth's Jungle Babies! 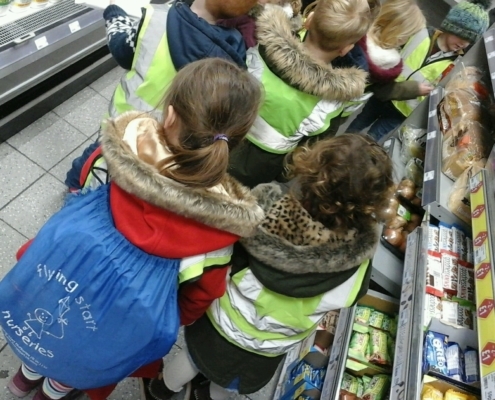 Flying Start @ Helston Get Their Greens In! https://www.flyingstart.uk.com/wp-content/uploads/2019/02/IMG_20190131_092822.jpg 1536 2048 Jordan Rose https://www.flyingstart.uk.com/wp-content/uploads/2014/02/Flying-Start-logo1.png Jordan Rose2019-02-02 10:53:542019-02-08 11:03:58Flying Start @ Helston Get Their Greens In! 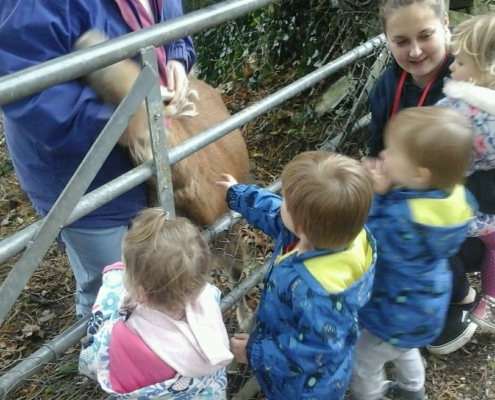 Flying Start @ Saltash Meet Lots Of Animals! https://www.flyingstart.uk.com/wp-content/uploads/2019/02/Animal-visit-2.jpg 1152 2048 Jordan Rose https://www.flyingstart.uk.com/wp-content/uploads/2014/02/Flying-Start-logo1.png Jordan Rose2019-02-01 21:49:122019-02-10 21:56:28Flying Start @ Saltash Meet Lots Of Animals! Flying Start @ Cornwall College's Tasting Experience! 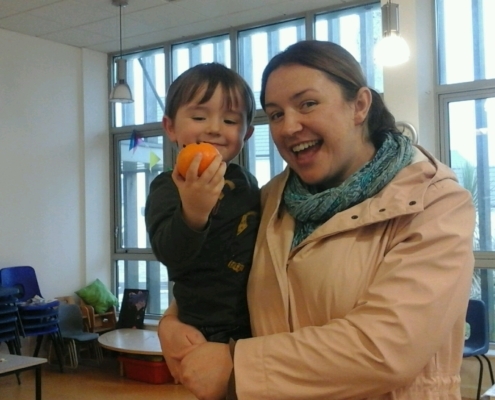 https://www.flyingstart.uk.com/wp-content/uploads/2019/02/fruit-tasting3.jpg 1152 2048 Jordan Rose https://www.flyingstart.uk.com/wp-content/uploads/2014/02/Flying-Start-logo1.png Jordan Rose2019-02-01 21:37:562019-02-10 21:44:48Flying Start @ Cornwall College's Tasting Experience! 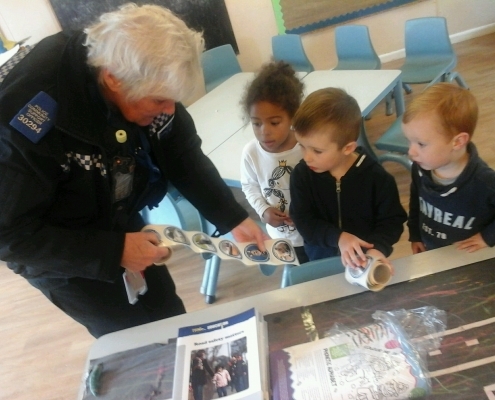 Flying Start @ Saltash Have A Visit From The Local Police! https://www.flyingstart.uk.com/wp-content/uploads/2019/01/23-1-19-4.jpg 1061 1415 Amber https://www.flyingstart.uk.com/wp-content/uploads/2014/02/Flying-Start-logo1.png Amber2019-01-28 09:51:382019-01-29 22:07:38Flying Start @ Saltash Have A Visit From The Local Police! 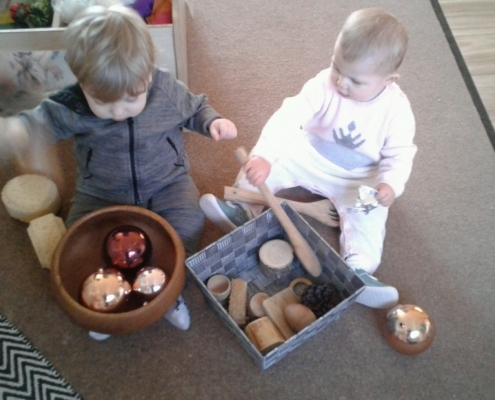 Flying Start @ Marjon Babies Explore Heuristic Play! https://www.flyingstart.uk.com/wp-content/uploads/2019/01/IMG_20190117_084620.jpg 1440 2560 Amber https://www.flyingstart.uk.com/wp-content/uploads/2014/02/Flying-Start-logo1.png Amber2019-01-27 09:51:352019-01-29 22:57:26Flying Start @ Marjon Babies Explore Heuristic Play! 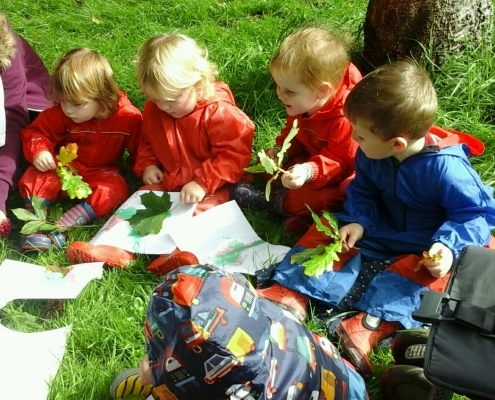 Flying Start @ Camborne Toddlers Begin Forest School! https://www.flyingstart.uk.com/wp-content/uploads/2019/01/IMG_20190117_105542.jpg 1152 2048 Amber https://www.flyingstart.uk.com/wp-content/uploads/2014/02/Flying-Start-logo1.png Amber2019-01-27 09:35:162019-01-29 21:47:39Flying Start @ Camborne Toddlers Begin Forest School! 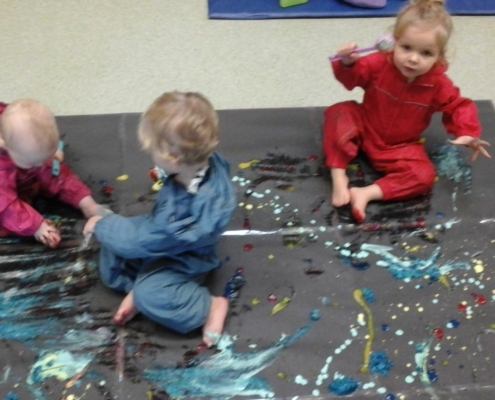 Flying Start @ Duchy Babies Do Big Scale Painting! https://www.flyingstart.uk.com/wp-content/uploads/2019/01/20190118_093743-1.jpg 1152 2048 Amber https://www.flyingstart.uk.com/wp-content/uploads/2014/02/Flying-Start-logo1.png Amber2019-01-25 09:36:252019-01-28 20:49:01Flying Start @ Duchy Babies Do Big Scale Painting! 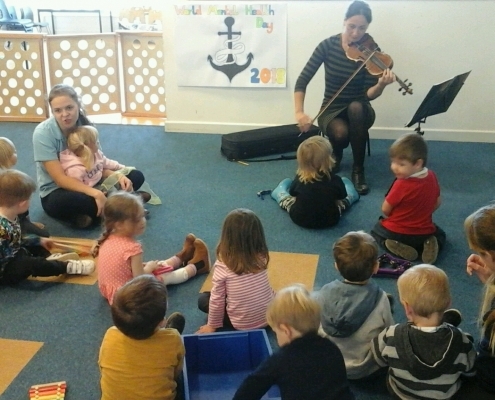 Flying Start @ Cornwall College Toddlers Attend Community Music Event! https://www.flyingstart.uk.com/wp-content/uploads/2019/01/IMG_20190116_105730.jpg 1152 2048 Amber https://www.flyingstart.uk.com/wp-content/uploads/2014/02/Flying-Start-logo1.png Amber2019-01-24 10:52:482019-01-28 21:08:46Flying Start @ Cornwall College Toddlers Attend Community Music Event! 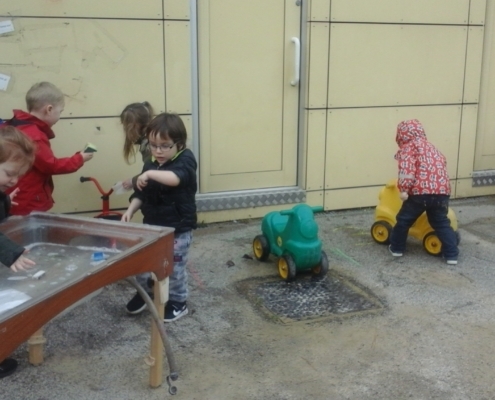 Flying Start @ Marjon Babies Enjoy All Weather Play! https://www.flyingstart.uk.com/wp-content/uploads/2019/01/IMG_20190124_103902.jpg 480 640 Amber https://www.flyingstart.uk.com/wp-content/uploads/2014/02/Flying-Start-logo1.png Amber2019-01-24 09:24:572019-01-29 22:50:57Flying Start @ Marjon Babies Enjoy All Weather Play! 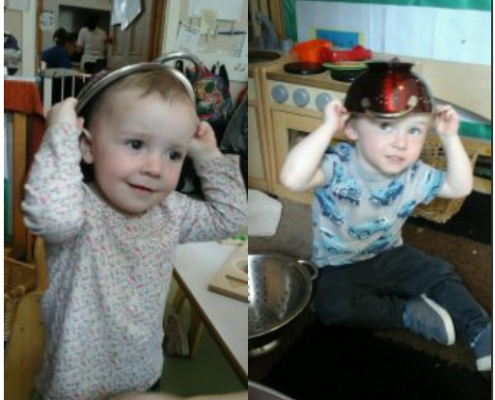 Flying Start @ Redruth Pre-School Explore Transport Theme! https://www.flyingstart.uk.com/wp-content/uploads/2019/01/20190114_110937.jpg 1152 2048 Amber https://www.flyingstart.uk.com/wp-content/uploads/2014/02/Flying-Start-logo1.png Amber2019-01-24 09:11:202019-01-29 22:19:19Flying Start @ Redruth Pre-School Explore Transport Theme! 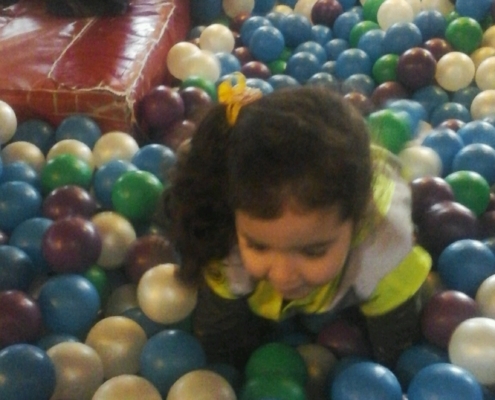 Flying Start @ Camborne Visit Bombadingas Soft Play! https://www.flyingstart.uk.com/wp-content/uploads/2019/01/IMG_20190118_104819.jpg 2048 1152 Amber https://www.flyingstart.uk.com/wp-content/uploads/2014/02/Flying-Start-logo1.png Amber2019-01-21 09:11:382019-01-28 21:17:00Flying Start @ Camborne Visit Bombadingas Soft Play! 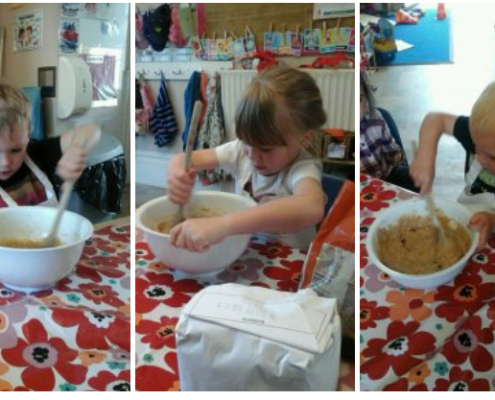 Flying Start @ Redruth Make Healthy Cereal Bars! https://www.flyingstart.uk.com/wp-content/uploads/2019/01/20190117_133753-e1548195763521.jpg 2048 1152 Amber https://www.flyingstart.uk.com/wp-content/uploads/2014/02/Flying-Start-logo1.png Amber2019-01-19 08:18:082019-01-22 22:23:45Flying Start @ Redruth Make Healthy Cereal Bars! 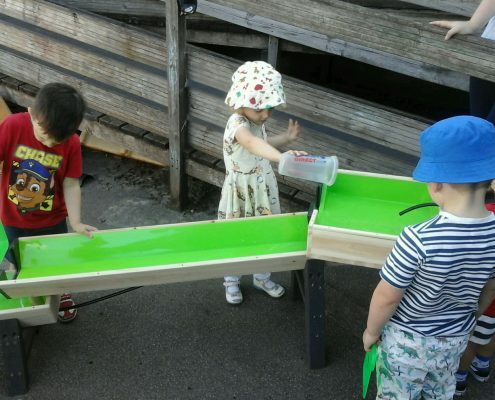 Flying Start @ Saltash Pre-Schoolers Build A See-Saw! 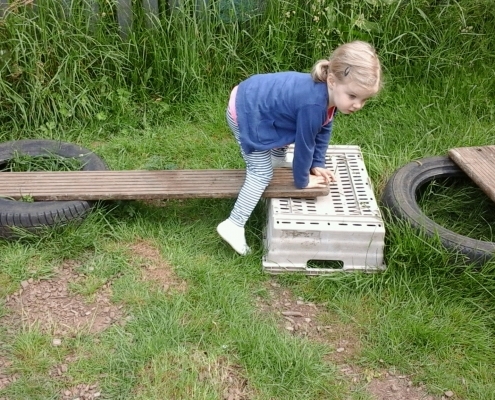 https://www.flyingstart.uk.com/wp-content/uploads/2019/01/Making-a-seesaw-1.jpg 2048 1536 Amber https://www.flyingstart.uk.com/wp-content/uploads/2014/02/Flying-Start-logo1.png Amber2019-01-18 09:28:582019-01-22 22:37:03Flying Start @ Saltash Pre-Schoolers Build A See-Saw! 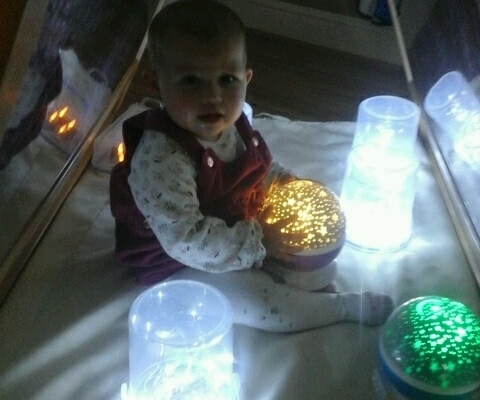 Flying Start @ Marjon Babies Explore Lights through Sensory Play! 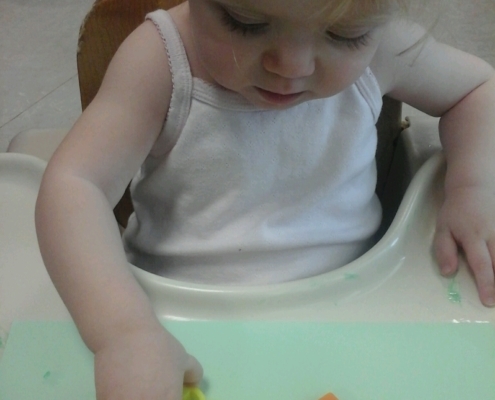 https://www.flyingstart.uk.com/wp-content/uploads/2019/01/Baby-sensory-1.jpg 640 480 Amber https://www.flyingstart.uk.com/wp-content/uploads/2014/02/Flying-Start-logo1.png Amber2019-01-16 09:54:152019-01-16 23:04:31Flying Start @ Marjon Babies Explore Lights through Sensory Play! 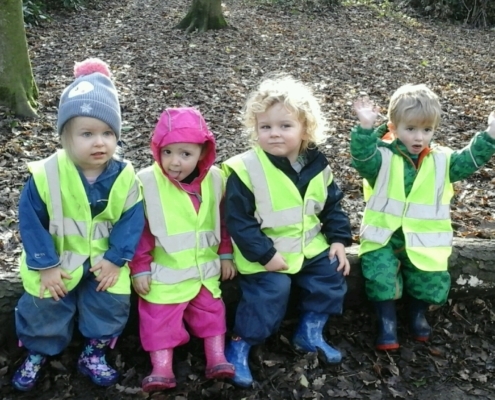 Flying Start @ Duchy Toddlers Start New Forest School Sessions! https://www.flyingstart.uk.com/wp-content/uploads/2019/01/20190115_102205.jpg 1152 2048 Amber https://www.flyingstart.uk.com/wp-content/uploads/2014/02/Flying-Start-logo1.png Amber2019-01-15 08:01:512019-01-15 20:30:39Flying Start @ Duchy Toddlers Start New Forest School Sessions! 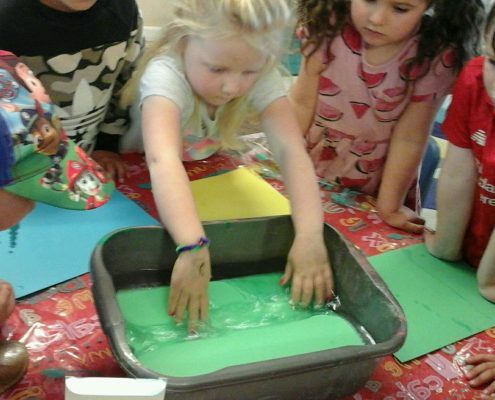 Flying Start @ Cornwall College Toddlers Do Fruit Printing! https://www.flyingstart.uk.com/wp-content/uploads/2019/01/IMG_20190114_101212.jpg 1152 2048 Amber https://www.flyingstart.uk.com/wp-content/uploads/2014/02/Flying-Start-logo1.png Amber2019-01-13 09:26:432019-01-15 18:31:33Flying Start @ Cornwall College Toddlers Do Fruit Printing! 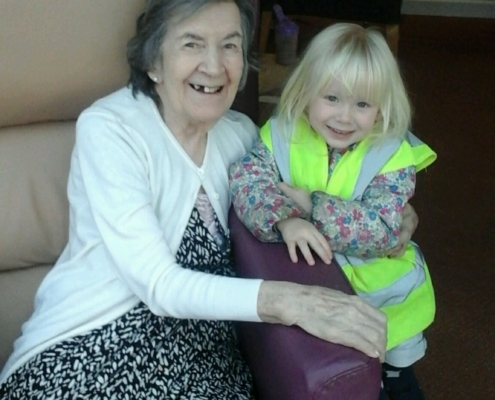 Flying Start @ Camborne Pre-School Do Singing At Residential Home! https://www.flyingstart.uk.com/wp-content/uploads/2019/01/IMG_20190109_112427.jpg 2048 1152 Amber https://www.flyingstart.uk.com/wp-content/uploads/2014/02/Flying-Start-logo1.png Amber2019-01-11 09:16:102019-01-15 18:21:11Flying Start @ Camborne Pre-School Do Singing At Residential Home! 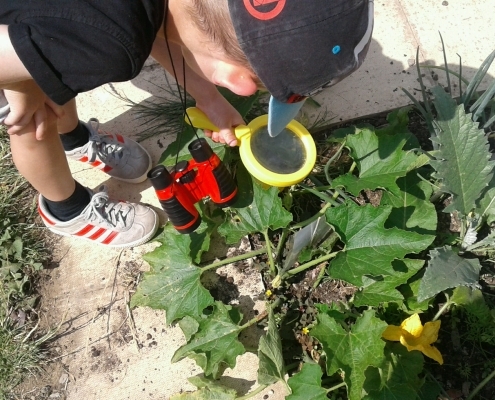 Flying Start @ Helston Pre-School Do Garden Investigations! https://www.flyingstart.uk.com/wp-content/uploads/2019/01/IMG_20190111_095634.jpg 1536 2048 Amber https://www.flyingstart.uk.com/wp-content/uploads/2014/02/Flying-Start-logo1.png Amber2019-01-10 09:34:462019-01-16 22:44:27Flying Start @ Helston Pre-School Do Garden Investigations! 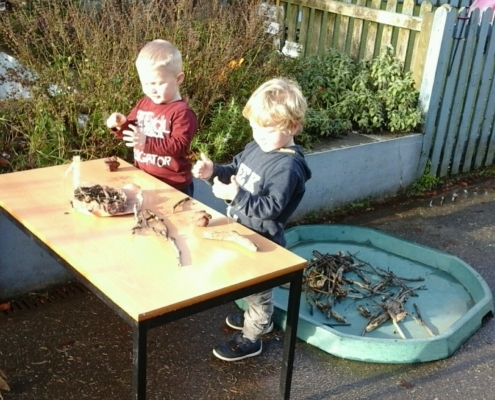 Flying Start @ Marjon Explore Outdoor Mark Making! https://www.flyingstart.uk.com/wp-content/uploads/2019/01/20190121_104319.jpg 1152 2048 Amber https://www.flyingstart.uk.com/wp-content/uploads/2014/02/Flying-Start-logo1.png Amber2019-01-10 09:31:092019-01-29 22:37:18Flying Start @ Marjon Explore Outdoor Mark Making! 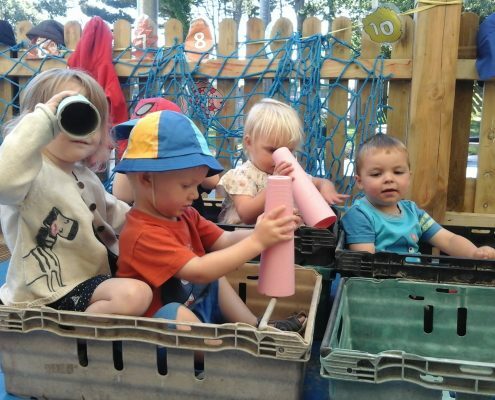 Flying Start @ Redruth Pre-School Explore New Transport Theme! https://www.flyingstart.uk.com/wp-content/uploads/2019/01/20190104_132401.jpg 1152 2048 Amber https://www.flyingstart.uk.com/wp-content/uploads/2014/02/Flying-Start-logo1.png Amber2019-01-07 09:37:472019-01-09 20:42:59Flying Start @ Redruth Pre-School Explore New Transport Theme! 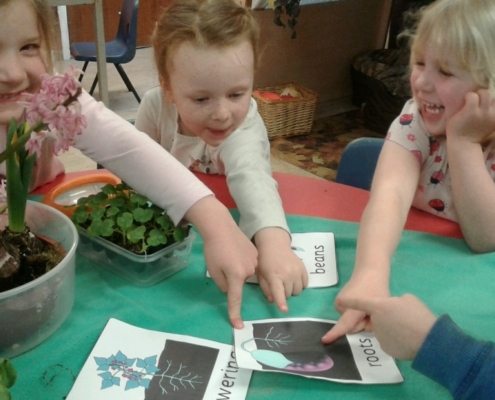 Flying Start @ Saltash Pre-School Learn About X-Rays! https://www.flyingstart.uk.com/wp-content/uploads/2019/01/IMG_20190102_093632.jpg 1536 2048 Amber https://www.flyingstart.uk.com/wp-content/uploads/2014/02/Flying-Start-logo1.png Amber2019-01-07 09:13:102019-01-07 22:19:01Flying Start @ Saltash Pre-School Learn About X-Rays! 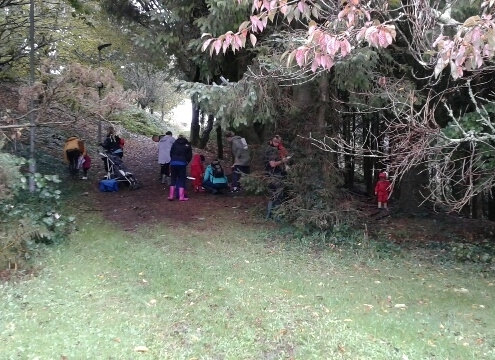 Flying Start @ Cornwall College Babies Create Woodland Area! https://www.flyingstart.uk.com/wp-content/uploads/2019/01/IMG_20190103_120415.jpg 2048 1536 Amber https://www.flyingstart.uk.com/wp-content/uploads/2014/02/Flying-Start-logo1.png Amber2019-01-06 09:00:412019-01-07 22:10:25Flying Start @ Cornwall College Babies Create Woodland Area! 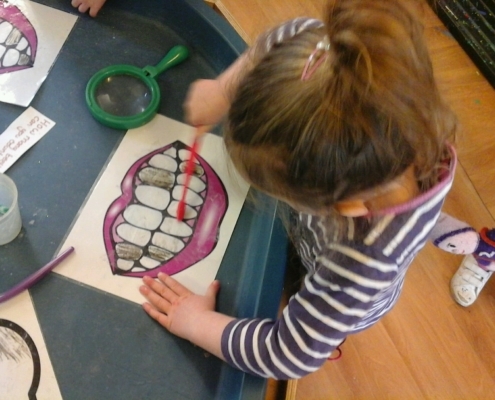 Flying Start @ Duchy Learn About Looking After Their Teeth! https://www.flyingstart.uk.com/wp-content/uploads/2019/01/20190102_145521.jpg 1152 2048 Amber https://www.flyingstart.uk.com/wp-content/uploads/2014/02/Flying-Start-logo1.png Amber2019-01-05 10:51:372019-01-07 21:59:18Flying Start @ Duchy Learn About Looking After Their Teeth! 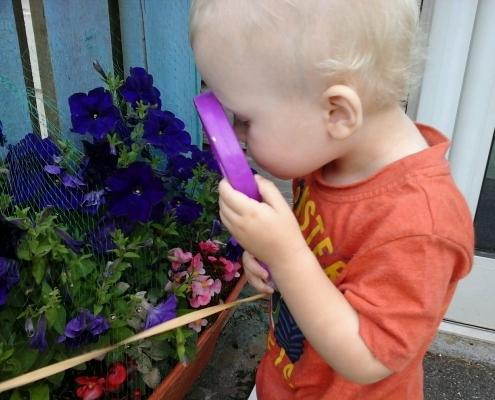 Happy New Year from Flying Start Nurseries! 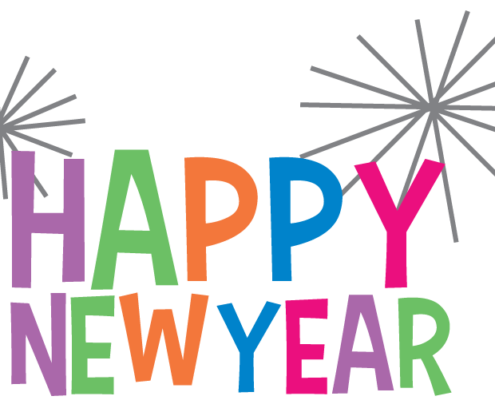 https://www.flyingstart.uk.com/wp-content/uploads/2019/01/Happy-New-Year-Clipart-png-images.png 501 856 Amber https://www.flyingstart.uk.com/wp-content/uploads/2014/02/Flying-Start-logo1.png Amber2019-01-02 08:34:312019-01-07 21:50:32Happy New Year from Flying Start Nurseries! 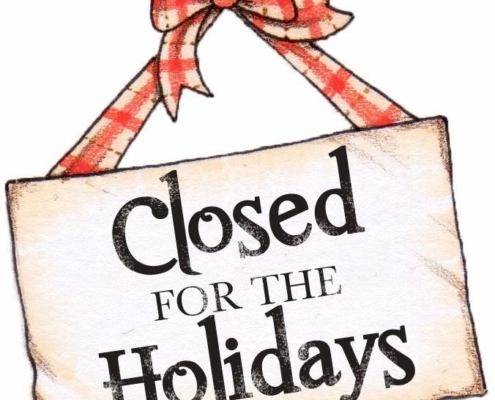 Flying Start Nurseries close for the holidays! 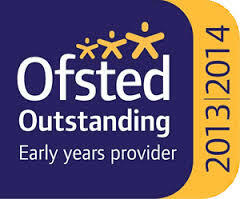 https://www.flyingstart.uk.com/wp-content/uploads/2019/01/48355357_1222067937918493_8839831530336419840_n.jpg 728 676 Amber https://www.flyingstart.uk.com/wp-content/uploads/2014/02/Flying-Start-logo1.png Amber2018-12-24 16:28:402019-01-07 21:32:57Flying Start Nurseries close for the holidays! 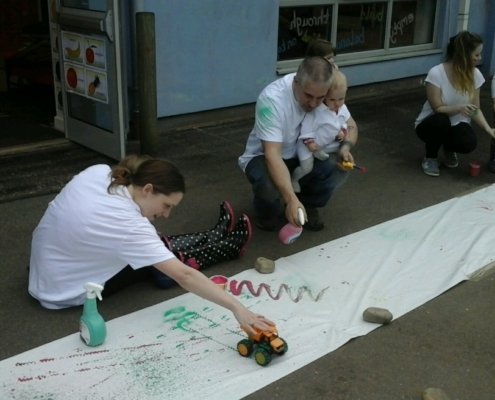 Flying Start @ Marjon Invite Parents To Join Festivities! https://www.flyingstart.uk.com/wp-content/uploads/2019/01/PP-3-1-e1548802105690.jpg 640 480 Amber https://www.flyingstart.uk.com/wp-content/uploads/2014/02/Flying-Start-logo1.png Amber2018-12-20 09:42:542019-01-29 22:49:38Flying Start @ Marjon Invite Parents To Join Festivities! 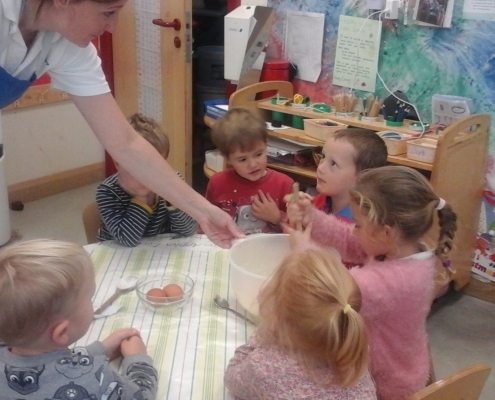 Flying Start @ Redruth Learn About Swedish Festival of Santa Lucia! https://www.flyingstart.uk.com/wp-content/uploads/2018/12/IMG_20181213_133845-1.jpg 1152 2048 Amber https://www.flyingstart.uk.com/wp-content/uploads/2014/02/Flying-Start-logo1.png Amber2018-12-17 09:58:152018-12-18 00:07:25Flying Start @ Redruth Learn About Swedish Festival of Santa Lucia! 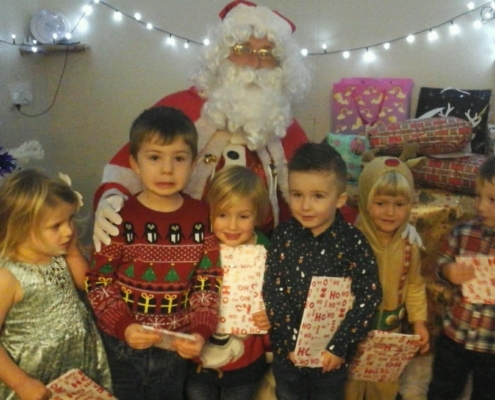 Flying Start @ Saltash Have Christmas Party & Father Christmas Visit! https://www.flyingstart.uk.com/wp-content/uploads/2018/12/Santa-visit-3.jpg 1152 2048 Amber https://www.flyingstart.uk.com/wp-content/uploads/2014/02/Flying-Start-logo1.png Amber2018-12-17 09:15:392018-12-18 00:21:37Flying Start @ Saltash Have Christmas Party & Father Christmas Visit! Flying Start @ Camborne Put On A Christmas Performance! https://www.flyingstart.uk.com/wp-content/uploads/2018/12/IMG_20181212_143642.jpg 2048 1152 Amber https://www.flyingstart.uk.com/wp-content/uploads/2014/02/Flying-Start-logo1.png Amber2018-12-16 10:58:192018-12-15 18:06:12Flying Start @ Camborne Put On A Christmas Performance! 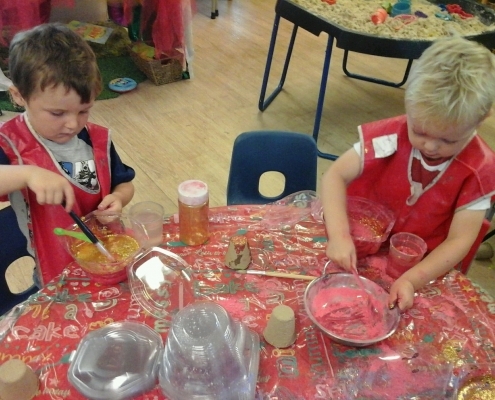 Flying Start @ Cornwall College Pre-School Enjoy Christmas Stay & Plays! https://www.flyingstart.uk.com/wp-content/uploads/2018/12/IMG_20181205_153048.jpg 1152 2048 Amber https://www.flyingstart.uk.com/wp-content/uploads/2014/02/Flying-Start-logo1.png Amber2018-12-15 09:11:372018-12-11 23:20:02Flying Start @ Cornwall College Pre-School Enjoy Christmas Stay & Plays! 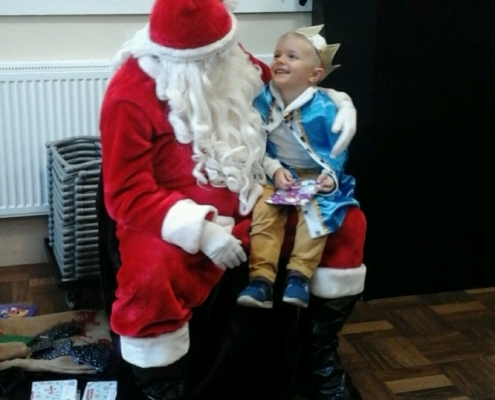 Flying Start @ Duchy Have A Christmas Party With A Special Visitor! 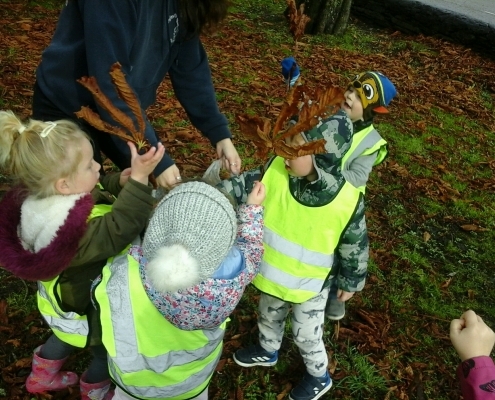 https://www.flyingstart.uk.com/wp-content/uploads/2018/12/20181212_105630-e1545092037349.jpg 2048 1152 Amber https://www.flyingstart.uk.com/wp-content/uploads/2014/02/Flying-Start-logo1.png Amber2018-12-14 09:08:152018-12-18 00:14:36Flying Start @ Duchy Have A Christmas Party With A Special Visitor! 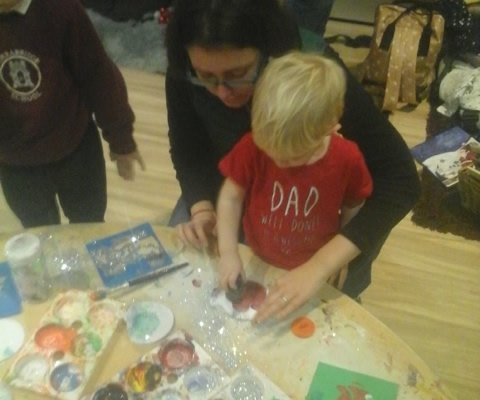 Flying Start @ Saltash Host Christmas Crafts Stay & Play! 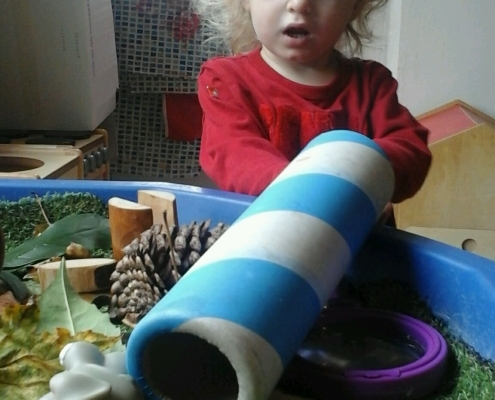 https://www.flyingstart.uk.com/wp-content/uploads/2018/12/Christmas-stay-and-play-3.jpg 1152 2048 Amber https://www.flyingstart.uk.com/wp-content/uploads/2014/02/Flying-Start-logo1.png Amber2018-12-14 09:07:502018-12-15 18:12:35Flying Start @ Saltash Host Christmas Crafts Stay & Play! 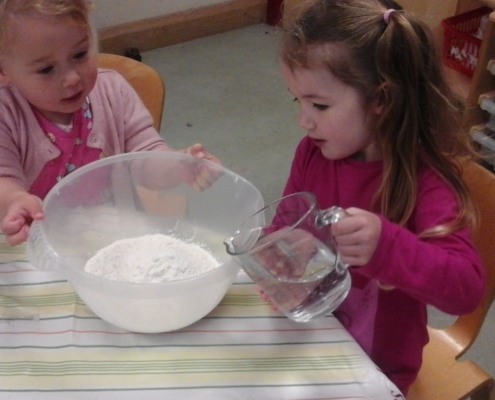 Flying Start @ Camborne Host Festive Stay & Play Cooking Session! https://www.flyingstart.uk.com/wp-content/uploads/2018/12/IMG_20181206_092937.jpg 1152 2048 Amber https://www.flyingstart.uk.com/wp-content/uploads/2014/02/Flying-Start-logo1.png Amber2018-12-13 09:46:342018-12-11 22:51:36Flying Start @ Camborne Host Festive Stay & Play Cooking Session! 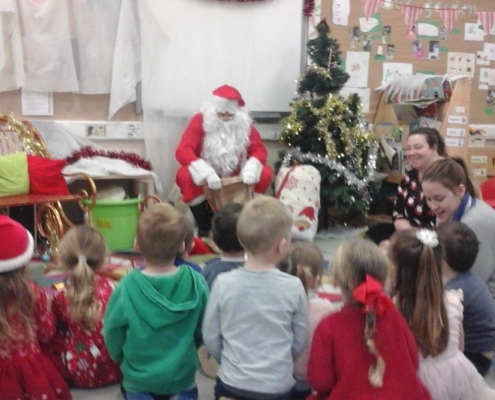 Flying Start @ Helston Have A Visit From Father Christmas! https://www.flyingstart.uk.com/wp-content/uploads/2014/02/Flying-Start-logo1.png 0 0 Amber https://www.flyingstart.uk.com/wp-content/uploads/2014/02/Flying-Start-logo1.png Amber2018-12-13 09:21:342018-12-17 09:28:09Flying Start @ Helston Have A Visit From Father Christmas! 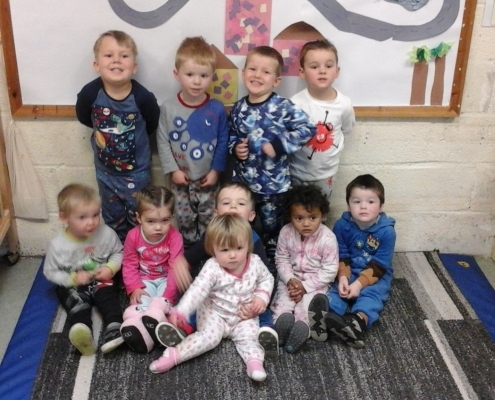 Flying Start @ Cornwall College Toddlers Have Festive Stay & Play! 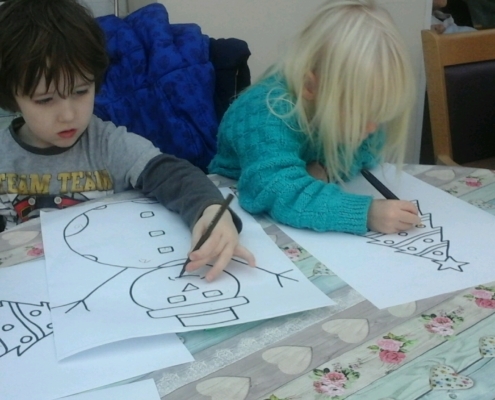 https://www.flyingstart.uk.com/wp-content/uploads/2018/12/xmas-play-and-stay.jpg 1152 2048 Amber https://www.flyingstart.uk.com/wp-content/uploads/2014/02/Flying-Start-logo1.png Amber2018-12-11 10:52:512018-12-11 22:59:56Flying Start @ Cornwall College Toddlers Have Festive Stay & Play! 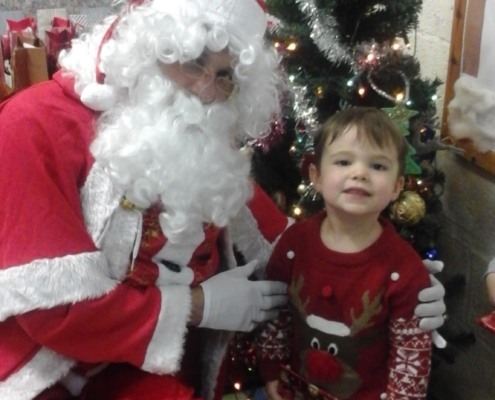 Flying Start @ Redruth Have A Festive Party With Father Christmas! https://www.flyingstart.uk.com/wp-content/uploads/2018/12/20181211_102035-1.jpg 1152 2048 Amber https://www.flyingstart.uk.com/wp-content/uploads/2014/02/Flying-Start-logo1.png Amber2018-12-11 09:29:212018-12-17 23:58:00Flying Start @ Redruth Have A Festive Party With Father Christmas! 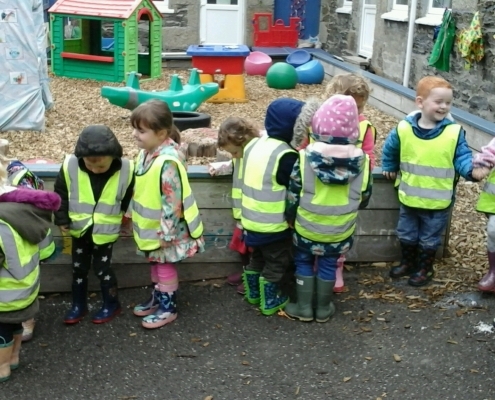 Flying Start @ Saltash Go On A Walk To Local Farm! 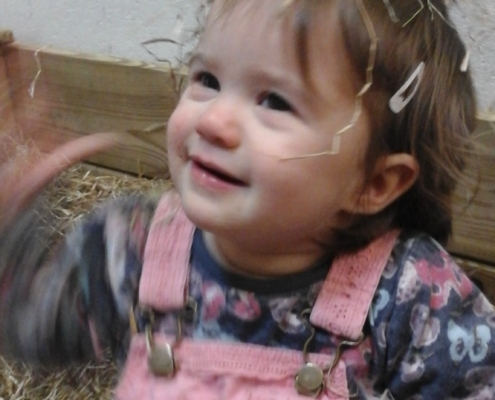 https://www.flyingstart.uk.com/wp-content/uploads/2018/12/Churchtown-farm-4.jpg 1152 2048 Amber https://www.flyingstart.uk.com/wp-content/uploads/2014/02/Flying-Start-logo1.png Amber2018-12-10 09:38:362018-12-11 23:44:22Flying Start @ Saltash Go On A Walk To Local Farm! 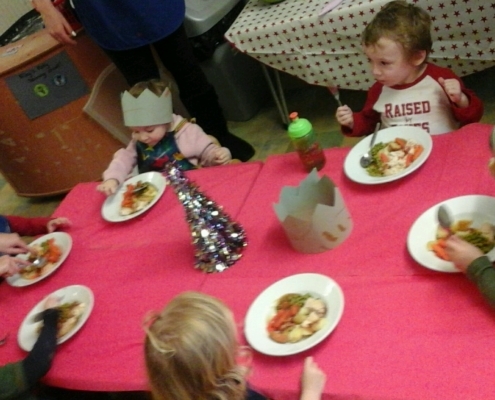 Flying Start @ Camborne Enjoy Whole Nursery Christmas Meal! https://www.flyingstart.uk.com/wp-content/uploads/2018/12/IMG_20181205_120638.jpg 1152 2048 Amber https://www.flyingstart.uk.com/wp-content/uploads/2014/02/Flying-Start-logo1.png Amber2018-12-10 08:39:342018-12-11 22:45:43Flying Start @ Camborne Enjoy Whole Nursery Christmas Meal! 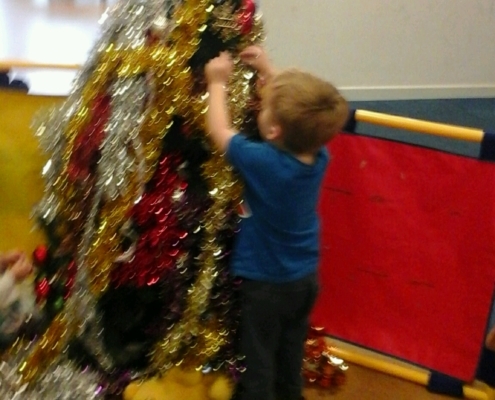 Flying Start @ Cornwall College Decorate Their Christmas Tree! https://www.flyingstart.uk.com/wp-content/uploads/2018/12/IMG_20181204_092805.jpg 2048 1152 Amber https://www.flyingstart.uk.com/wp-content/uploads/2014/02/Flying-Start-logo1.png Amber2018-12-09 09:00:042018-12-11 23:26:29Flying Start @ Cornwall College Decorate Their Christmas Tree! 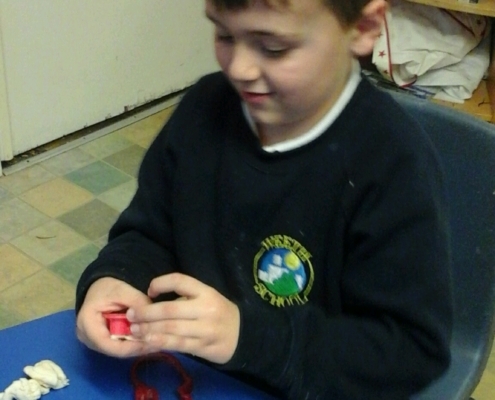 Flying Start @ Camborne Make Christmas Decorations At Residential Home! https://www.flyingstart.uk.com/wp-content/uploads/2018/12/IMG_20181128_104300.jpg 1152 2048 Amber https://www.flyingstart.uk.com/wp-content/uploads/2014/02/Flying-Start-logo1.png Amber2018-12-06 09:36:462018-12-03 20:50:30Flying Start @ Camborne Make Christmas Decorations At Residential Home! 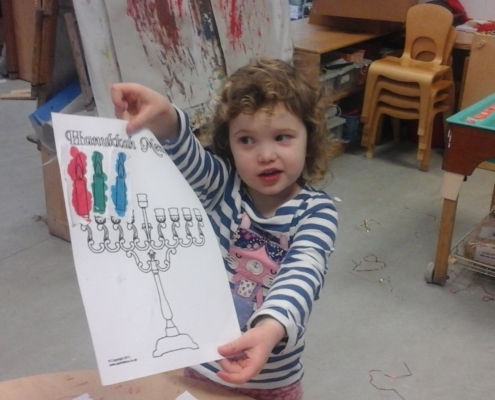 Flying Start @ Redruth Pre-School Learn About Hanukkah! https://www.flyingstart.uk.com/wp-content/uploads/2018/12/20181206_103044.jpg 1152 2048 Amber https://www.flyingstart.uk.com/wp-content/uploads/2014/02/Flying-Start-logo1.png Amber2018-12-06 09:28:092018-12-11 23:34:37Flying Start @ Redruth Pre-School Learn About Hanukkah! 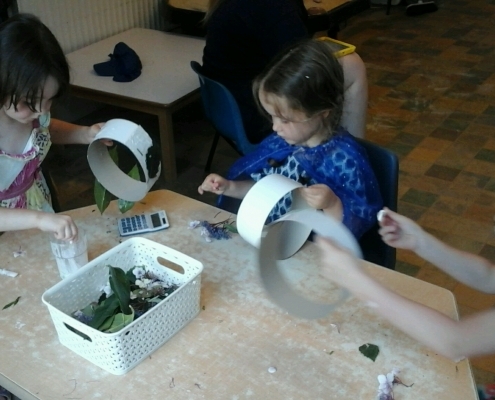 Flying Start @ Saltash Make Forest School Crafts! https://www.flyingstart.uk.com/wp-content/uploads/2018/12/forest-5.jpg 1152 2048 Amber https://www.flyingstart.uk.com/wp-content/uploads/2014/02/Flying-Start-logo1.png Amber2018-12-06 08:20:352018-12-03 22:27:42Flying Start @ Saltash Make Forest School Crafts! 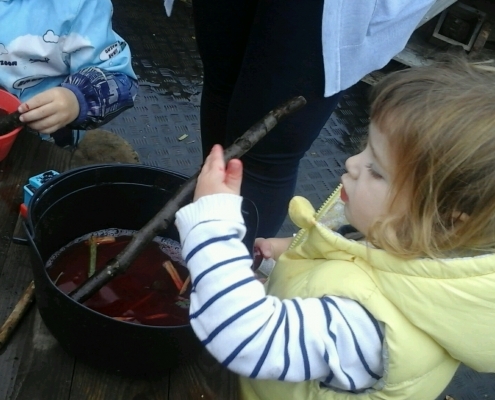 Flying Start @ Marjon Make Magical Forest Potions! https://www.flyingstart.uk.com/wp-content/uploads/2018/11/IMG_20181016_100139.jpg 1152 2048 Amber https://www.flyingstart.uk.com/wp-content/uploads/2014/02/Flying-Start-logo1.png Amber2018-12-05 09:41:322019-01-29 22:42:04Flying Start @ Marjon Make Magical Forest Potions! 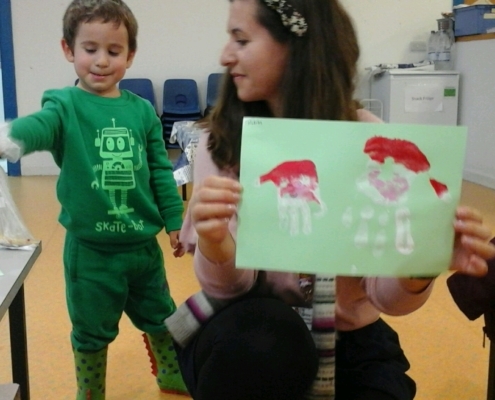 Flying Start @ Cornwall College Explore Stick Man Story! https://www.flyingstart.uk.com/wp-content/uploads/2018/12/tods-outside-adult-led-sef.jpg 1152 2048 Amber https://www.flyingstart.uk.com/wp-content/uploads/2014/02/Flying-Start-logo1.png Amber2018-12-02 09:51:372018-12-03 21:27:41Flying Start @ Cornwall College Explore Stick Man Story! 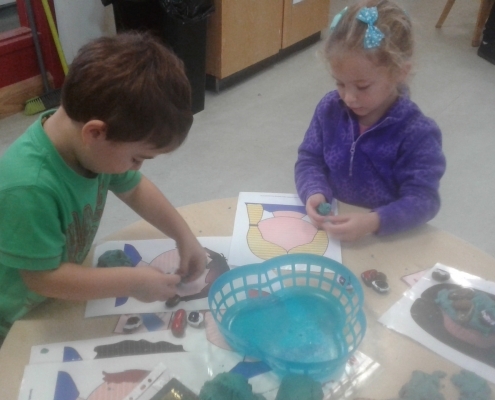 Flying Start @ Duchy Learn About American Thanksgiving Celebrations! https://www.flyingstart.uk.com/wp-content/uploads/2018/12/20181119_171846.jpg 1152 2048 Amber https://www.flyingstart.uk.com/wp-content/uploads/2014/02/Flying-Start-logo1.png Amber2018-12-02 09:46:242018-12-03 21:53:06Flying Start @ Duchy Learn About American Thanksgiving Celebrations! 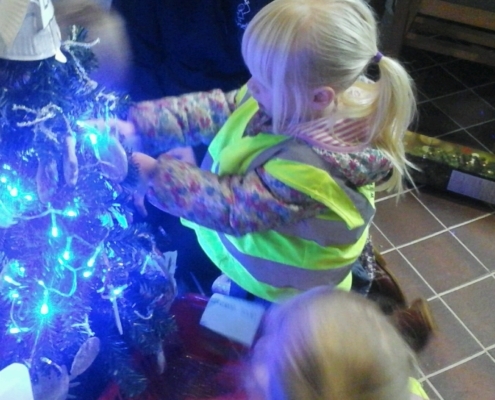 Flying Start @ Camborne Decorate Christmas Tree For Local Church! https://www.flyingstart.uk.com/wp-content/uploads/2018/12/IMG_20181123_140017.jpg 1152 2048 Amber https://www.flyingstart.uk.com/wp-content/uploads/2014/02/Flying-Start-logo1.png Amber2018-12-02 09:26:422018-12-03 20:35:56Flying Start @ Camborne Decorate Christmas Tree For Local Church! 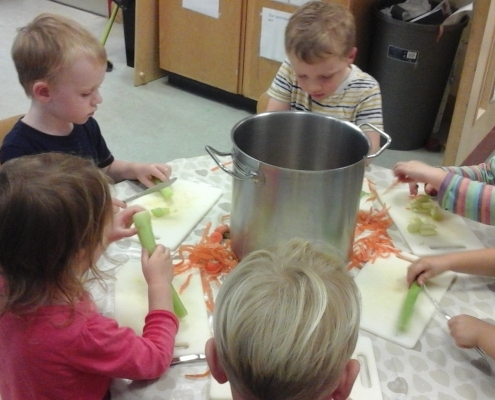 Flying Start @ Helston Make Homemade Tomato Soup! https://www.flyingstart.uk.com/wp-content/uploads/2018/12/IMG_20181108_090614.jpg 1152 2048 Amber https://www.flyingstart.uk.com/wp-content/uploads/2014/02/Flying-Start-logo1.png Amber2018-12-01 09:56:032018-12-03 22:00:12Flying Start @ Helston Make Homemade Tomato Soup! 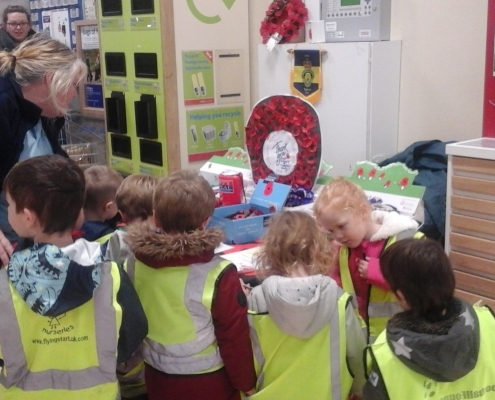 Flying Start @ Saltash Explore Post Office Role Play! https://www.flyingstart.uk.com/wp-content/uploads/2018/12/Post-office-2.jpg 1536 2048 Amber https://www.flyingstart.uk.com/wp-content/uploads/2014/02/Flying-Start-logo1.png Amber2018-12-01 09:14:382018-12-03 22:18:54Flying Start @ Saltash Explore Post Office Role Play! 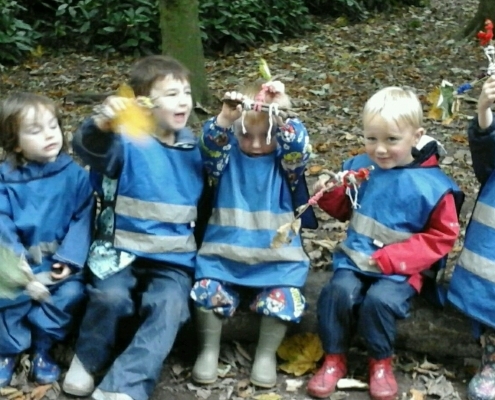 Flying Start @ Cornwall College Do Rafting at Forest School! 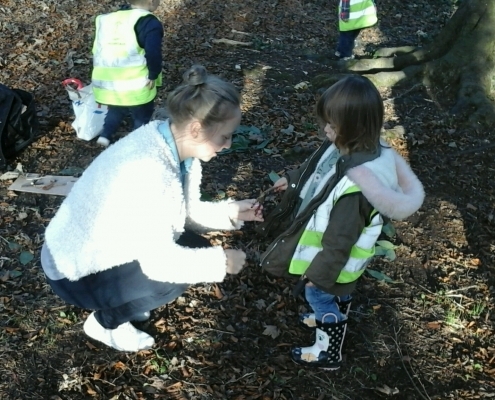 https://www.flyingstart.uk.com/wp-content/uploads/2018/11/forest-school-1.jpg 1152 2048 Amber https://www.flyingstart.uk.com/wp-content/uploads/2014/02/Flying-Start-logo1.png Amber2018-11-29 09:21:342018-11-26 19:35:01Flying Start @ Cornwall College Do Rafting at Forest School! 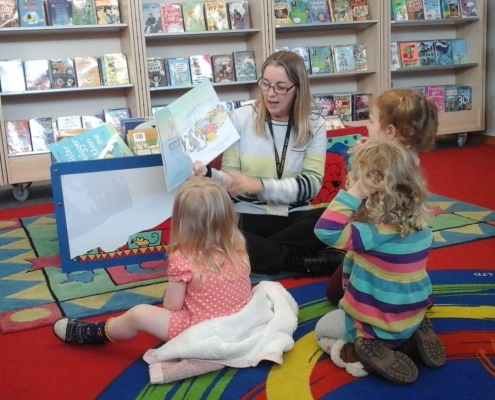 Flying Start @ Camborne Visit Local Library! https://www.flyingstart.uk.com/wp-content/uploads/2018/11/IMG_20181102_103744-1.jpg 2048 1152 Amber https://www.flyingstart.uk.com/wp-content/uploads/2014/02/Flying-Start-logo1.png Amber2018-11-28 09:54:572018-11-25 19:06:09Flying Start @ Camborne Visit Local Library! 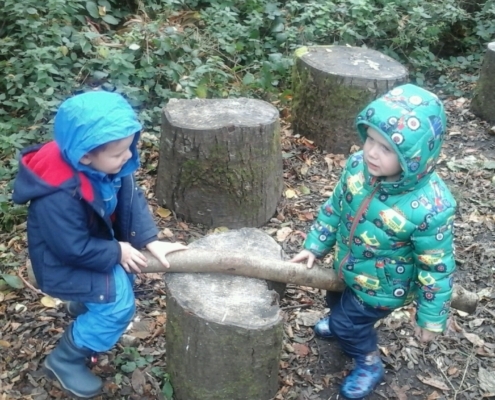 Flying Start @ Duchy Pre-School Have Adventures at Forest School! https://www.flyingstart.uk.com/wp-content/uploads/2018/11/20181106_105433.jpg 1152 2048 Amber https://www.flyingstart.uk.com/wp-content/uploads/2014/02/Flying-Start-logo1.png Amber2018-11-27 09:06:392018-11-26 21:18:14Flying Start @ Duchy Pre-School Have Adventures at Forest School! 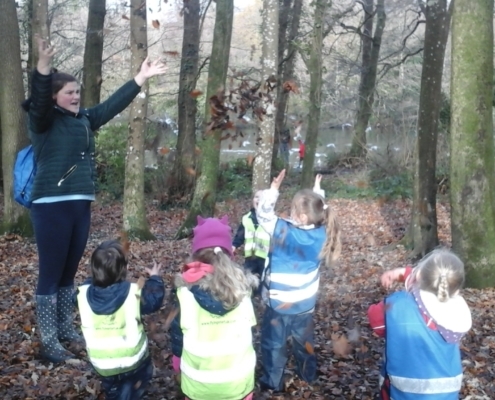 Flying Start @ Redruth Pre-School Explore Winter in Forest School! https://www.flyingstart.uk.com/wp-content/uploads/2018/12/IMG_20181126_104423.jpg 1152 2048 Amber https://www.flyingstart.uk.com/wp-content/uploads/2014/02/Flying-Start-logo1.png Amber2018-11-27 09:05:052018-12-03 22:12:33Flying Start @ Redruth Pre-School Explore Winter in Forest School! 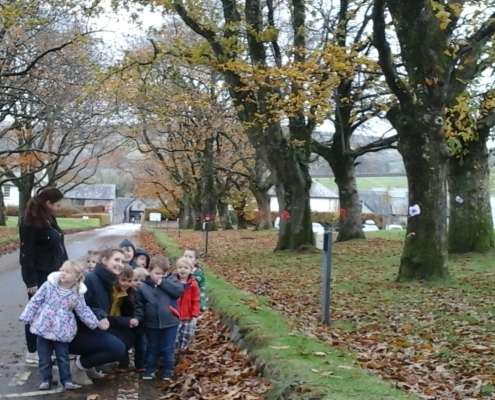 Flying Start @ Helston Go On Autumn Walk To Boating Lake! 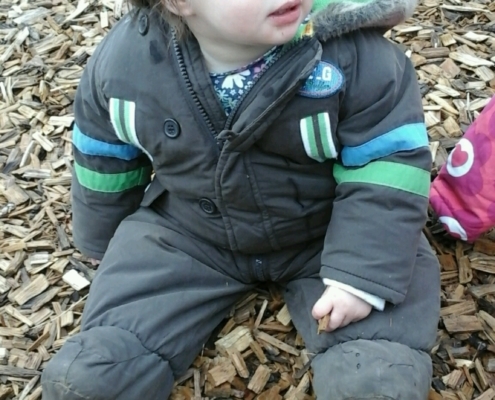 https://www.flyingstart.uk.com/wp-content/uploads/2018/11/This-week-babies-and-preschool-went-on-a-walk-to-the-boating-lake..jpg 1536 2048 Amber https://www.flyingstart.uk.com/wp-content/uploads/2014/02/Flying-Start-logo1.png Amber2018-11-26 09:49:232018-11-26 20:00:17Flying Start @ Helston Go On Autumn Walk To Boating Lake! 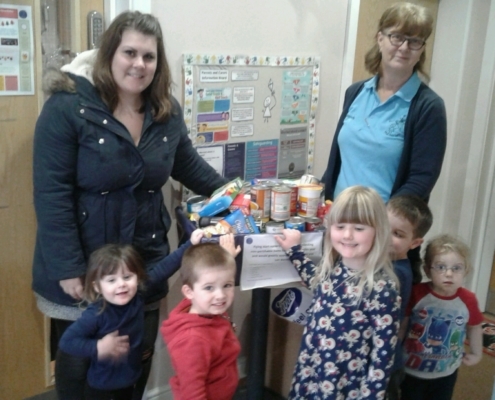 Flying Start @ Cornwall College Collect For Local Food Bank! 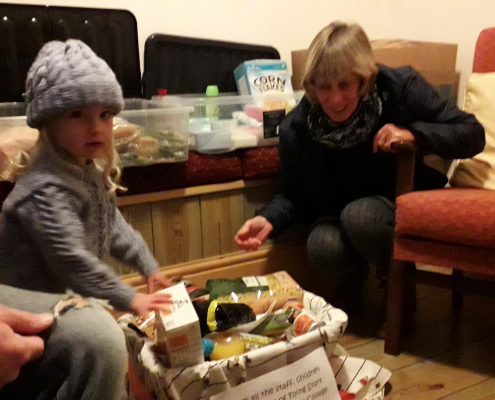 https://www.flyingstart.uk.com/wp-content/uploads/2018/11/bryher-food-bank-2.png 1161 2064 Amber https://www.flyingstart.uk.com/wp-content/uploads/2014/02/Flying-Start-logo1.png Amber2018-11-26 09:11:202018-11-25 19:17:57Flying Start @ Cornwall College Collect For Local Food Bank! 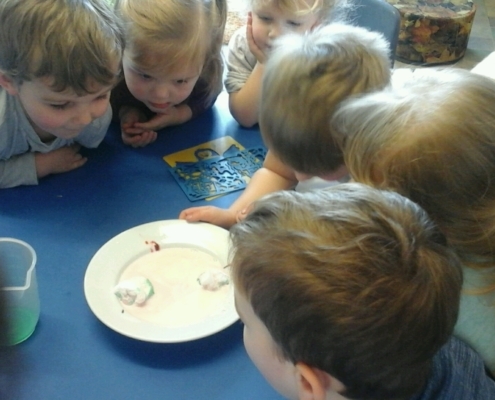 Flying Start @ Marjon Pre-School Do Science Experiments! https://www.flyingstart.uk.com/wp-content/uploads/2018/10/IMG_20180926_142833.jpg 1152 2048 Amber https://www.flyingstart.uk.com/wp-content/uploads/2014/02/Flying-Start-logo1.png Amber2018-11-25 09:33:232019-01-29 22:41:23Flying Start @ Marjon Pre-School Do Science Experiments! 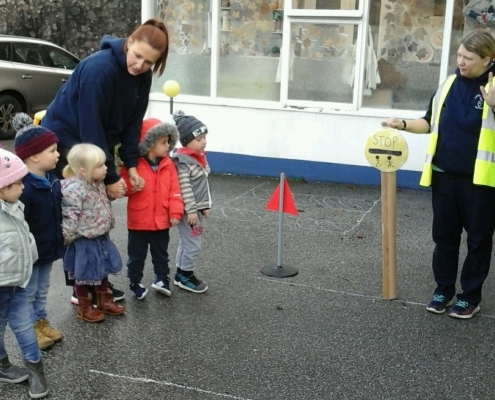 Flying Start @ Saltash Learn About Road Safety! https://www.flyingstart.uk.com/wp-content/uploads/2018/11/Beep-Beep-day-3.jpg 1536 2048 Amber https://www.flyingstart.uk.com/wp-content/uploads/2014/02/Flying-Start-logo1.png Amber2018-11-25 08:47:102018-11-26 20:56:36Flying Start @ Saltash Learn About Road Safety! 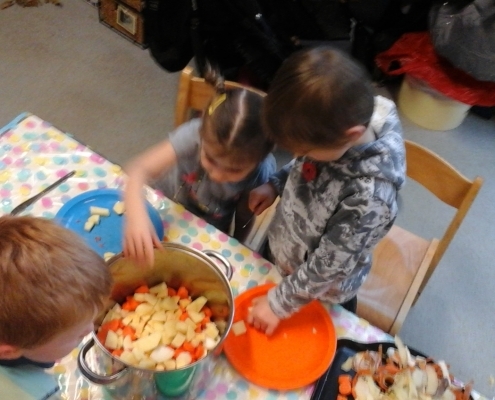 Flying Start @ Duchy Make Homemade Vegetable Soup! https://www.flyingstart.uk.com/wp-content/uploads/2018/11/20181109_152858.jpg 1152 2048 Amber https://www.flyingstart.uk.com/wp-content/uploads/2014/02/Flying-Start-logo1.png Amber2018-11-24 09:35:422018-11-26 19:46:43Flying Start @ Duchy Make Homemade Vegetable Soup! 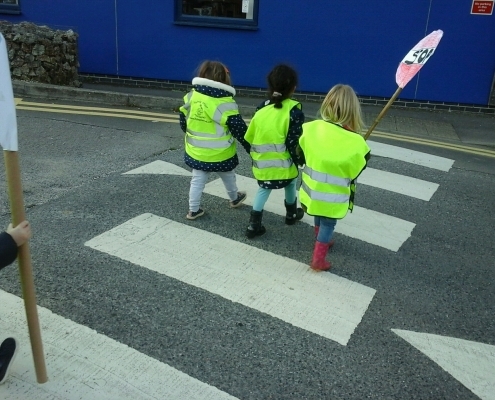 Flying Start @ Camborne Practise Their Road Safety Skills! https://www.flyingstart.uk.com/wp-content/uploads/2018/11/IMG_20181123_101847.jpg 1152 2048 Amber https://www.flyingstart.uk.com/wp-content/uploads/2014/02/Flying-Start-logo1.png Amber2018-11-22 09:50:442018-11-25 18:54:31Flying Start @ Camborne Practise Their Road Safety Skills! Flying Start @ Cornwall College Raise Money For Children In Need! https://www.flyingstart.uk.com/wp-content/uploads/2018/11/pudsey-painting.jpg 1536 2048 Amber https://www.flyingstart.uk.com/wp-content/uploads/2014/02/Flying-Start-logo1.png Amber2018-11-19 22:23:132018-11-25 19:11:11Flying Start @ Cornwall College Raise Money For Children In Need! Flying Start @ Helston Celebrate Diwali Festival! https://www.flyingstart.uk.com/wp-content/uploads/2018/11/IMG_20181107_103935.jpg 1152 2048 Amber https://www.flyingstart.uk.com/wp-content/uploads/2014/02/Flying-Start-logo1.png Amber2018-11-19 10:09:392018-11-20 11:39:34Flying Start @ Helston Celebrate Diwali Festival! 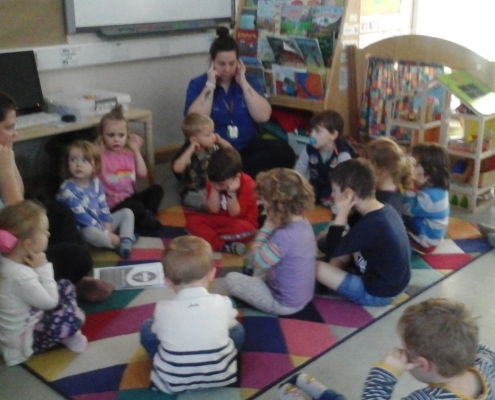 Flying Start @ Redruth Explore Gruffalo Story! https://www.flyingstart.uk.com/wp-content/uploads/2018/11/20181109_113010-e1543264851906.jpg 2048 1536 Amber https://www.flyingstart.uk.com/wp-content/uploads/2014/02/Flying-Start-logo1.png Amber2018-11-19 09:28:592018-11-26 20:42:28Flying Start @ Redruth Explore Gruffalo Story! Flying Start @ Duchy Celebrate Diwali Festival! https://www.flyingstart.uk.com/wp-content/uploads/2018/11/20181115_150548.jpg 1152 2048 Amber https://www.flyingstart.uk.com/wp-content/uploads/2014/02/Flying-Start-logo1.png Amber2018-11-18 09:58:502018-11-20 11:09:09Flying Start @ Duchy Celebrate Diwali Festival! 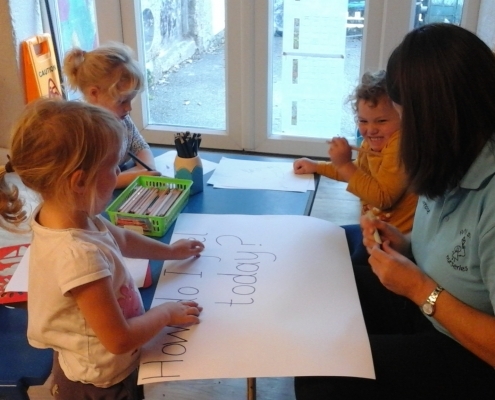 Flying Start @ Saltash Join In With Children In Need! https://www.flyingstart.uk.com/wp-content/uploads/2018/11/pudseybear-5.jpg 1536 2048 Amber https://www.flyingstart.uk.com/wp-content/uploads/2014/02/Flying-Start-logo1.png Amber2018-11-17 09:53:222018-11-19 22:38:37Flying Start @ Saltash Join In With Children In Need! 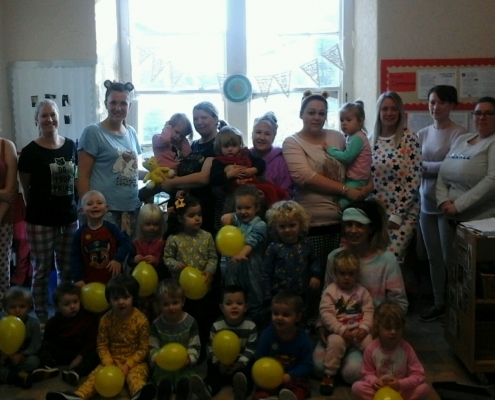 Flying Start @ Camborne Fundraise for Children in Need with Party Day! https://www.flyingstart.uk.com/wp-content/uploads/2018/11/IMG_20181116_094218.jpg 1152 2048 Amber https://www.flyingstart.uk.com/wp-content/uploads/2014/02/Flying-Start-logo1.png Amber2018-11-17 09:30:202018-11-19 22:38:09Flying Start @ Camborne Fundraise for Children in Need with Party Day! 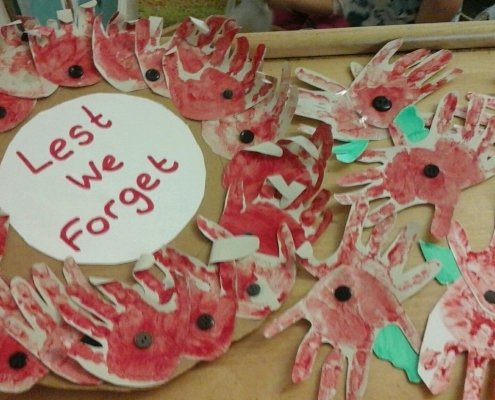 Flying Start @ Cornwall College Have Parent Visit For Remembrance Day! https://www.flyingstart.uk.com/wp-content/uploads/2018/11/IMG_20181108_105046.jpg 1152 2048 Amber https://www.flyingstart.uk.com/wp-content/uploads/2014/02/Flying-Start-logo1.png Amber2018-11-12 11:30:322018-11-16 11:33:48Flying Start @ Cornwall College Have Parent Visit For Remembrance Day! Flying Start @ Camborne Mark Remembrance Day! https://www.flyingstart.uk.com/wp-content/uploads/2018/11/IMG_20181109_113815-1.jpg 1152 2048 Amber https://www.flyingstart.uk.com/wp-content/uploads/2014/02/Flying-Start-logo1.png Amber2018-11-12 09:53:122018-11-13 17:07:07Flying Start @ Camborne Mark Remembrance Day! Flying Start @ Saltash Celebrate Diwali! https://www.flyingstart.uk.com/wp-content/uploads/2018/11/Festivals-11.jpg 1536 2048 Amber https://www.flyingstart.uk.com/wp-content/uploads/2014/02/Flying-Start-logo1.png Amber2018-11-12 08:56:512018-11-26 21:04:53Flying Start @ Saltash Celebrate Diwali! 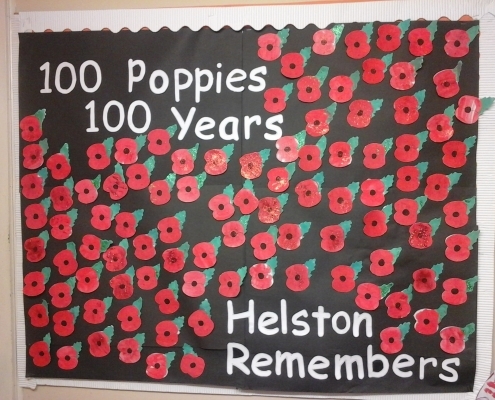 Flying Start @ Helston Make 100 Poppies for Remembrance Day! https://www.flyingstart.uk.com/wp-content/uploads/2018/11/IMG_20181109_150840-1.jpg 1536 2048 Amber https://www.flyingstart.uk.com/wp-content/uploads/2014/02/Flying-Start-logo1.png Amber2018-11-12 08:10:072018-11-16 11:55:59Flying Start @ Helston Make 100 Poppies for Remembrance Day! 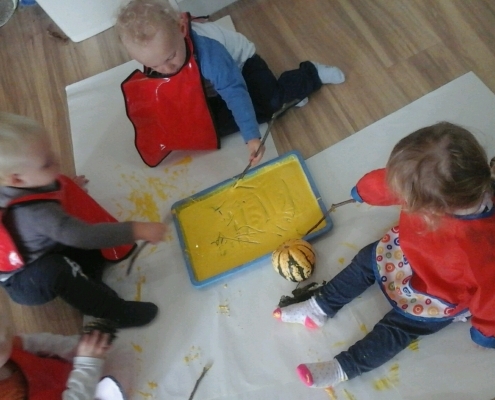 Flying Start @ Marjon Babies Do Autumn Stick Painting! https://www.flyingstart.uk.com/wp-content/uploads/2018/11/IMG_20181005_104253.jpg 1152 2048 Amber https://www.flyingstart.uk.com/wp-content/uploads/2014/02/Flying-Start-logo1.png Amber2018-11-11 09:05:462019-01-29 22:41:42Flying Start @ Marjon Babies Do Autumn Stick Painting! 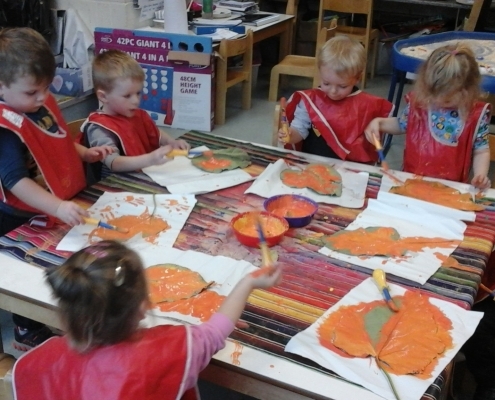 Flying Start @ Camborne Toddlers Paint Using Jungle Animals! https://www.flyingstart.uk.com/wp-content/uploads/2018/11/IMG_20181002_094643.jpg 1152 2048 Amber https://www.flyingstart.uk.com/wp-content/uploads/2014/02/Flying-Start-logo1.png Amber2018-11-06 09:51:412018-11-13 16:52:55Flying Start @ Camborne Toddlers Paint Using Jungle Animals! Flying Start @ Marjon Host Their Own Invictus Games! https://www.flyingstart.uk.com/wp-content/uploads/2018/11/IMG_20181025_143832-1.jpg 1152 2048 Amber https://www.flyingstart.uk.com/wp-content/uploads/2014/02/Flying-Start-logo1.png Amber2018-11-05 09:57:132019-01-29 22:40:35Flying Start @ Marjon Host Their Own Invictus Games! 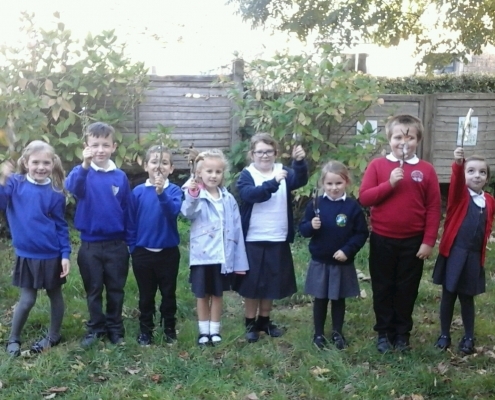 Flying Start @ Redruth Bake Pumpkin Slices From Their Garden! https://www.flyingstart.uk.com/wp-content/uploads/2018/11/20181101_133340.jpg 1152 2048 Amber https://www.flyingstart.uk.com/wp-content/uploads/2014/02/Flying-Start-logo1.png Amber2018-11-05 09:19:182018-12-03 22:04:52Flying Start @ Redruth Bake Pumpkin Slices From Their Garden! 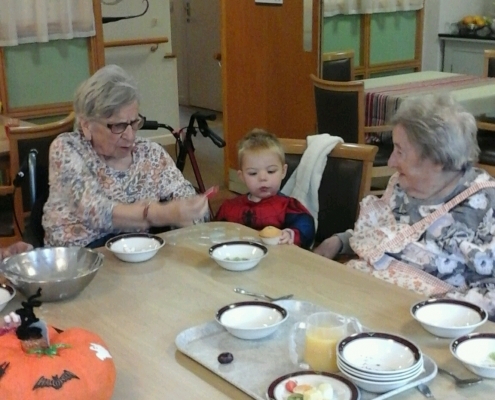 Flying Start @ Saltash Make Halloween Cakes At Residential Home! https://www.flyingstart.uk.com/wp-content/uploads/2018/11/St-annes-1.jpg 2048 1152 Amber https://www.flyingstart.uk.com/wp-content/uploads/2014/02/Flying-Start-logo1.png Amber2018-11-04 09:39:352018-11-04 14:48:58Flying Start @ Saltash Make Halloween Cakes At Residential Home! 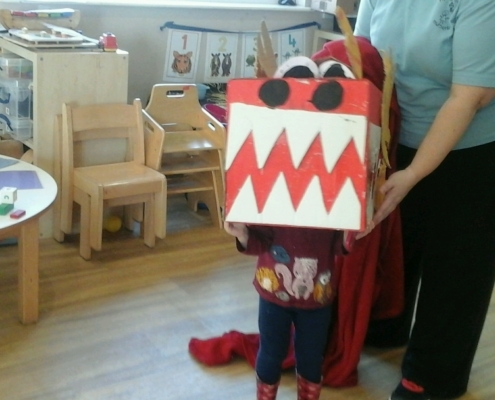 Flying Start @ Helston Host Halloween Stay & Play! https://www.flyingstart.uk.com/wp-content/uploads/2018/11/IMG_20181031_095601.jpg 1536 2048 Amber https://www.flyingstart.uk.com/wp-content/uploads/2014/02/Flying-Start-logo1.png Amber2018-11-02 09:25:192018-11-04 14:01:56Flying Start @ Helston Host Halloween Stay & Play! 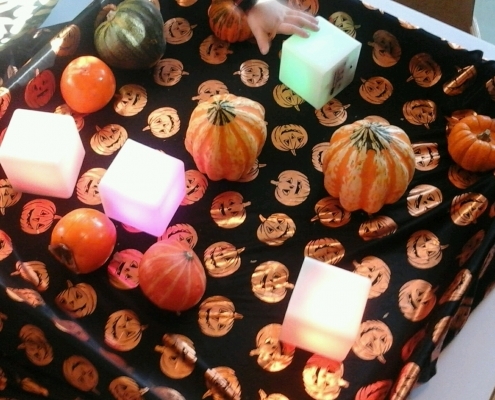 Flying Start @ Cornwall College Host Toddler Halloween Stay & Play! https://www.flyingstart.uk.com/wp-content/uploads/2018/11/IMG_20181102_092225.jpg 1152 2048 Amber https://www.flyingstart.uk.com/wp-content/uploads/2014/02/Flying-Start-logo1.png Amber2018-11-01 10:10:142018-11-04 14:16:40Flying Start @ Cornwall College Host Toddler Halloween Stay & Play! 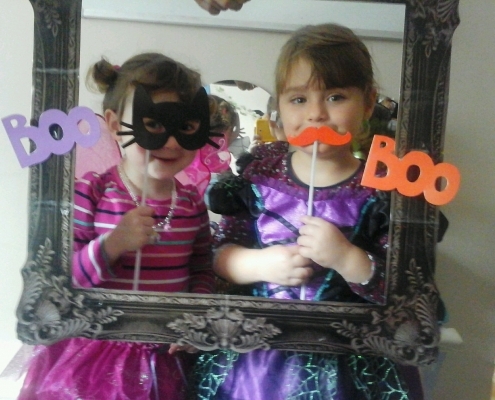 Flying Start @ Saltash Host A Halloween Party! https://www.flyingstart.uk.com/wp-content/uploads/2018/11/Party-food-2.jpg 1152 2048 Amber https://www.flyingstart.uk.com/wp-content/uploads/2014/02/Flying-Start-logo1.png Amber2018-11-01 09:12:502018-11-04 14:30:38Flying Start @ Saltash Host A Halloween Party! 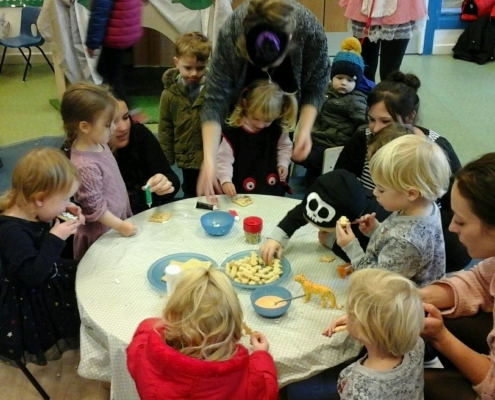 Flying Start @ Camborne Toddlers Explore Halloween Activities! https://www.flyingstart.uk.com/wp-content/uploads/2018/11/IMG_20181031_091522.jpg 1152 2048 Amber https://www.flyingstart.uk.com/wp-content/uploads/2014/02/Flying-Start-logo1.png Amber2018-10-31 09:02:542018-11-13 16:53:07Flying Start @ Camborne Toddlers Explore Halloween Activities! 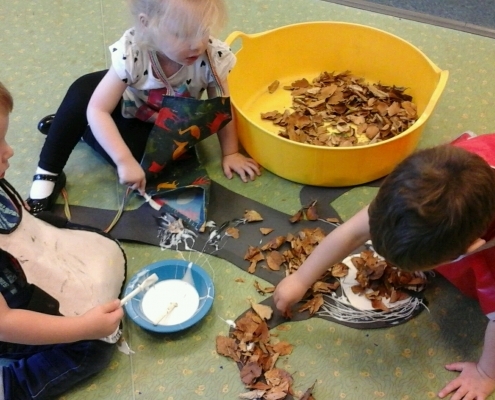 Flying Start @ Marjon Toddlers Explore Autumnal Sensory Play! https://www.flyingstart.uk.com/wp-content/uploads/2018/10/IMG_20180927_081846.jpg 2048 1536 Amber https://www.flyingstart.uk.com/wp-content/uploads/2014/02/Flying-Start-logo1.png Amber2018-10-30 10:31:132019-01-29 22:40:19Flying Start @ Marjon Toddlers Explore Autumnal Sensory Play! 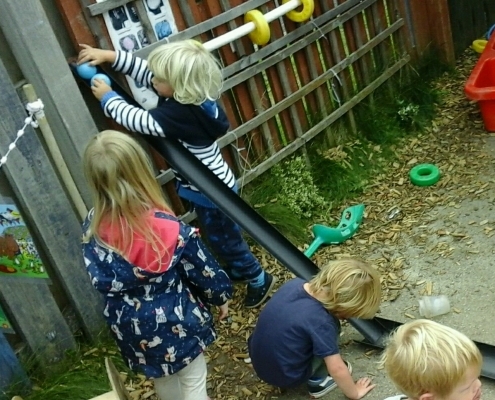 Flying Start @ Duchy Babies Explore Garden Play! https://www.flyingstart.uk.com/wp-content/uploads/2018/11/20181018_092341.jpg 1152 2048 Amber https://www.flyingstart.uk.com/wp-content/uploads/2014/02/Flying-Start-logo1.png Amber2018-10-30 09:45:522018-11-01 16:14:37Flying Start @ Duchy Babies Explore Garden Play! 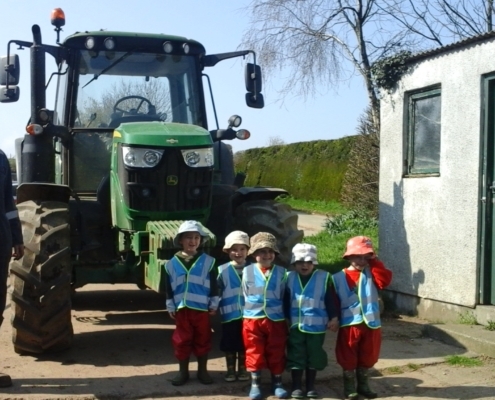 Flying Start @ Saltash Visit Churchtown Farm! 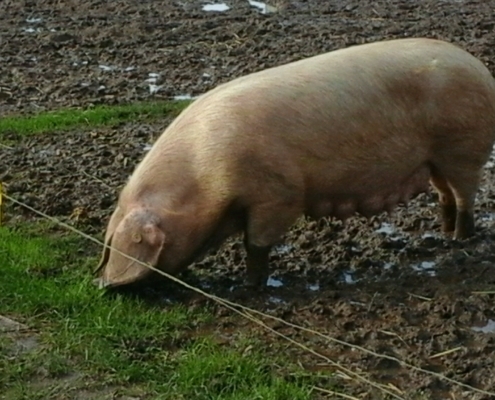 https://www.flyingstart.uk.com/wp-content/uploads/2018/11/Churchtown-farm-3.jpg 1152 2048 Amber https://www.flyingstart.uk.com/wp-content/uploads/2014/02/Flying-Start-logo1.png Amber2018-10-30 09:17:502018-11-01 17:22:20Flying Start @ Saltash Visit Churchtown Farm! 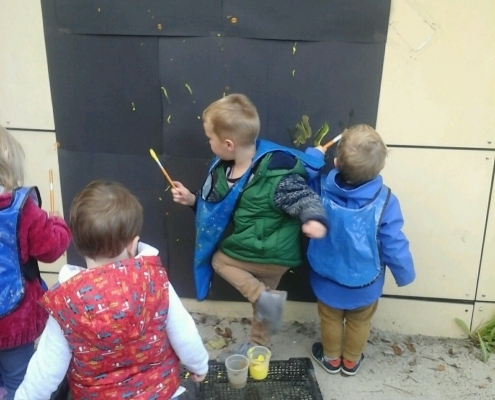 Flying Start @ Redruth Day Nursery Do Big Art In The Garden! https://www.flyingstart.uk.com/wp-content/uploads/2018/11/IMG_20181026_143615.jpg 2048 1536 Amber https://www.flyingstart.uk.com/wp-content/uploads/2014/02/Flying-Start-logo1.png Amber2018-10-29 17:11:522018-11-01 17:17:29Flying Start @ Redruth Day Nursery Do Big Art In The Garden! 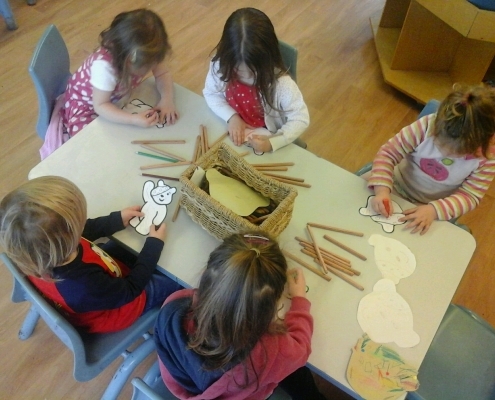 Flying Start @ Cornwall College Toddlers Explore Stickman Story! https://www.flyingstart.uk.com/wp-content/uploads/2018/11/IMG_20181026_094749.jpg 1152 2048 Amber https://www.flyingstart.uk.com/wp-content/uploads/2014/02/Flying-Start-logo1.png Amber2018-10-28 09:47:542018-11-01 15:43:56Flying Start @ Cornwall College Toddlers Explore Stickman Story! 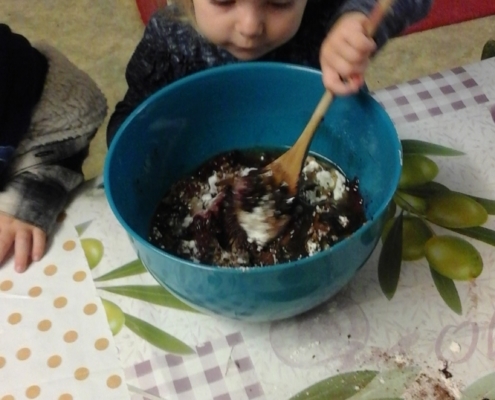 Flying Start @ Helston Toddlers Bake Beetroot Brownies! https://www.flyingstart.uk.com/wp-content/uploads/2018/11/IMG_20181002_091116-e1541091164945.jpg 2048 1152 Amber https://www.flyingstart.uk.com/wp-content/uploads/2014/02/Flying-Start-logo1.png Amber2018-10-27 09:45:322018-11-01 16:53:45Flying Start @ Helston Toddlers Bake Beetroot Brownies! 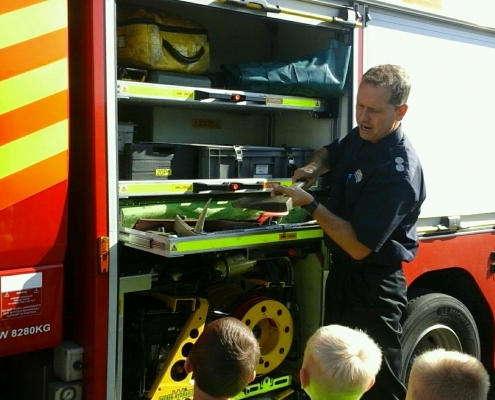 Flying Start @ Camborne Get Fire Engine Tour! https://www.flyingstart.uk.com/wp-content/uploads/2018/10/IMG_20181010_114518_edit_20181010_165909.jpg 1152 1627 Amber https://www.flyingstart.uk.com/wp-content/uploads/2014/02/Flying-Start-logo1.png Amber2018-10-25 09:53:482018-10-22 15:02:33Flying Start @ Camborne Get Fire Engine Tour! 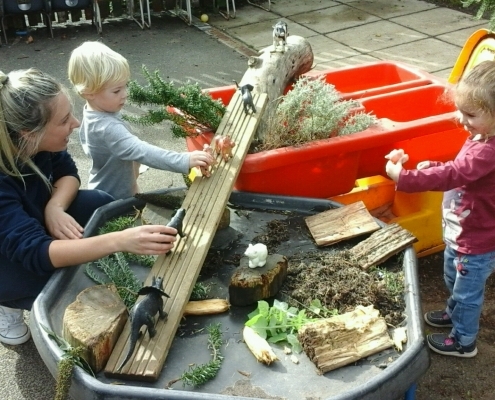 Flying Start @ Marjon Hold Under-3's Forest School Workshop! 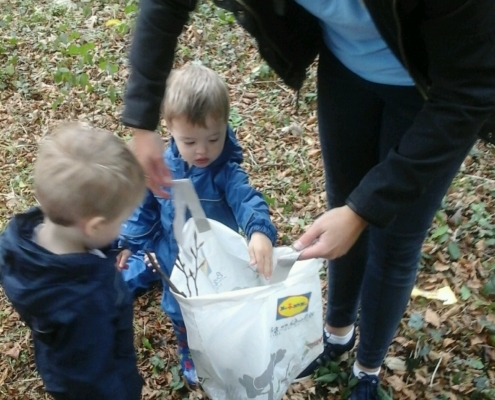 https://www.flyingstart.uk.com/wp-content/uploads/2018/10/20181017_105008_resized.jpg 360 640 Amber https://www.flyingstart.uk.com/wp-content/uploads/2014/02/Flying-Start-logo1.png Amber2018-10-25 09:12:252018-11-01 16:57:06Flying Start @ Marjon Hold Under-3's Forest School Workshop! 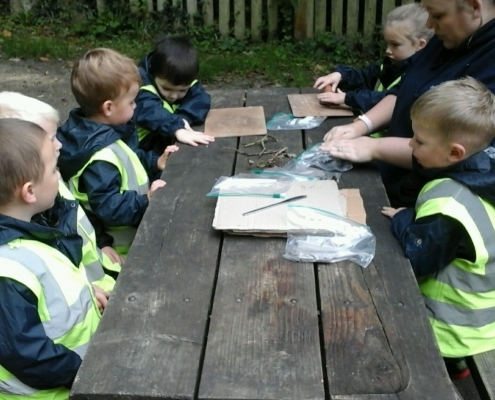 Flying Start @ Saltash Build A Bug Hotel! 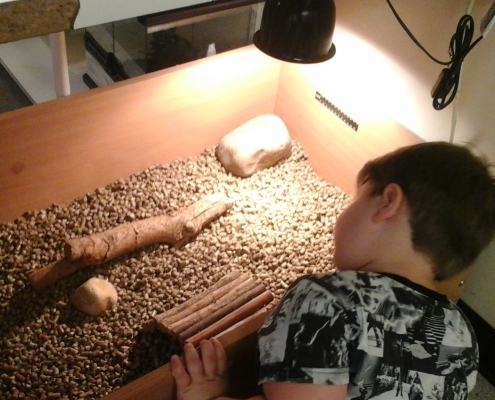 https://www.flyingstart.uk.com/wp-content/uploads/2018/10/Bug-hotel-4.jpg 1536 1648 Amber https://www.flyingstart.uk.com/wp-content/uploads/2014/02/Flying-Start-logo1.png Amber2018-10-24 07:05:592018-10-23 20:33:11Flying Start @ Saltash Build A Bug Hotel! 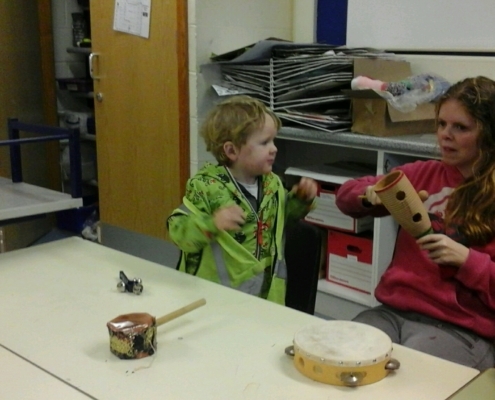 Flying Start @ Helston Make Their Own Didgeridoos! https://www.flyingstart.uk.com/wp-content/uploads/2018/11/20180926_113042-3.jpg 1152 2048 Amber https://www.flyingstart.uk.com/wp-content/uploads/2014/02/Flying-Start-logo1.png Amber2018-10-23 09:34:322018-11-01 16:44:24Flying Start @ Helston Make Their Own Didgeridoos! 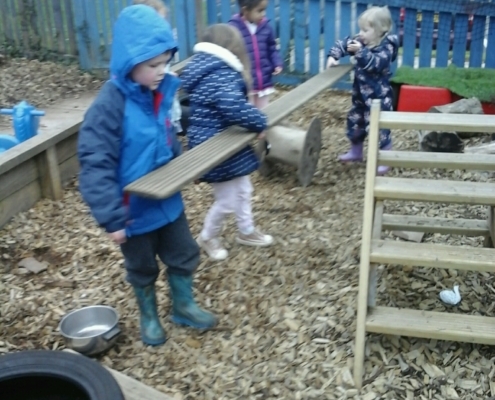 Flying Start @ Redruth Build Boats in Forest School! https://www.flyingstart.uk.com/wp-content/uploads/2018/10/IMG_20181008_103123_edit_20181012_111832.jpg 922 1638 Amber https://www.flyingstart.uk.com/wp-content/uploads/2014/02/Flying-Start-logo1.png Amber2018-10-23 09:19:302018-10-23 19:37:25Flying Start @ Redruth Build Boats in Forest School! 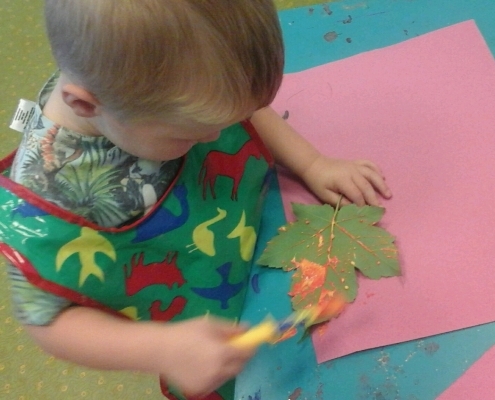 Flying Start @ Duchy Pre-School Do Leaf Painting! https://www.flyingstart.uk.com/wp-content/uploads/2018/10/20181012_102339.jpg 1152 2048 Amber https://www.flyingstart.uk.com/wp-content/uploads/2014/02/Flying-Start-logo1.png Amber2018-10-22 09:27:012018-10-22 15:41:31Flying Start @ Duchy Pre-School Do Leaf Painting! 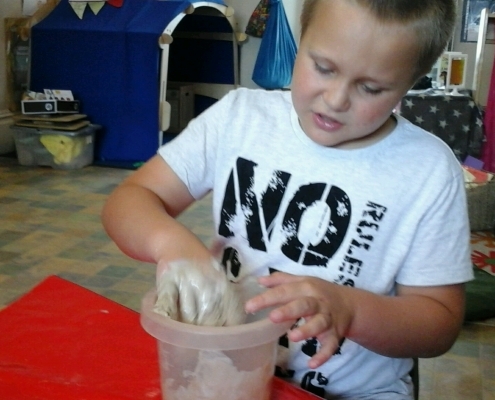 Flying Start @ Camborne Take Play-Dough Fun To Local Elderly Home! https://www.flyingstart.uk.com/wp-content/uploads/2018/10/IMG_20181003_105356-1.jpg 1152 2048 Amber https://www.flyingstart.uk.com/wp-content/uploads/2014/02/Flying-Start-logo1.png Amber2018-10-21 14:44:222018-10-22 15:00:42Flying Start @ Camborne Take Play-Dough Fun To Local Elderly Home! 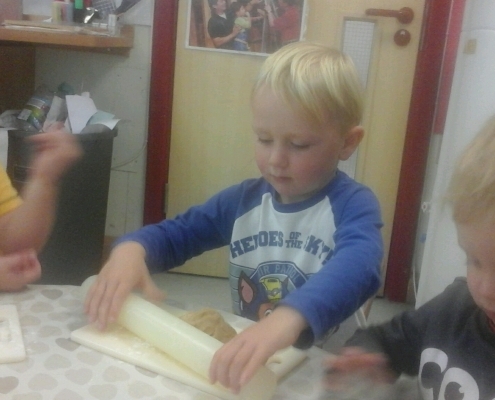 Flying Start @ Camborne Hold A Dough Disco At Nursery! https://www.flyingstart.uk.com/wp-content/uploads/2018/10/IMG_20181016_090216.jpg 1152 2048 Amber https://www.flyingstart.uk.com/wp-content/uploads/2014/02/Flying-Start-logo1.png Amber2018-10-20 14:43:352018-10-22 15:00:28Flying Start @ Camborne Hold A Dough Disco At Nursery! 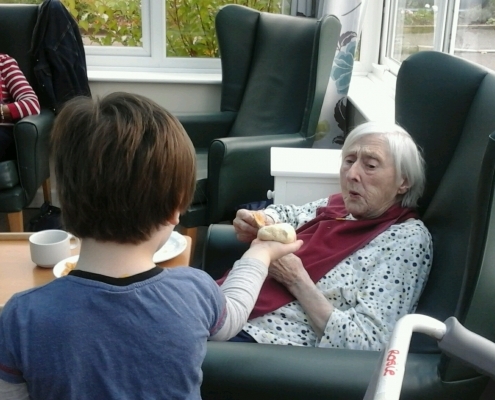 Flying Start @ Marjon Host Grandparents Stay & Play! https://www.flyingstart.uk.com/wp-content/uploads/2018/10/20181008_140527-e1540247466659.jpg 1152 2048 Amber https://www.flyingstart.uk.com/wp-content/uploads/2014/02/Flying-Start-logo1.png Amber2018-10-19 09:25:182019-01-29 22:38:58Flying Start @ Marjon Host Grandparents Stay & Play! 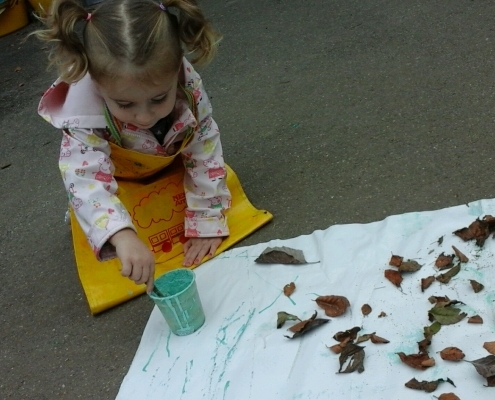 Flying Start @ Cornwall College Get Outside For Autumn Leaves Printing! https://www.flyingstart.uk.com/wp-content/uploads/2018/10/IMG_20181019_134345.jpg 1152 2048 Amber https://www.flyingstart.uk.com/wp-content/uploads/2014/02/Flying-Start-logo1.png Amber2018-10-19 09:22:292018-10-22 15:26:55Flying Start @ Cornwall College Get Outside For Autumn Leaves Printing! Flying Start @ Saltash Visit Local Secondary School & Livestock! https://www.flyingstart.uk.com/wp-content/uploads/2018/10/Animals-18.jpg 1152 2048 Amber https://www.flyingstart.uk.com/wp-content/uploads/2014/02/Flying-Start-logo1.png Amber2018-10-19 09:12:412018-10-23 20:24:32Flying Start @ Saltash Visit Local Secondary School & Livestock! 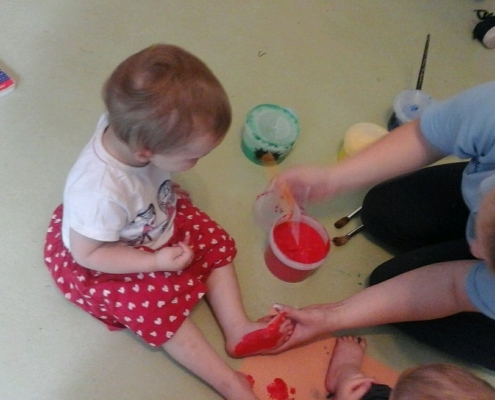 Flying Start @ Redruth Day Nursery Do Huge Feet Painting! https://www.flyingstart.uk.com/wp-content/uploads/2018/10/20181019_110309.jpg 1536 2048 Amber https://www.flyingstart.uk.com/wp-content/uploads/2014/02/Flying-Start-logo1.png Amber2018-10-18 08:54:532018-10-23 20:00:09Flying Start @ Redruth Day Nursery Do Huge Feet Painting! 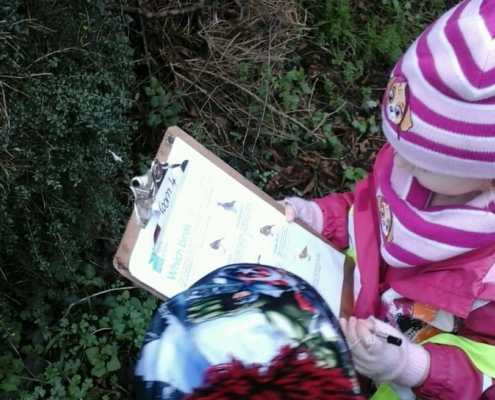 Flying Start @ Camborne Do Owl-Themed Forest School Session! 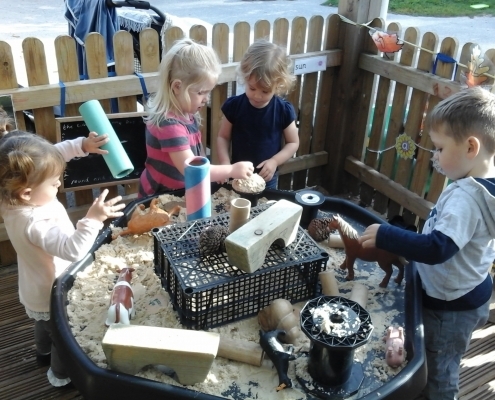 https://www.flyingstart.uk.com/wp-content/uploads/2018/10/Forest-School-3.jpg 1152 2048 Amber https://www.flyingstart.uk.com/wp-content/uploads/2014/02/Flying-Start-logo1.png Amber2018-10-18 08:29:492018-10-22 15:01:11Flying Start @ Camborne Do Owl-Themed Forest School Session! 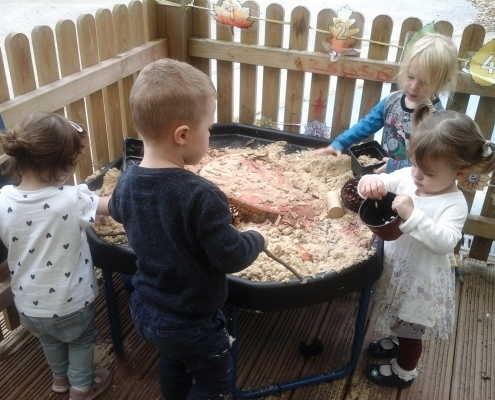 Flying Start @ Saltash Enjoy Autumn Sensory Play! https://www.flyingstart.uk.com/wp-content/uploads/2018/10/IMG_20181002_091258-1.jpg 1536 2048 Amber https://www.flyingstart.uk.com/wp-content/uploads/2014/02/Flying-Start-logo1.png Amber2018-10-15 10:34:062018-10-23 20:41:02Flying Start @ Saltash Enjoy Autumn Sensory Play! 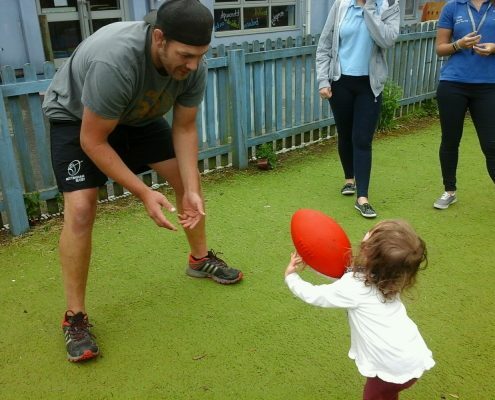 Flying Start @ Redruth Pre-School Build Ball Runs! https://www.flyingstart.uk.com/wp-content/uploads/2018/10/20181018_152545.jpg 1152 2048 Amber https://www.flyingstart.uk.com/wp-content/uploads/2014/02/Flying-Start-logo1.png Amber2018-10-15 09:09:412018-10-23 19:19:22Flying Start @ Redruth Pre-School Build Ball Runs! 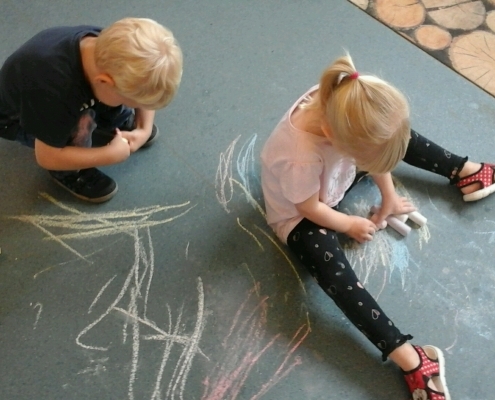 Flying Start @ Camborne Celebrate National Poetry Week! https://www.flyingstart.uk.com/wp-content/uploads/2018/10/IMG_20181004_110701.jpg 1152 2048 Amber https://www.flyingstart.uk.com/wp-content/uploads/2014/02/Flying-Start-logo1.png Amber2018-10-15 09:03:062018-10-22 15:15:56Flying Start @ Camborne Celebrate National Poetry Week! 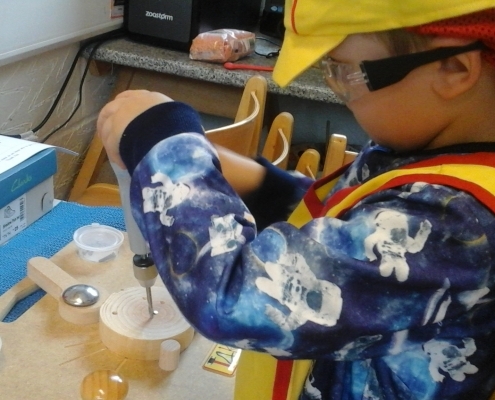 Flying Start @ Duchy Pre-School Do Woodwork! https://www.flyingstart.uk.com/wp-content/uploads/2018/10/20181002_101639.jpg 1152 2048 Amber https://www.flyingstart.uk.com/wp-content/uploads/2014/02/Flying-Start-logo1.png Amber2018-10-15 08:00:122018-11-01 15:46:51Flying Start @ Duchy Pre-School Do Woodwork! 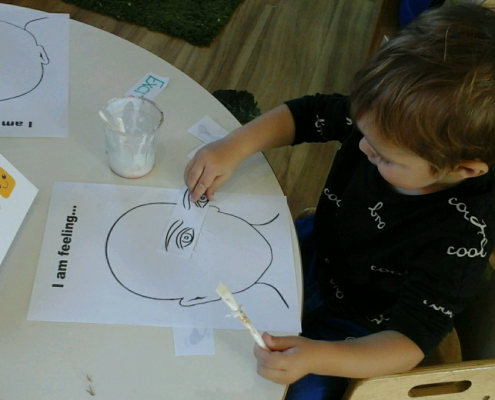 Flying Start @ Marjon Explore Emotions for World Mental Health Day! https://www.flyingstart.uk.com/wp-content/uploads/2018/10/making-faces-2.png 680 1199 Amber https://www.flyingstart.uk.com/wp-content/uploads/2014/02/Flying-Start-logo1.png Amber2018-10-13 17:55:072018-10-13 17:55:07Flying Start @ Marjon Explore Emotions for World Mental Health Day! Flying Start @ Helston Explore World Mental Health Day! https://www.flyingstart.uk.com/wp-content/uploads/2018/10/PS-How-am-i-feeling-today.jpg 1152 2048 Amber https://www.flyingstart.uk.com/wp-content/uploads/2014/02/Flying-Start-logo1.png Amber2018-10-13 17:29:502018-10-13 17:29:50Flying Start @ Helston Explore World Mental Health Day! 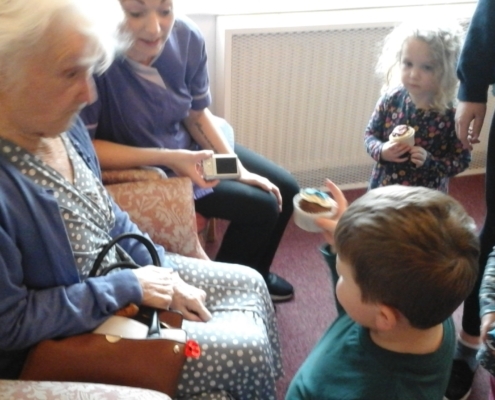 Flying Start @ Saltash Celebrate World Mental Health Day With Local Care Homes! 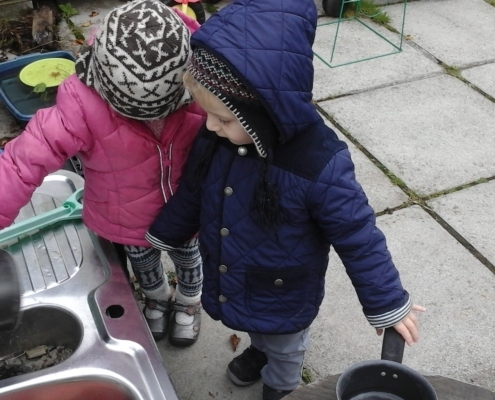 https://www.flyingstart.uk.com/wp-content/uploads/2018/10/Tamar-house-2-1-1.jpg 1152 2048 Amber https://www.flyingstart.uk.com/wp-content/uploads/2014/02/Flying-Start-logo1.png Amber2018-10-11 19:13:102018-10-11 17:13:20Flying Start @ Saltash Celebrate World Mental Health Day With Local Care Homes! 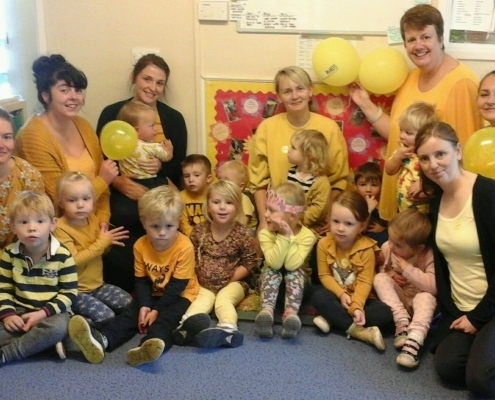 Flying Start @ Saltash Wear Yellow For Mental Health Awareness! https://www.flyingstart.uk.com/wp-content/uploads/2018/10/World-mental-health-day-2.jpg 1152 2048 Amber https://www.flyingstart.uk.com/wp-content/uploads/2014/02/Flying-Start-logo1.png Amber2018-10-11 17:17:042018-10-11 17:17:23Flying Start @ Saltash Wear Yellow For Mental Health Awareness! Flying Start @ Redruth Celebrate World Mental Health Day! https://www.flyingstart.uk.com/wp-content/uploads/2018/10/20181010_105723-1.jpg 1152 2048 Amber https://www.flyingstart.uk.com/wp-content/uploads/2014/02/Flying-Start-logo1.png Amber2018-10-11 16:58:582018-10-11 16:58:58Flying Start @ Redruth Celebrate World Mental Health Day! Flying Start @ Duchy Mark World Mental Health Day In The Forest! https://www.flyingstart.uk.com/wp-content/uploads/2018/10/20181010_095058-1.jpg 1152 2048 Amber https://www.flyingstart.uk.com/wp-content/uploads/2014/02/Flying-Start-logo1.png Amber2018-10-11 16:40:482018-10-11 16:40:48Flying Start @ Duchy Mark World Mental Health Day In The Forest! 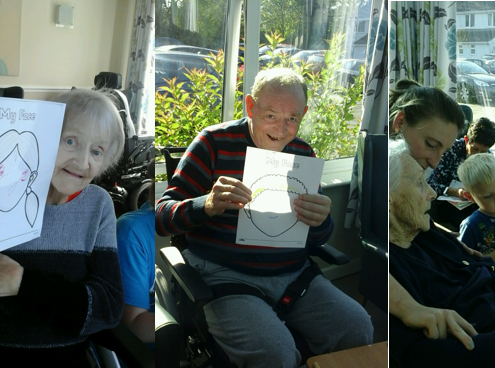 Flying Start @ Camborne Celebrate World Mental Health Day With Local Care Home! https://www.flyingstart.uk.com/wp-content/uploads/2018/10/WMHD-camborne.png 368 654 Amber https://www.flyingstart.uk.com/wp-content/uploads/2014/02/Flying-Start-logo1.png Amber2018-10-11 16:29:262018-10-11 16:29:26Flying Start @ Camborne Celebrate World Mental Health Day With Local Care Home! Flying Start @ Cornwall College Mark World Mental Health Day With Live Music! https://www.flyingstart.uk.com/wp-content/uploads/2018/10/IMG_20181010_110116.jpg 1152 2048 Amber https://www.flyingstart.uk.com/wp-content/uploads/2014/02/Flying-Start-logo1.png Amber2018-10-11 10:18:012018-10-22 15:21:46Flying Start @ Cornwall College Mark World Mental Health Day With Live Music! 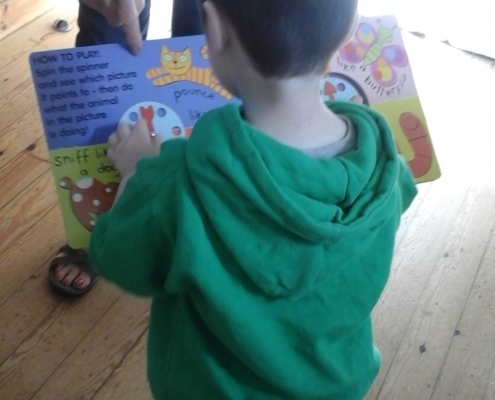 Flying Start @ Saltash Visit Local Library & Residential Home! 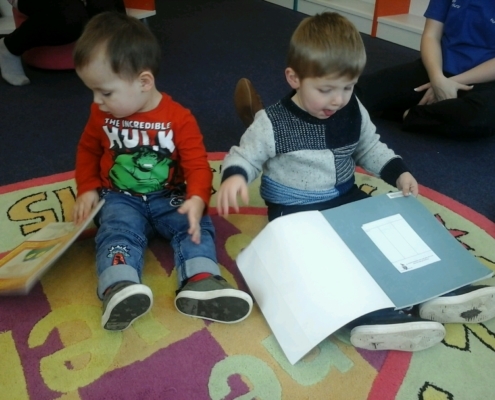 https://www.flyingstart.uk.com/wp-content/uploads/2018/10/Story-time-at-the-library-2.jpg 1152 2048 Amber https://www.flyingstart.uk.com/wp-content/uploads/2014/02/Flying-Start-logo1.png Amber2018-10-08 09:52:142018-10-06 10:57:54Flying Start @ Saltash Visit Local Library & Residential Home! 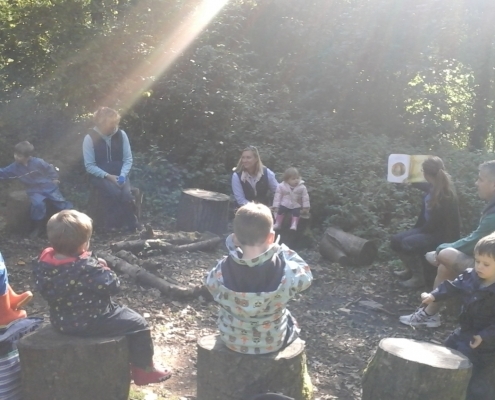 Flying Start @ Duchy Parents Join In With Forest School! https://www.flyingstart.uk.com/wp-content/uploads/2018/10/20181001_100355.jpg 1152 2048 Amber https://www.flyingstart.uk.com/wp-content/uploads/2014/02/Flying-Start-logo1.png Amber2018-10-07 09:34:172018-10-03 14:41:10Flying Start @ Duchy Parents Join In With Forest School! 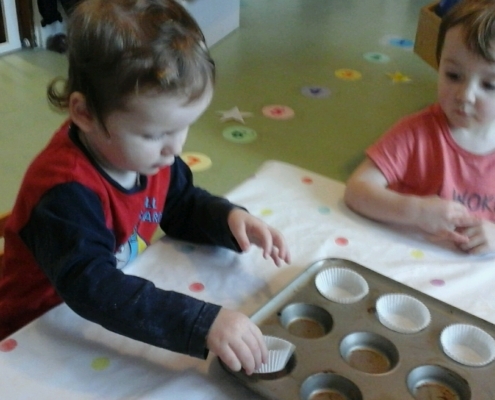 Flying Start @ Camborne Toddlers Bake Low Sugar Muffins! https://www.flyingstart.uk.com/wp-content/uploads/2018/10/IMG_20180926_133625.jpg 2048 1152 Amber https://www.flyingstart.uk.com/wp-content/uploads/2014/02/Flying-Start-logo1.png Amber2018-10-07 09:25:502018-10-03 14:29:53Flying Start @ Camborne Toddlers Bake Low Sugar Muffins! 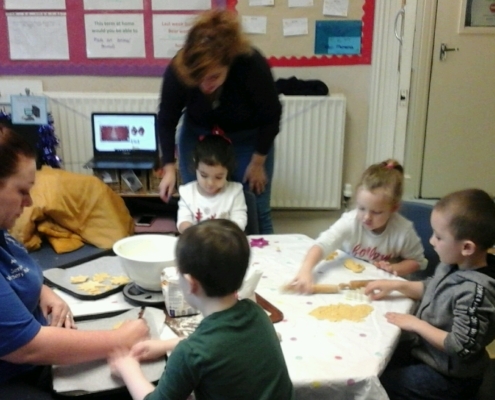 Flying Start @ Redruth Explore Gingerbread Man Story! https://www.flyingstart.uk.com/wp-content/uploads/2018/10/IMG_20180927_141315.jpg 1152 2048 Amber https://www.flyingstart.uk.com/wp-content/uploads/2014/02/Flying-Start-logo1.png Amber2018-10-07 08:43:222018-10-06 10:50:15Flying Start @ Redruth Explore Gingerbread Man Story! 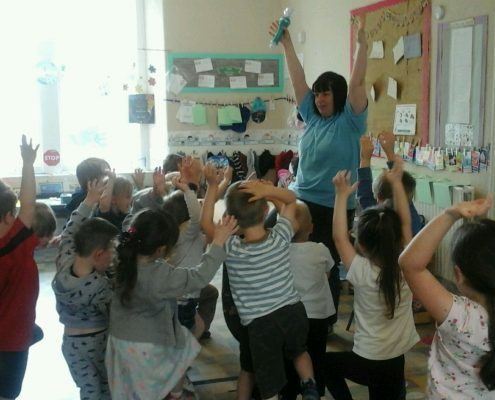 Flying Start @ Marjon Pre-School Explore Yoga & Paint! https://www.flyingstart.uk.com/wp-content/uploads/2018/10/IMG_20180927_140627.jpg 1536 2048 Amber https://www.flyingstart.uk.com/wp-content/uploads/2014/02/Flying-Start-logo1.png Amber2018-10-06 15:12:032019-01-29 22:38:30Flying Start @ Marjon Pre-School Explore Yoga & Paint! 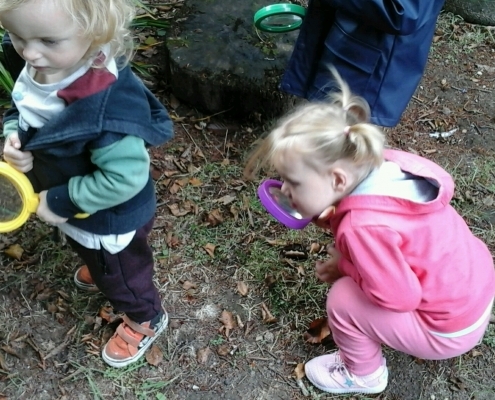 Flying Start @ Helston Go On A Pebble Adventure Walk! https://www.flyingstart.uk.com/wp-content/uploads/2018/10/IMG_20181002_102531.jpg 1152 2048 Amber https://www.flyingstart.uk.com/wp-content/uploads/2014/02/Flying-Start-logo1.png Amber2018-10-06 10:27:562018-10-06 10:27:56Flying Start @ Helston Go On A Pebble Adventure Walk! Flying Start @ Duchy Fundraise for the Invictus Trust! https://www.flyingstart.uk.com/wp-content/uploads/2018/10/20181002_105307.jpg 1152 2048 Amber https://www.flyingstart.uk.com/wp-content/uploads/2014/02/Flying-Start-logo1.png Amber2018-10-05 09:56:522018-10-06 10:09:02Flying Start @ Duchy Fundraise for the Invictus Trust! Flying Start @ Helston Bake Delicious Low-Sugar Treats! https://www.flyingstart.uk.com/wp-content/uploads/2018/10/IMG_20180925_110716.jpg 1152 2048 Amber https://www.flyingstart.uk.com/wp-content/uploads/2014/02/Flying-Start-logo1.png Amber2018-10-03 14:56:352018-10-03 15:01:05Flying Start @ Helston Bake Delicious Low-Sugar Treats! 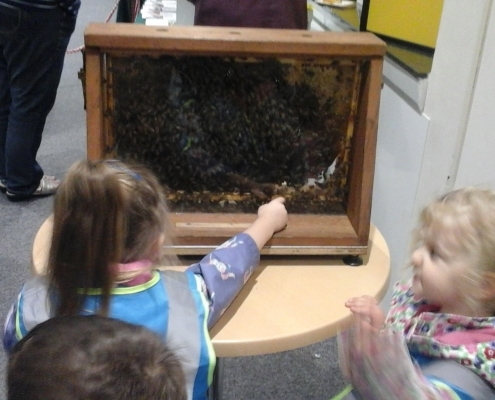 Flying Start @ Duchy Visit The Honey Fair! https://www.flyingstart.uk.com/wp-content/uploads/2018/10/20181003_103841.jpg 1152 2048 Amber https://www.flyingstart.uk.com/wp-content/uploads/2014/02/Flying-Start-logo1.png Amber2018-10-03 14:47:442018-10-03 14:47:44Flying Start @ Duchy Visit The Honey Fair! 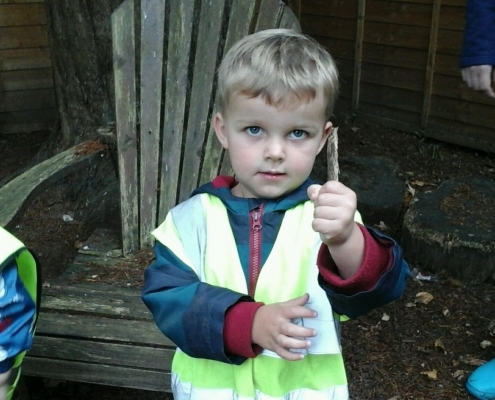 Flying Start @ Camborne After-Schoolers Make Forest Wands! https://www.flyingstart.uk.com/wp-content/uploads/2018/10/Forest-6.jpg 1152 2048 Amber https://www.flyingstart.uk.com/wp-content/uploads/2014/02/Flying-Start-logo1.png Amber2018-10-03 10:09:172018-10-06 09:56:12Flying Start @ Camborne After-Schoolers Make Forest Wands! Flying Start @ Saltash Enjoy Visit From Waterside Warden! https://www.flyingstart.uk.com/wp-content/uploads/2018/10/IMG_20180928_102639.jpg 1536 2048 Amber https://www.flyingstart.uk.com/wp-content/uploads/2014/02/Flying-Start-logo1.png Amber2018-10-03 09:25:492018-10-03 15:30:03Flying Start @ Saltash Enjoy Visit From Waterside Warden! 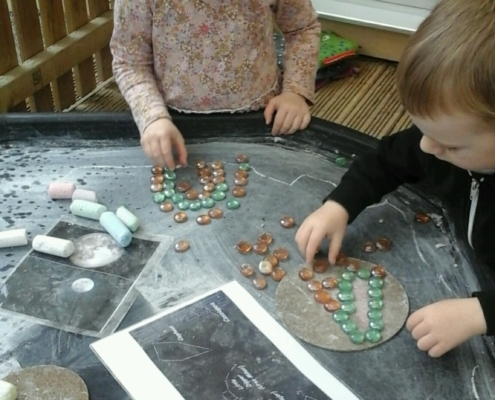 Flying Start @ Redruth Babies Enjoy Circle Heuristic Play! https://www.flyingstart.uk.com/wp-content/uploads/2018/10/20180927_140817-e1538580132720.jpg 2048 1152 Amber https://www.flyingstart.uk.com/wp-content/uploads/2014/02/Flying-Start-logo1.png Amber2018-10-03 09:19:312018-10-03 15:24:53Flying Start @ Redruth Babies Enjoy Circle Heuristic Play! 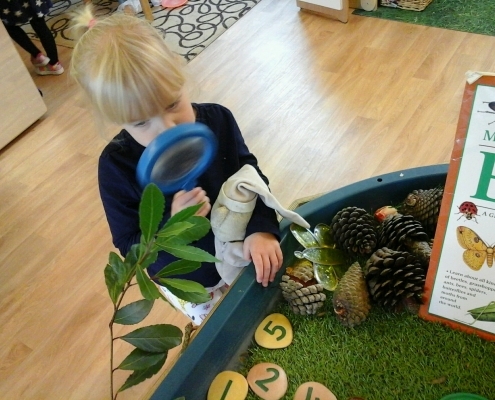 Flying Start @ Camborne Toddlers Explore Jungle Sensory Play! https://www.flyingstart.uk.com/wp-content/uploads/2018/09/IMG_20180919_094735.jpg 2048 1152 Amber https://www.flyingstart.uk.com/wp-content/uploads/2014/02/Flying-Start-logo1.png Amber2018-09-30 09:11:222018-09-26 21:15:51Flying Start @ Camborne Toddlers Explore Jungle Sensory Play! 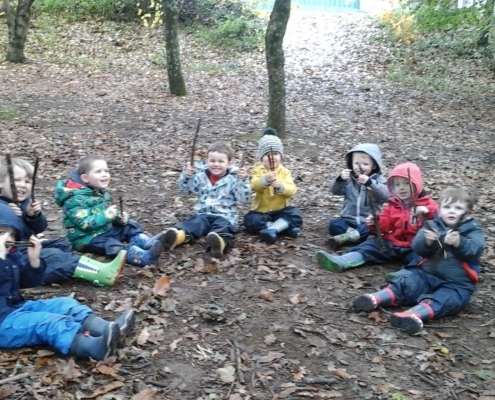 Flying Start @ Redruth Go On A Forest School Adventure! https://www.flyingstart.uk.com/wp-content/uploads/2018/09/20180917_100045.jpg 1440 2560 Amber https://www.flyingstart.uk.com/wp-content/uploads/2014/02/Flying-Start-logo1.png Amber2018-09-29 10:18:122018-09-26 22:27:10Flying Start @ Redruth Go On A Forest School Adventure! 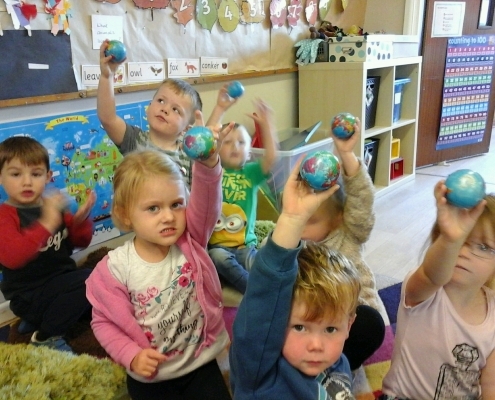 Flying Start @ Helston Toddlers Make Rain Shakers! https://www.flyingstart.uk.com/wp-content/uploads/2018/09/5.jpg 462 822 Amber https://www.flyingstart.uk.com/wp-content/uploads/2014/02/Flying-Start-logo1.png Amber2018-09-29 09:54:302018-09-26 22:03:19Flying Start @ Helston Toddlers Make Rain Shakers! 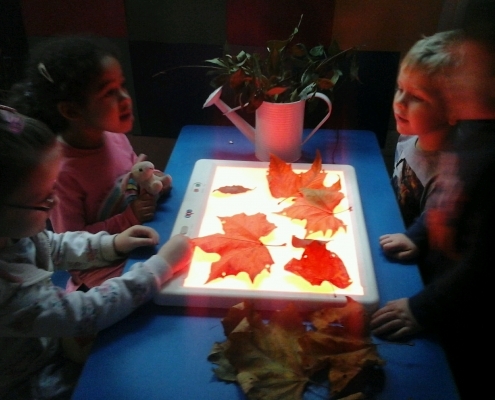 Flying Start @ Marjon Explore New Season Of Autumn! https://www.flyingstart.uk.com/wp-content/uploads/2018/09/IMG_20180918_105644.jpg 1152 2048 Amber https://www.flyingstart.uk.com/wp-content/uploads/2014/02/Flying-Start-logo1.png Amber2018-09-28 08:07:222018-09-26 22:15:27Flying Start @ Marjon Explore New Season Of Autumn! 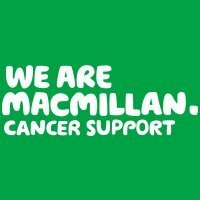 Flying Start @ Saltash Host Macmillan Coffee Afternoon! 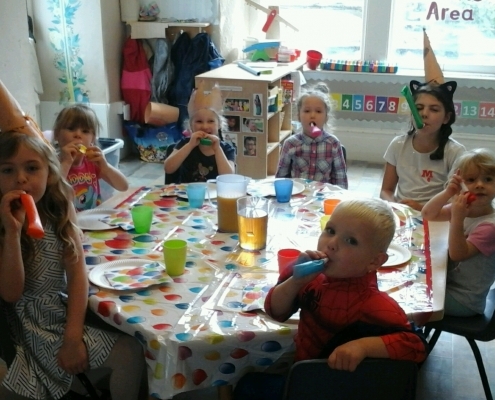 https://www.flyingstart.uk.com/wp-content/uploads/2018/09/16558-9-284909donate.jpg 200 200 Amber https://www.flyingstart.uk.com/wp-content/uploads/2014/02/Flying-Start-logo1.png Amber2018-09-27 10:50:552018-09-25 19:56:59Flying Start @ Saltash Host Macmillan Coffee Afternoon! 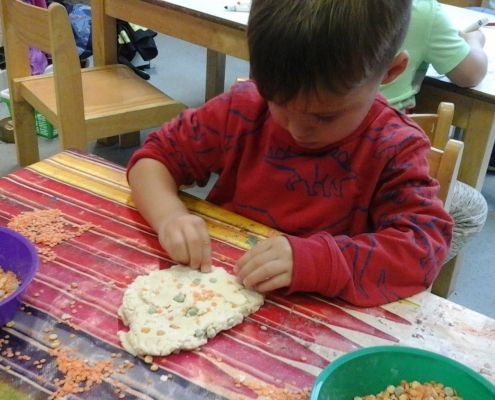 Flying Start @ Camborne Pre-Schoolers Make Homemade Pizzas! https://www.flyingstart.uk.com/wp-content/uploads/2018/09/IMG_20180921_095741.jpg 1152 2048 Amber https://www.flyingstart.uk.com/wp-content/uploads/2014/02/Flying-Start-logo1.png Amber2018-09-26 09:06:272018-09-26 21:11:12Flying Start @ Camborne Pre-Schoolers Make Homemade Pizzas! 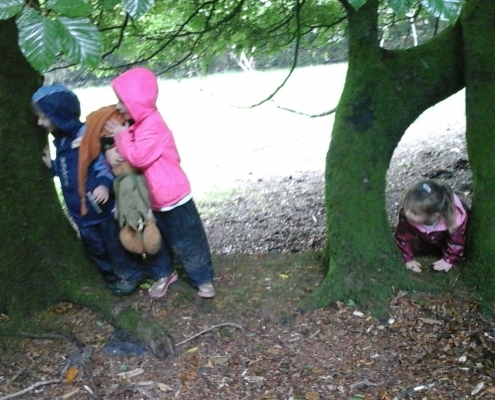 Flying Start @ Duchy Host Forest School Stay & Play for Parents! https://www.flyingstart.uk.com/wp-content/uploads/2018/09/20180924_100233.jpg 1152 2048 Amber https://www.flyingstart.uk.com/wp-content/uploads/2014/02/Flying-Start-logo1.png Amber2018-09-26 08:28:522018-09-26 21:47:26Flying Start @ Duchy Host Forest School Stay & Play for Parents! 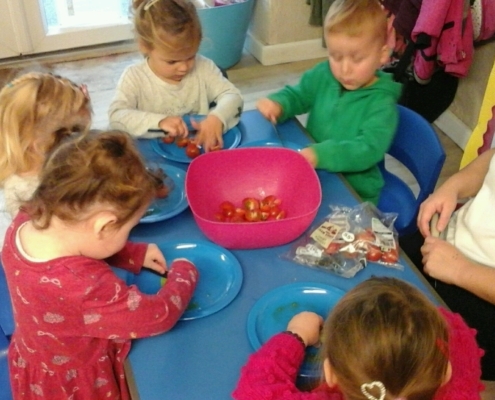 Flying Start @ Redruth Make Homegrown Tomato Soup! https://www.flyingstart.uk.com/wp-content/uploads/2018/09/20180920_140216.jpg 1152 2048 Amber https://www.flyingstart.uk.com/wp-content/uploads/2014/02/Flying-Start-logo1.png Amber2018-09-25 08:02:162018-09-25 20:09:15Flying Start @ Redruth Make Homegrown Tomato Soup! 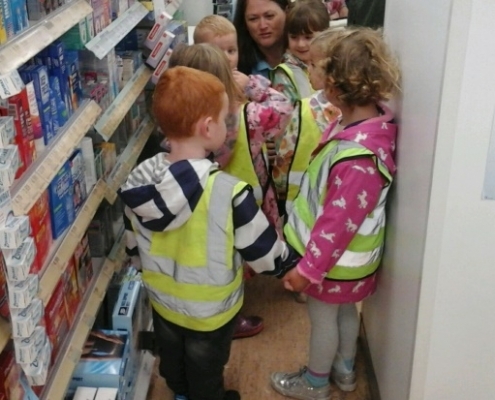 Flying Start @ Helston Visit The Local Pharmacy! https://www.flyingstart.uk.com/wp-content/uploads/2018/09/3.jpg 413 734 Amber https://www.flyingstart.uk.com/wp-content/uploads/2014/02/Flying-Start-logo1.png Amber2018-09-24 10:49:032018-09-26 21:54:04Flying Start @ Helston Visit The Local Pharmacy! 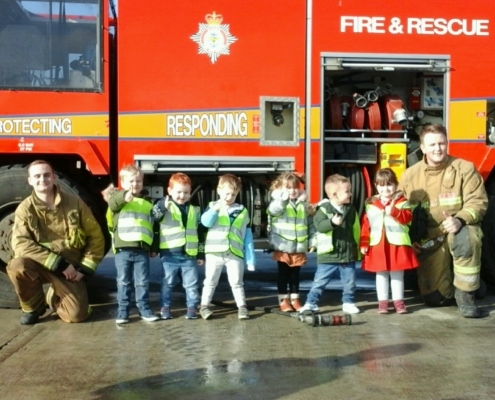 Flying Start @ Saltash Visit The Fire Station! https://www.flyingstart.uk.com/wp-content/uploads/2018/09/IMG_20180921_103515.jpg 1152 2048 Amber https://www.flyingstart.uk.com/wp-content/uploads/2014/02/Flying-Start-logo1.png Amber2018-09-22 09:37:162018-09-25 19:49:33Flying Start @ Saltash Visit The Fire Station! 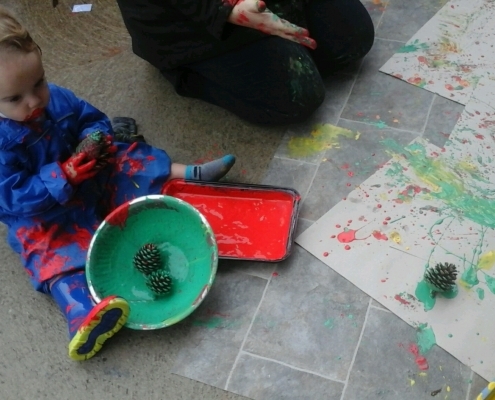 Flying Start @ Marjon Babies Do Pinecone Paintings! https://www.flyingstart.uk.com/wp-content/uploads/2018/09/IMG_20180917_110009.jpg 1152 2048 Amber https://www.flyingstart.uk.com/wp-content/uploads/2014/02/Flying-Start-logo1.png Amber2018-09-22 09:11:162018-09-25 20:20:20Flying Start @ Marjon Babies Do Pinecone Paintings! 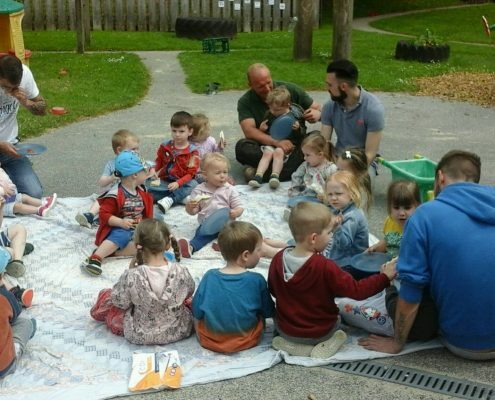 Flying Start @ Camborne Toddlers Visit Local Park! https://www.flyingstart.uk.com/wp-content/uploads/2018/09/IMG_20180906_103756.jpg 2048 1152 Amber https://www.flyingstart.uk.com/wp-content/uploads/2014/02/Flying-Start-logo1.png Amber2018-09-22 08:17:382018-09-26 21:06:04Flying Start @ Camborne Toddlers Visit Local Park! 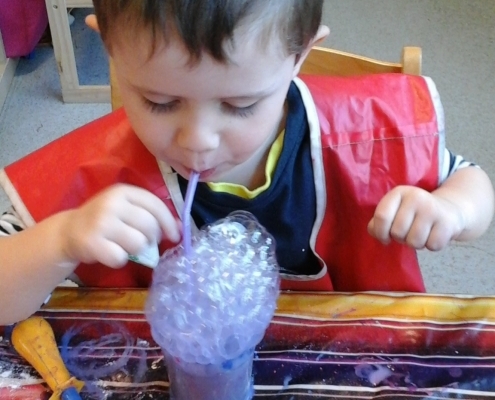 Flying Start @ Duchy Do Bubble Painting! https://www.flyingstart.uk.com/wp-content/uploads/2018/09/20180921_094655-1-e1537997188738.jpg 2048 1152 Amber https://www.flyingstart.uk.com/wp-content/uploads/2014/02/Flying-Start-logo1.png Amber2018-09-21 09:23:522018-09-26 21:28:06Flying Start @ Duchy Do Bubble Painting! 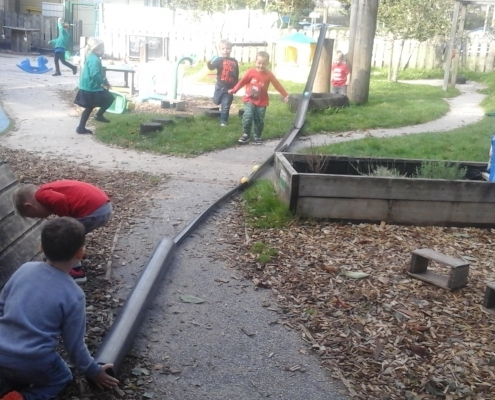 Flying Start @ Cornwall College Explore Outdoor Small World! https://www.flyingstart.uk.com/wp-content/uploads/2018/09/IMG_20180918_105150.jpg 1152 2048 Amber https://www.flyingstart.uk.com/wp-content/uploads/2014/02/Flying-Start-logo1.png Amber2018-09-20 09:18:122018-09-26 21:21:52Flying Start @ Cornwall College Explore Outdoor Small World! 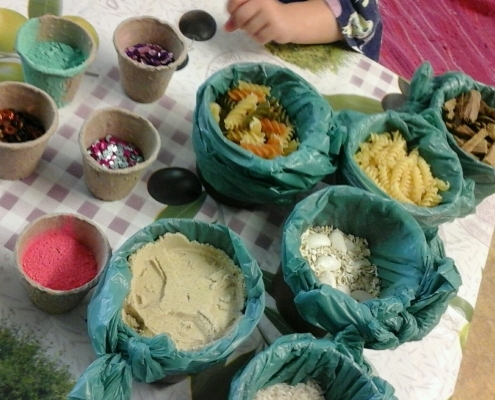 Flying Start @ Redruth Get Imaginative With Loose Parts Play! https://www.flyingstart.uk.com/wp-content/uploads/2018/09/20180910_090923-e1537197120201.jpg 1536 2048 Amber https://www.flyingstart.uk.com/wp-content/uploads/2014/02/Flying-Start-logo1.png Amber2018-09-20 09:08:472018-09-17 15:12:41Flying Start @ Redruth Get Imaginative With Loose Parts Play! 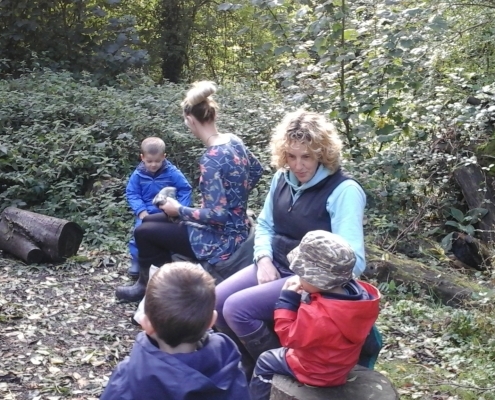 Flying Start @ Camborne Pre-School Enjoy Forest School! https://www.flyingstart.uk.com/wp-content/uploads/2018/09/IMG_20180911_104946.jpg 1152 2048 Amber https://www.flyingstart.uk.com/wp-content/uploads/2014/02/Flying-Start-logo1.png Amber2018-09-19 09:54:062018-09-17 14:03:18Flying Start @ Camborne Pre-School Enjoy Forest School! 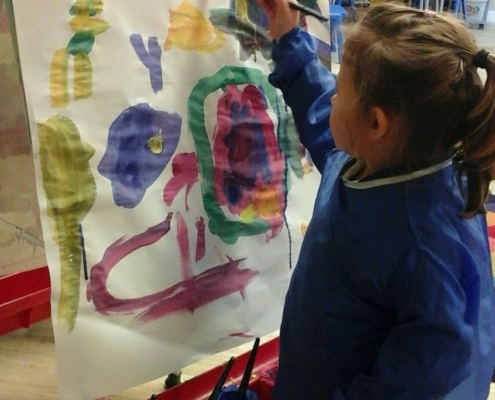 Flying Start @ Helston Pre-School Do Easel Painting! https://www.flyingstart.uk.com/wp-content/uploads/2018/09/IMG_20180911_143047.jpg 2048 1152 Amber https://www.flyingstart.uk.com/wp-content/uploads/2014/02/Flying-Start-logo1.png Amber2018-09-19 09:31:132018-09-17 14:34:18Flying Start @ Helston Pre-School Do Easel Painting! 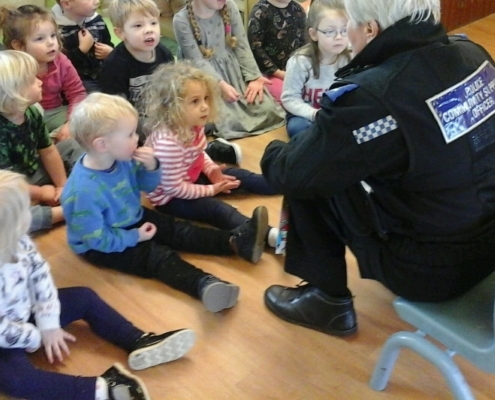 Flying Start @ Saltash Have A Special Police Visit! https://www.flyingstart.uk.com/wp-content/uploads/2018/09/IMG_20180912_104506.jpg 1536 2048 Amber https://www.flyingstart.uk.com/wp-content/uploads/2014/02/Flying-Start-logo1.png Amber2018-09-17 08:47:422018-09-17 14:53:54Flying Start @ Saltash Have A Special Police Visit! 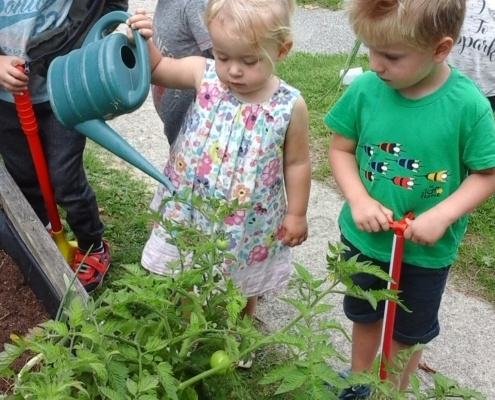 Flying Start @ Camborne Explore Story In The Garden! https://www.flyingstart.uk.com/wp-content/uploads/2018/09/IMG_20180914_134520-1.jpg 1152 2048 Amber https://www.flyingstart.uk.com/wp-content/uploads/2014/02/Flying-Start-logo1.png Amber2018-09-16 09:46:582018-09-17 13:54:00Flying Start @ Camborne Explore Story In The Garden! 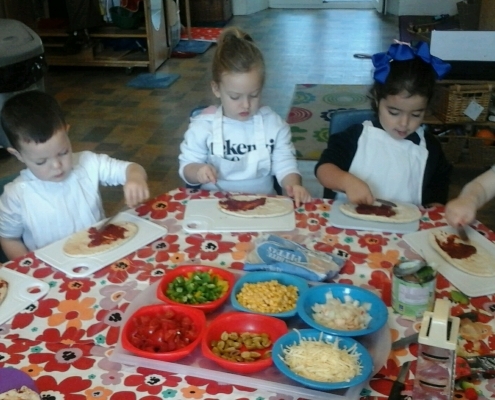 Flying Start @ Duchy Pre-School Do French Club! https://www.flyingstart.uk.com/wp-content/uploads/2018/09/20180910_143255-1.jpg 1152 2048 Amber https://www.flyingstart.uk.com/wp-content/uploads/2014/02/Flying-Start-logo1.png Amber2018-09-16 08:16:442018-09-17 14:20:13Flying Start @ Duchy Pre-School Do French Club! 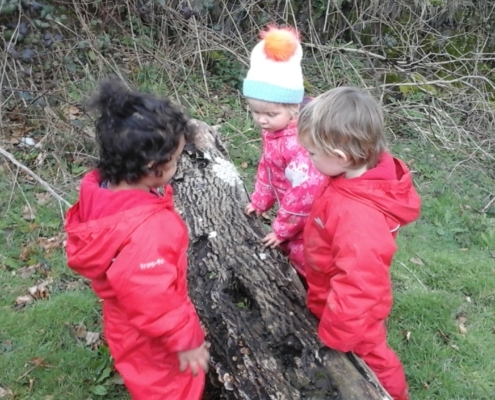 Flying Start @ Marjon Babies Explore Forest School! https://www.flyingstart.uk.com/wp-content/uploads/2018/09/20180910_112714-e1537195282423.jpg 2560 1440 Amber https://www.flyingstart.uk.com/wp-content/uploads/2014/02/Flying-Start-logo1.png Amber2018-09-15 10:37:392018-09-17 14:43:38Flying Start @ Marjon Babies Explore Forest School! 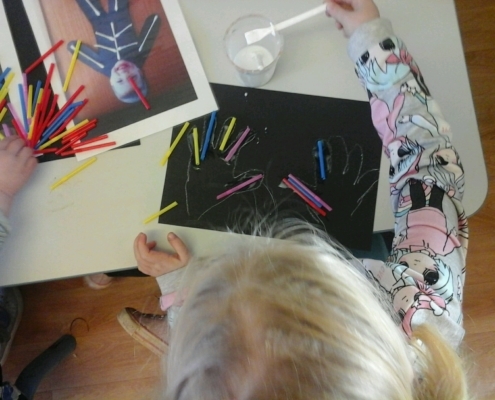 Flying Start @ Redruth Pre-School Make Self Portraits! https://www.flyingstart.uk.com/wp-content/uploads/2018/09/20180914_093914.jpg 1440 2560 Amber https://www.flyingstart.uk.com/wp-content/uploads/2014/02/Flying-Start-logo1.png Amber2018-09-15 10:13:392018-09-17 15:17:06Flying Start @ Redruth Pre-School Make Self Portraits! 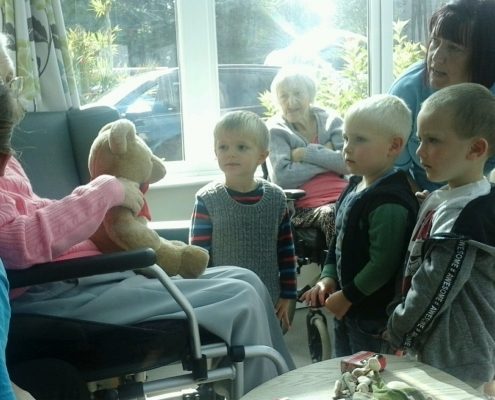 Flying Start @ Camborne Pre-School Visit Residential Home! https://www.flyingstart.uk.com/wp-content/uploads/2018/09/IMG_20180905_112635.jpg 1152 2048 Amber https://www.flyingstart.uk.com/wp-content/uploads/2014/02/Flying-Start-logo1.png Amber2018-09-13 08:13:252018-09-10 18:24:41Flying Start @ Camborne Pre-School Visit Residential Home! 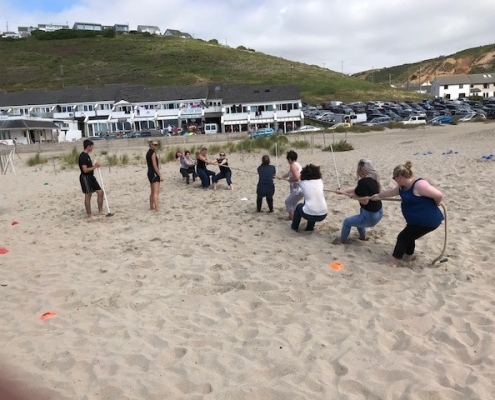 Flying Start @ Helston Staff Run Race For Charity! 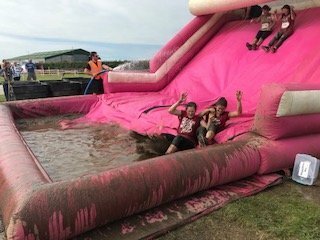 https://www.flyingstart.uk.com/wp-content/uploads/2018/09/muddy-race4.jpg 240 320 Amber https://www.flyingstart.uk.com/wp-content/uploads/2014/02/Flying-Start-logo1.png Amber2018-09-12 09:25:442018-09-17 14:30:03Flying Start @ Helston Staff Run Race For Charity! Flying Start @ Saltash Build Ball Shoot In The Garden! https://www.flyingstart.uk.com/wp-content/uploads/2018/09/IMG_20180906_111506_edit_20180907_172618.jpg 1083 1197 Amber https://www.flyingstart.uk.com/wp-content/uploads/2014/02/Flying-Start-logo1.png Amber2018-09-11 09:59:382018-09-12 20:03:38Flying Start @ Saltash Build Ball Shoot In The Garden! 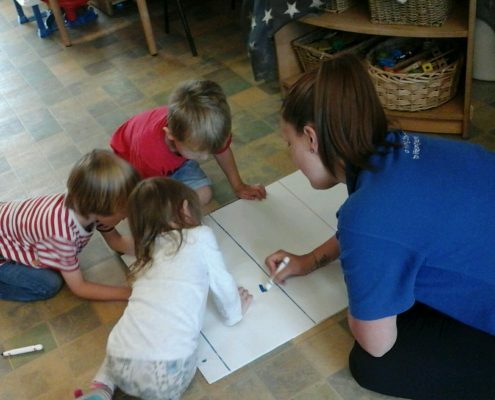 Flying Start @ Redruth Day Nursery Explore Their Story Theme! https://www.flyingstart.uk.com/wp-content/uploads/2018/09/IMG_20180905_124450-1.jpg 2048 1536 Amber https://www.flyingstart.uk.com/wp-content/uploads/2014/02/Flying-Start-logo1.png Amber2018-09-11 09:37:162018-09-12 19:58:41Flying Start @ Redruth Day Nursery Explore Their Story Theme! 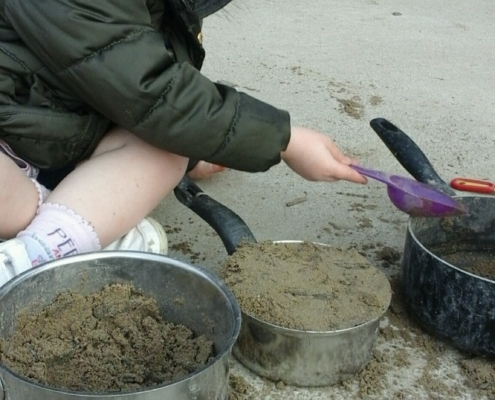 Flying Start @ Camborne Learn & Play At Beach School! https://www.flyingstart.uk.com/wp-content/uploads/2018/09/IMG_20180829_115001.jpg 1152 2048 Amber https://www.flyingstart.uk.com/wp-content/uploads/2014/02/Flying-Start-logo1.png Amber2018-09-10 09:38:492018-09-10 17:54:24Flying Start @ Camborne Learn & Play At Beach School! 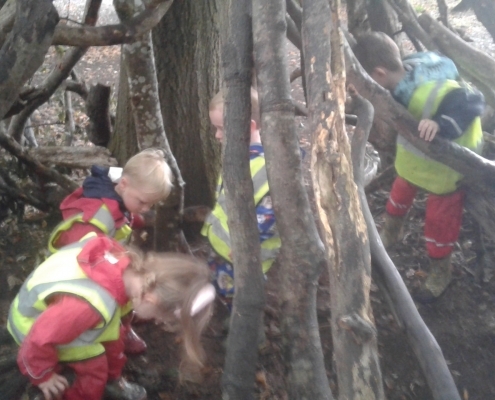 Flying Start @ Duchy Enjoy Daily Forest School Adventures! https://www.flyingstart.uk.com/wp-content/uploads/2018/09/20180903_105833.jpg 1152 2048 Amber https://www.flyingstart.uk.com/wp-content/uploads/2014/02/Flying-Start-logo1.png Amber2018-09-10 09:17:232018-09-12 19:31:33Flying Start @ Duchy Enjoy Daily Forest School Adventures! 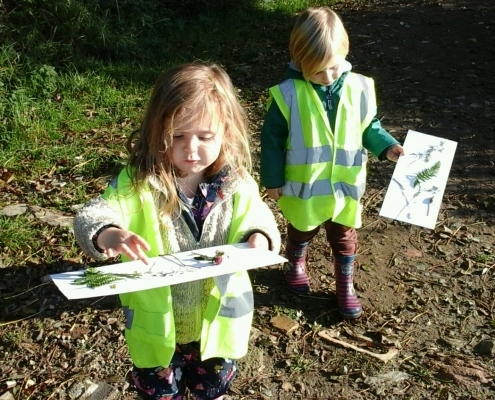 Flying Start @ Cornwall College Do Leaf Paintings! https://www.flyingstart.uk.com/wp-content/uploads/2018/09/IMG_20180904_123338-1.jpg 1152 2048 Amber https://www.flyingstart.uk.com/wp-content/uploads/2014/02/Flying-Start-logo1.png Amber2018-09-10 09:07:512018-09-17 14:12:18Flying Start @ Cornwall College Do Leaf Paintings! 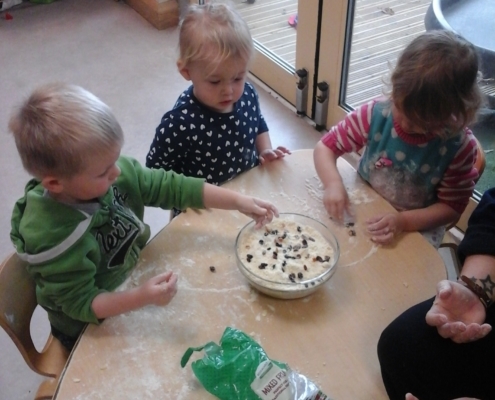 Flying Start @ Camborne Pre-Schoolers Bake Scones! https://www.flyingstart.uk.com/wp-content/uploads/2018/09/IMG_20180830_145718.jpg 2048 1152 Amber https://www.flyingstart.uk.com/wp-content/uploads/2014/02/Flying-Start-logo1.png Amber2018-09-06 09:46:442018-09-03 15:55:54Flying Start @ Camborne Pre-Schoolers Bake Scones! 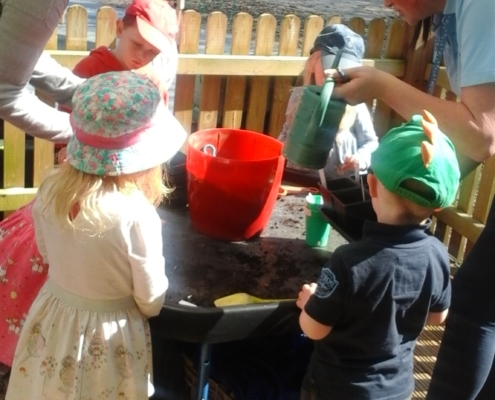 Flying Start @ Marjon Make Potions In The Garden! https://www.flyingstart.uk.com/wp-content/uploads/2018/08/potions.png 450 687 Amber https://www.flyingstart.uk.com/wp-content/uploads/2014/02/Flying-Start-logo1.png Amber2018-09-05 10:31:492018-08-29 14:43:02Flying Start @ Marjon Make Potions In The Garden! 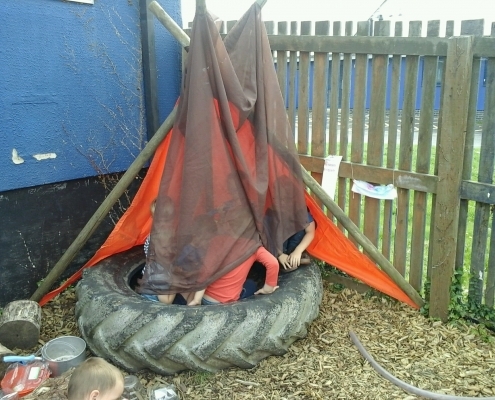 Flying Start @ Saltash Make A Den In The Garden! https://www.flyingstart.uk.com/wp-content/uploads/2018/09/IMG_20180828_142620.jpg 1536 2048 Amber https://www.flyingstart.uk.com/wp-content/uploads/2014/02/Flying-Start-logo1.png Amber2018-09-05 09:40:562018-09-03 19:49:41Flying Start @ Saltash Make A Den In The Garden! 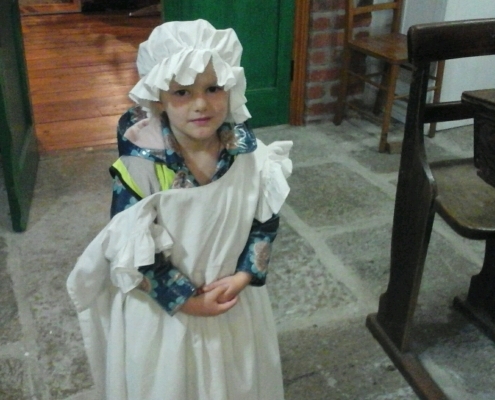 Flying Start @ Helston Visit Local Museum! https://www.flyingstart.uk.com/wp-content/uploads/2018/09/IMG_20180820_103449.jpg 1152 2048 Amber https://www.flyingstart.uk.com/wp-content/uploads/2014/02/Flying-Start-logo1.png Amber2018-09-04 09:02:552018-09-03 16:22:08Flying Start @ Helston Visit Local Museum! 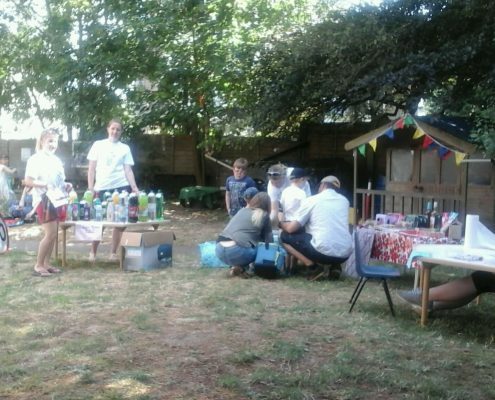 Flying Start @ Camborne Host End Of Summer Party! https://www.flyingstart.uk.com/wp-content/uploads/2018/09/IMG_20180831_114553.jpg 1152 2048 Amber https://www.flyingstart.uk.com/wp-content/uploads/2014/02/Flying-Start-logo1.png Amber2018-09-03 09:57:282018-09-10 18:12:04Flying Start @ Camborne Host End Of Summer Party! 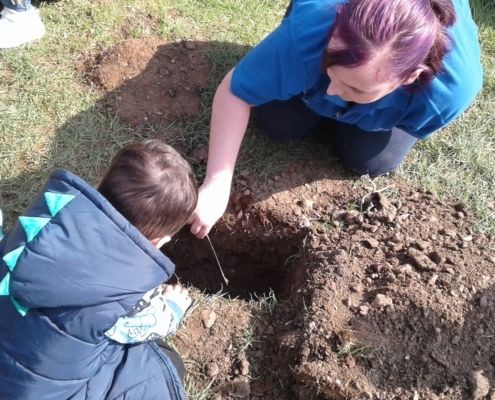 Flying Start @ Redruth Enjoy Sand Play With Mini Beasts! https://www.flyingstart.uk.com/wp-content/uploads/2018/09/20180828_113617-1.jpg 1536 2048 Amber https://www.flyingstart.uk.com/wp-content/uploads/2014/02/Flying-Start-logo1.png Amber2018-09-03 09:40:292018-09-03 16:44:36Flying Start @ Redruth Enjoy Sand Play With Mini Beasts! 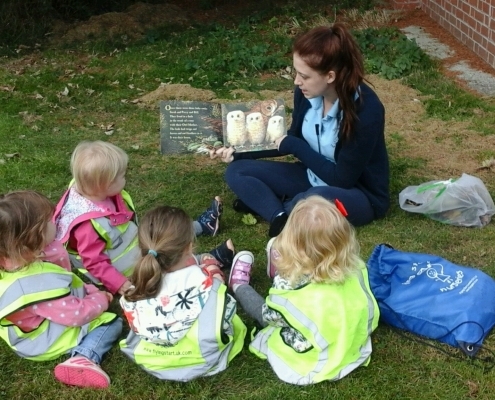 Flying Start @ Cornwall College Toddlers Explore Owl Babies Story! https://www.flyingstart.uk.com/wp-content/uploads/2018/09/IMG_20180907_105721-1.jpg 1152 2048 Amber https://www.flyingstart.uk.com/wp-content/uploads/2014/02/Flying-Start-logo1.png Amber2018-09-01 09:47:092018-09-10 19:54:19Flying Start @ Cornwall College Toddlers Explore Owl Babies Story! 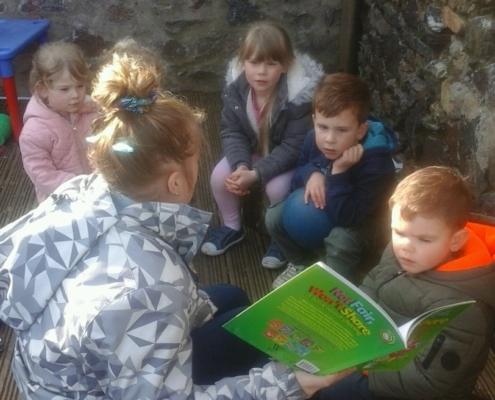 Flying Start @ Duchy Have Fun On Local Library Visit! https://www.flyingstart.uk.com/wp-content/uploads/2018/09/20180907_101139-e1536779688582.jpg 2048 1152 Amber https://www.flyingstart.uk.com/wp-content/uploads/2014/02/Flying-Start-logo1.png Amber2018-09-01 09:08:592018-09-12 19:16:09Flying Start @ Duchy Have Fun On Local Library Visit! 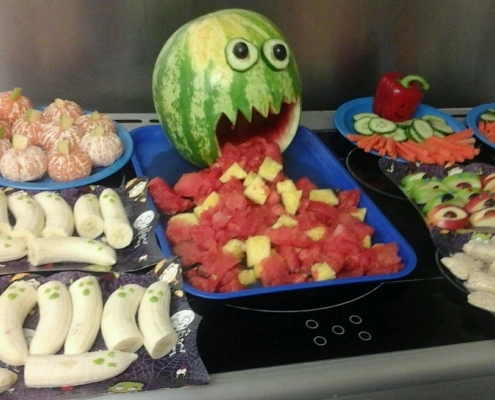 Flying Start @ Marjon Make Fun Healthy Snacks! 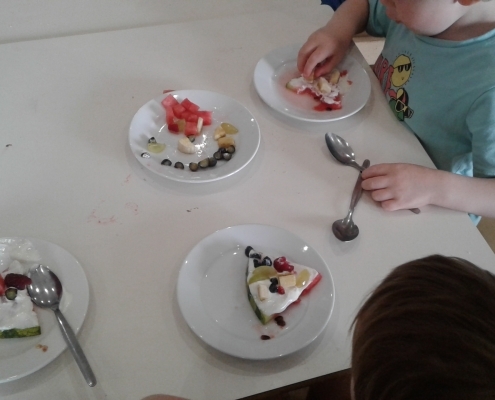 https://www.flyingstart.uk.com/wp-content/uploads/2018/08/Water-melon-pizzas-2.jpg 1440 2560 Amber https://www.flyingstart.uk.com/wp-content/uploads/2014/02/Flying-Start-logo1.png Amber2018-08-30 08:55:582018-08-28 09:08:31Flying Start @ Marjon Make Fun Healthy Snacks! 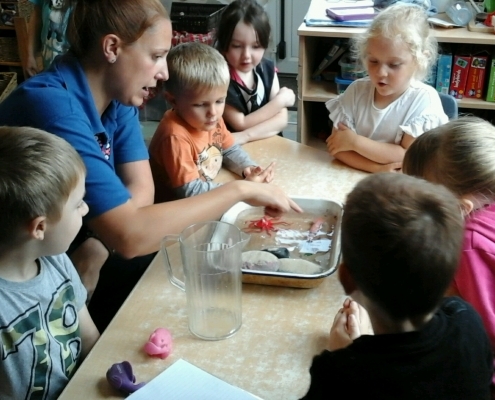 Flying Start @ Camborne Pre-School Learn About Tides! https://www.flyingstart.uk.com/wp-content/uploads/2018/08/IMG_20180821_095642.jpg 1152 2048 Amber https://www.flyingstart.uk.com/wp-content/uploads/2014/02/Flying-Start-logo1.png Amber2018-08-30 08:31:582018-08-28 08:36:37Flying Start @ Camborne Pre-School Learn About Tides! 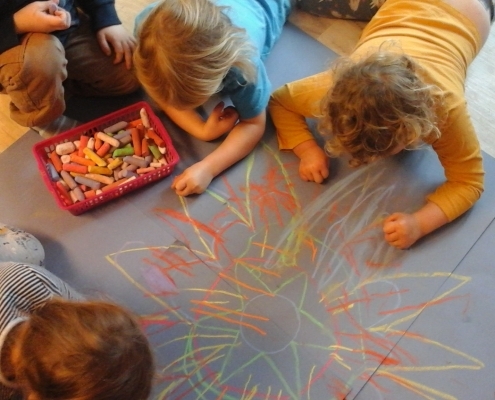 Flying Start @ Saltash Do Large Scale Mark-Making! https://www.flyingstart.uk.com/wp-content/uploads/2018/08/IMG_20180822_101511.jpg 1152 2048 Amber https://www.flyingstart.uk.com/wp-content/uploads/2014/02/Flying-Start-logo1.png Amber2018-08-30 07:44:202018-08-29 14:48:19Flying Start @ Saltash Do Large Scale Mark-Making! 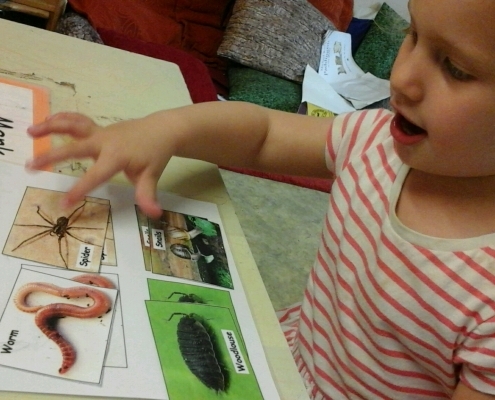 Flying Start @ Helston Toddlers Learn About Insects! 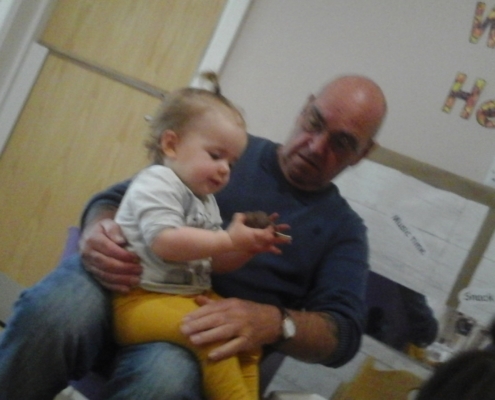 https://www.flyingstart.uk.com/wp-content/uploads/2018/08/IMG_20180823_141120-1.jpg 1152 2048 Amber https://www.flyingstart.uk.com/wp-content/uploads/2014/02/Flying-Start-logo1.png Amber2018-08-28 10:58:532018-08-28 17:04:49Flying Start @ Helston Toddlers Learn About Insects! https://www.flyingstart.uk.com/wp-content/uploads/2018/08/IMG_20180813_133450.jpg 1152 2048 Amber https://www.flyingstart.uk.com/wp-content/uploads/2014/02/Flying-Start-logo1.png Amber2018-08-27 09:24:592018-08-21 15:29:22Flying Start @ Camborne Visit Bombadingas Soft Play! 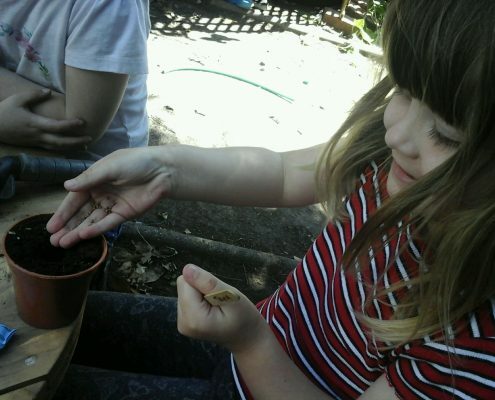 Flying Start @ Helston Pre-Schoolers Plant Seeds! https://www.flyingstart.uk.com/wp-content/uploads/2018/08/IMG_20180824_140439.jpg 1152 2048 Amber https://www.flyingstart.uk.com/wp-content/uploads/2014/02/Flying-Start-logo1.png Amber2018-08-25 09:49:332018-08-28 16:57:45Flying Start @ Helston Pre-Schoolers Plant Seeds! 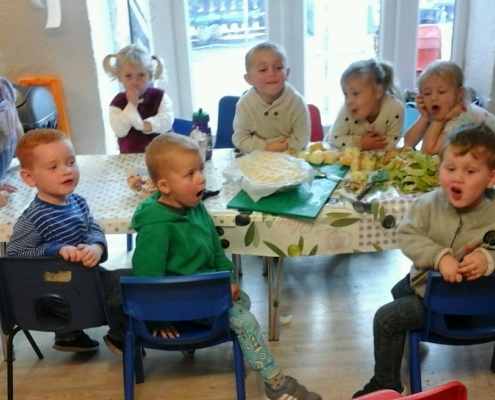 Flying Start @ Redruth Pick Apples & Make Apple Pie! https://www.flyingstart.uk.com/wp-content/uploads/2018/08/20180816_145247-e1534805795240.jpg 2560 1440 Amber https://www.flyingstart.uk.com/wp-content/uploads/2014/02/Flying-Start-logo1.png Amber2018-08-25 08:12:252018-08-20 22:58:04Flying Start @ Redruth Pick Apples & Make Apple Pie! 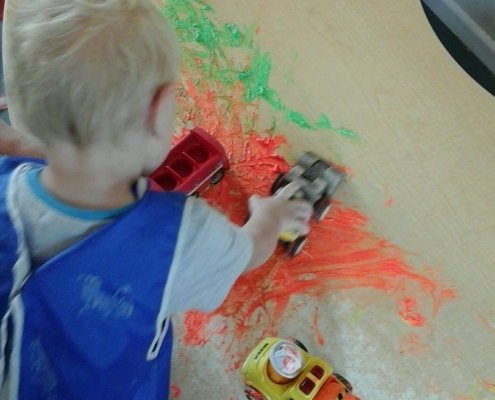 Flying Start @ Saltash Babies & Toddlers Do Painting With Cars! https://www.flyingstart.uk.com/wp-content/uploads/2018/08/IMG_20180813_101045.jpg 1152 2048 Amber https://www.flyingstart.uk.com/wp-content/uploads/2014/02/Flying-Start-logo1.png Amber2018-08-24 10:31:132018-08-20 22:38:35Flying Start @ Saltash Babies & Toddlers Do Painting With Cars! 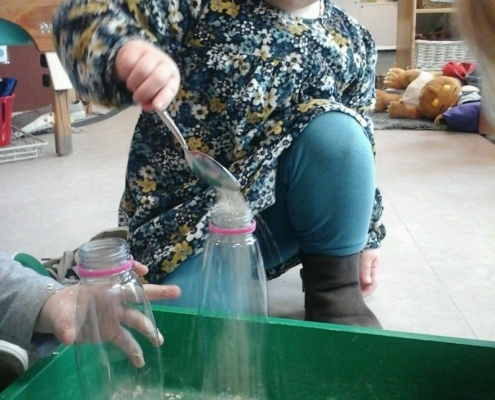 Flying Start @ Camborne Pre-Schoolers Get Messy With Sand Experiments! https://www.flyingstart.uk.com/wp-content/uploads/2018/08/IMG_20180814_143702-1.jpg 1152 2048 Amber https://www.flyingstart.uk.com/wp-content/uploads/2014/02/Flying-Start-logo1.png Amber2018-08-24 09:18:052018-08-21 15:24:37Flying Start @ Camborne Pre-Schoolers Get Messy With Sand Experiments! 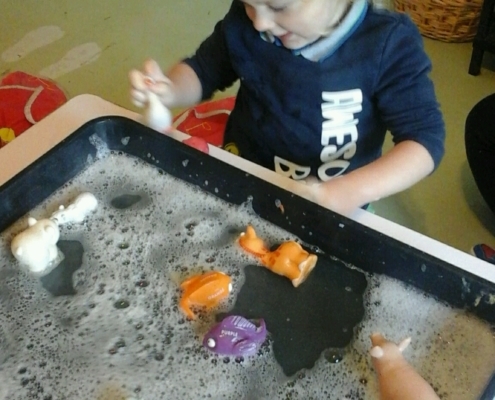 Flying Start @ Marjon Explore River Sensory Play! https://www.flyingstart.uk.com/wp-content/uploads/2018/08/IMG_20180806_092647_edit_20180806_165325.jpg 1151 1195 Amber https://www.flyingstart.uk.com/wp-content/uploads/2014/02/Flying-Start-logo1.png Amber2018-08-24 09:05:402018-08-21 15:10:27Flying Start @ Marjon Explore River Sensory Play! 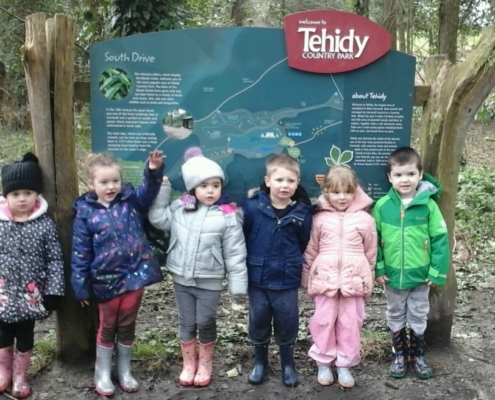 Flying Start @ Duchy Pre-Schoolers Visit Exotic Animals! https://www.flyingstart.uk.com/wp-content/uploads/2018/08/20180822_095322.jpg 1152 2048 Amber https://www.flyingstart.uk.com/wp-content/uploads/2014/02/Flying-Start-logo1.png Amber2018-08-24 08:43:222018-08-28 08:51:18Flying Start @ Duchy Pre-Schoolers Visit Exotic Animals! 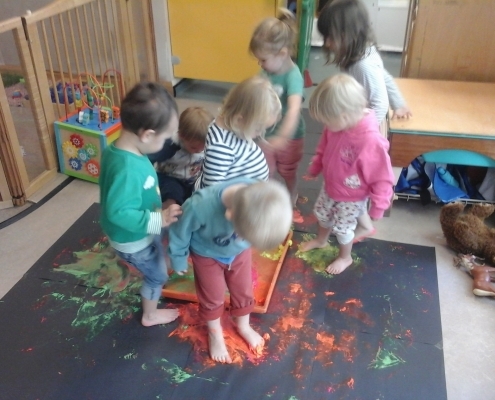 Flying Start @ Redruth Do Sand Drawing Challenge! https://www.flyingstart.uk.com/wp-content/uploads/2018/08/20180817_124646-e1534805142543.jpg 1536 2048 Amber https://www.flyingstart.uk.com/wp-content/uploads/2014/02/Flying-Start-logo1.png Amber2018-08-21 07:41:292018-08-20 22:47:45Flying Start @ Redruth Do Sand Drawing Challenge! 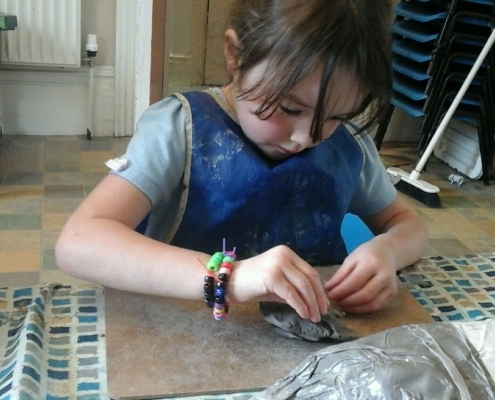 Flying Start @ Camborne Make Clay Turtles! https://www.flyingstart.uk.com/wp-content/uploads/2018/08/IMG_20180807_132753.jpg 1152 2048 Amber https://www.flyingstart.uk.com/wp-content/uploads/2014/02/Flying-Start-logo1.png Amber2018-08-21 07:21:482018-08-20 21:25:15Flying Start @ Camborne Make Clay Turtles! 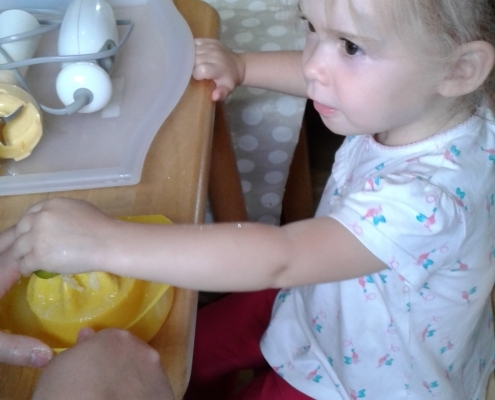 Flying Start @ Saltash Babies Explore Goop! https://www.flyingstart.uk.com/wp-content/uploads/2018/08/IMG_20180808_092555.jpg 1152 2048 Amber https://www.flyingstart.uk.com/wp-content/uploads/2014/02/Flying-Start-logo1.png Amber2018-08-20 15:33:522018-08-13 15:38:15Flying Start @ Saltash Babies Explore Goop! 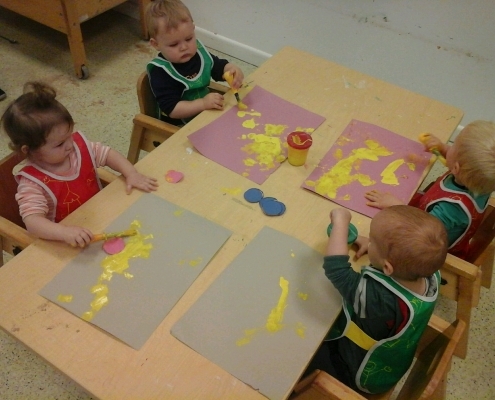 Flying Start @ Marjon Toddlers Paint With Shapes! https://www.flyingstart.uk.com/wp-content/uploads/2018/08/IMG_20180806_092122_edit_20180806_165633.jpg 1039 1638 Amber https://www.flyingstart.uk.com/wp-content/uploads/2014/02/Flying-Start-logo1.png Amber2018-08-20 09:49:362018-08-21 15:02:55Flying Start @ Marjon Toddlers Paint With Shapes! 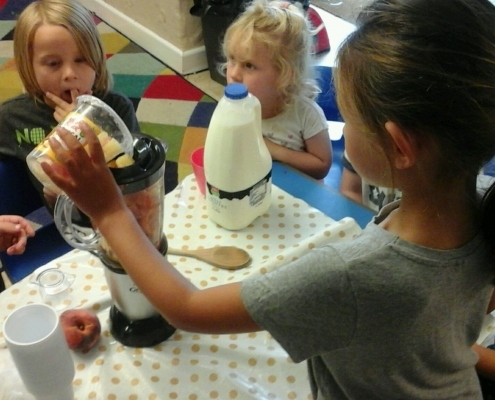 Flying Start @ Helston Get Fruity! https://www.flyingstart.uk.com/wp-content/uploads/2018/08/IMG_20180814_134530.jpg 1152 2048 Amber https://www.flyingstart.uk.com/wp-content/uploads/2014/02/Flying-Start-logo1.png Amber2018-08-18 10:59:022018-08-20 23:04:25Flying Start @ Helston Get Fruity! 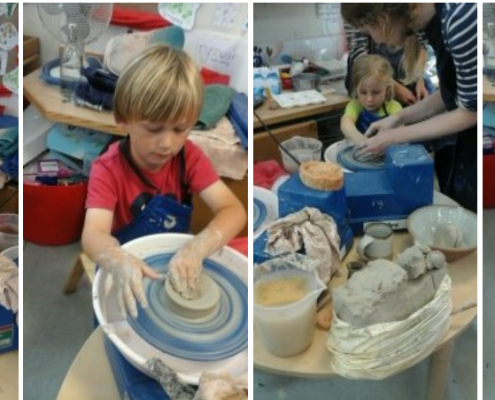 Flying Start @ Redruth Do Clay Pottery! 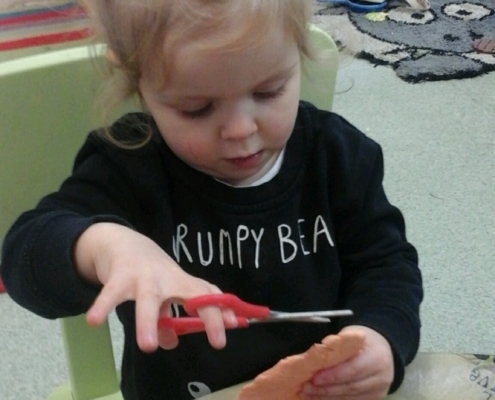 https://www.flyingstart.uk.com/wp-content/uploads/2018/08/pottery-redruth.png 452 1033 Amber https://www.flyingstart.uk.com/wp-content/uploads/2014/02/Flying-Start-logo1.png Amber2018-08-17 15:52:582018-08-14 08:00:20Flying Start @ Redruth Do Clay Pottery! 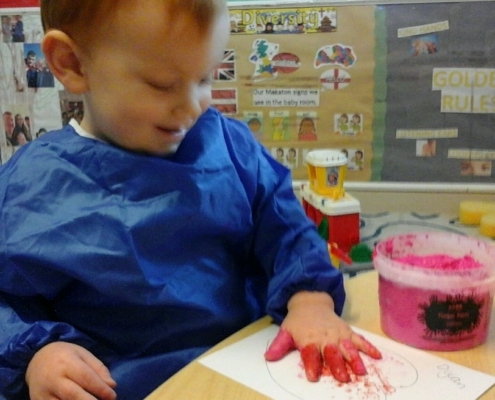 Flying Start @ Camborne Toddlers Do Foot & Hand Painting! https://www.flyingstart.uk.com/wp-content/uploads/2018/08/IMG_20180808_100505-2.jpg 1152 2048 Amber https://www.flyingstart.uk.com/wp-content/uploads/2014/02/Flying-Start-logo1.png Amber2018-08-17 10:55:232018-08-20 21:30:44Flying Start @ Camborne Toddlers Do Foot & Hand Painting! 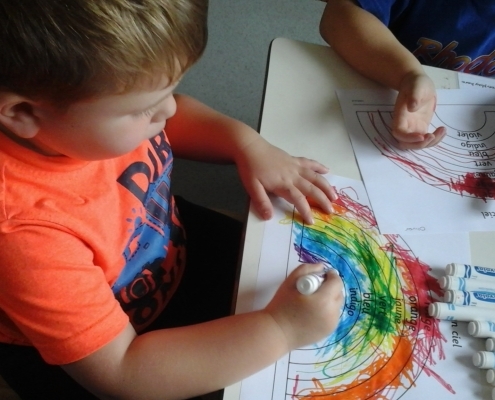 Flying Start @ Cornwall College Explore Emotions! https://www.flyingstart.uk.com/wp-content/uploads/2018/08/IMG_20180815_084536.jpg 1152 2048 Amber https://www.flyingstart.uk.com/wp-content/uploads/2014/02/Flying-Start-logo1.png Amber2018-08-17 09:12:572018-08-21 15:16:57Flying Start @ Cornwall College Explore Emotions! 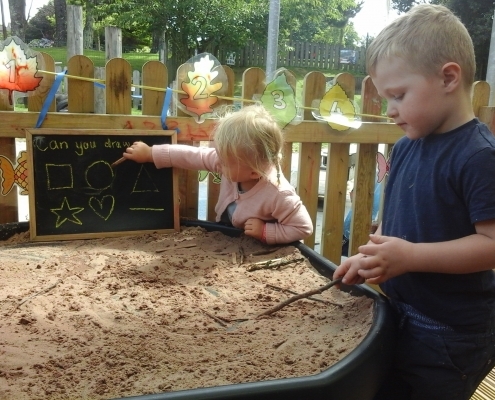 Flying Start @ Saltash Babies & Toddlers Explore Sand Tray! https://www.flyingstart.uk.com/wp-content/uploads/2018/08/IMG_20180801_092138.jpg 1152 2048 Amber https://www.flyingstart.uk.com/wp-content/uploads/2014/02/Flying-Start-logo1.png Amber2018-08-16 12:19:242018-08-13 15:33:40Flying Start @ Saltash Babies & Toddlers Explore Sand Tray! 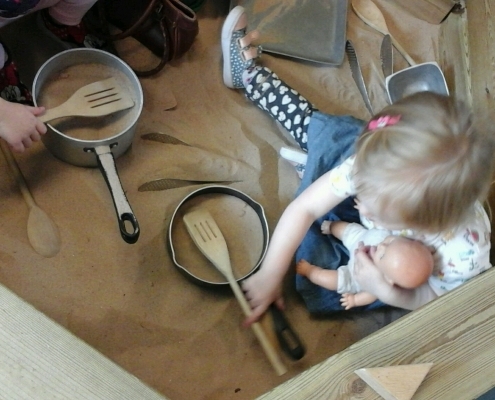 Flying Start @ Duchy Babies Explore Beach Theme! https://www.flyingstart.uk.com/wp-content/uploads/2018/08/IMG_20180605_144154.jpg 1152 2048 Amber https://www.flyingstart.uk.com/wp-content/uploads/2014/02/Flying-Start-logo1.png Amber2018-08-16 09:01:502018-08-20 21:14:16Flying Start @ Duchy Babies Explore Beach Theme! 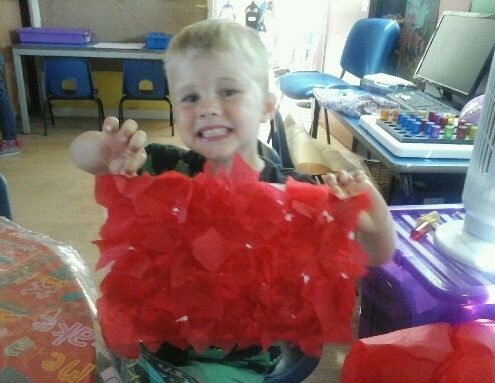 Flying Start @ Camborne Holiday Club Make Forts & Crowns! https://www.flyingstart.uk.com/wp-content/uploads/2018/08/IMG_20180809_140719.jpg 1152 2048 Amber https://www.flyingstart.uk.com/wp-content/uploads/2014/02/Flying-Start-logo1.png Amber2018-08-14 11:15:322018-08-20 21:19:45Flying Start @ Camborne Holiday Club Make Forts & Crowns! 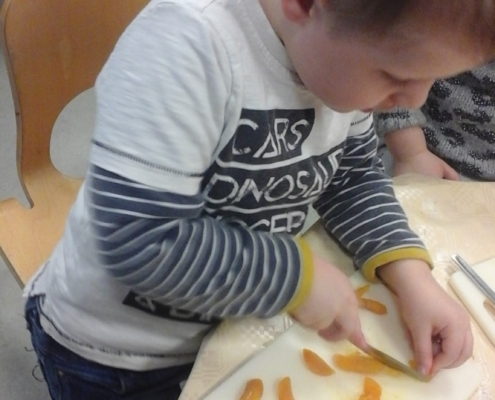 Flying Start @ Marjon Make Healthy Fruit Treats In Cooking Club! https://www.flyingstart.uk.com/wp-content/uploads/2018/08/20180813_095824-e1534236263246.jpg 2560 1440 Amber https://www.flyingstart.uk.com/wp-content/uploads/2014/02/Flying-Start-logo1.png Amber2018-08-14 10:34:162018-08-14 08:45:46Flying Start @ Marjon Make Healthy Fruit Treats In Cooking Club! 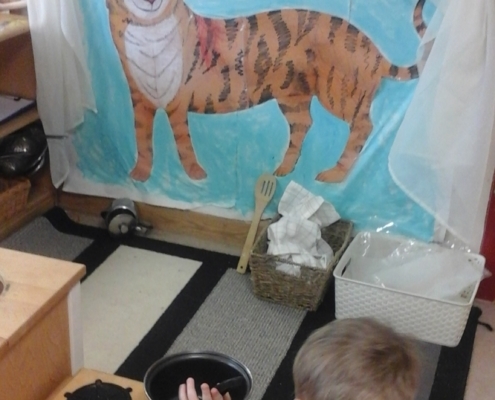 Flying Start @ Redruth Pre-School Do Africa Week! https://www.flyingstart.uk.com/wp-content/uploads/2018/08/20180806_094116-e1534233048763.jpg 2048 1152 Amber https://www.flyingstart.uk.com/wp-content/uploads/2014/02/Flying-Start-logo1.png Amber2018-08-14 07:52:282018-08-14 07:52:28Flying Start @ Redruth Pre-School Do Africa Week! 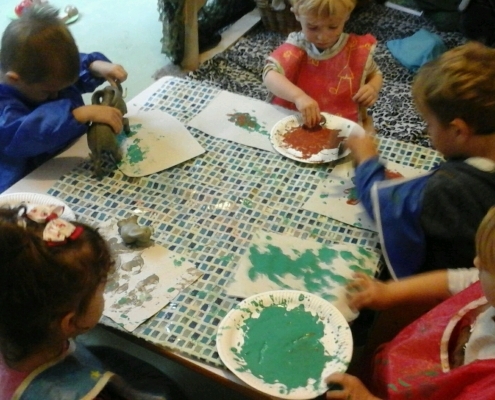 Flying Start @ Saltash Pre-Schoolers Get Creative Mixing Paints! https://www.flyingstart.uk.com/wp-content/uploads/2018/08/IMG_20180802_100108-1.jpg 1536 2048 Amber https://www.flyingstart.uk.com/wp-content/uploads/2014/02/Flying-Start-logo1.png Amber2018-08-13 10:27:132018-08-13 15:31:14Flying Start @ Saltash Pre-Schoolers Get Creative Mixing Paints! Flying Start Managers & Team Leaders Attend Annual Away Day! https://www.flyingstart.uk.com/wp-content/uploads/2018/08/tog-of-war-e1534173173798.jpg 480 640 Amber https://www.flyingstart.uk.com/wp-content/uploads/2014/02/Flying-Start-logo1.png Amber2018-08-09 10:58:212018-08-13 15:14:52Flying Start Managers & Team Leaders Attend Annual Away Day! 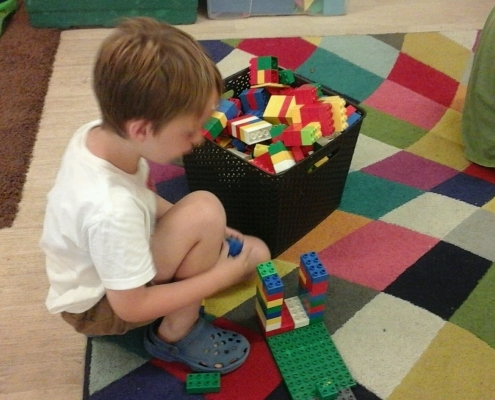 Flying Start @ Saltash Holiday Club Do Lego Challenge! https://www.flyingstart.uk.com/wp-content/uploads/2018/07/IMG_20180724_103858.jpg 1152 2048 Amber https://www.flyingstart.uk.com/wp-content/uploads/2014/02/Flying-Start-logo1.png Amber2018-08-08 11:18:132018-07-30 21:26:49Flying Start @ Saltash Holiday Club Do Lego Challenge! Flying Start @ Redruth Pick Their Homegrown Onions! https://www.flyingstart.uk.com/wp-content/uploads/2018/08/20180803_104645-e1534175152784.jpg 2048 1152 Amber https://www.flyingstart.uk.com/wp-content/uploads/2014/02/Flying-Start-logo1.png Amber2018-08-06 15:38:242018-08-13 15:48:11Flying Start @ Redruth Pick Their Homegrown Onions! 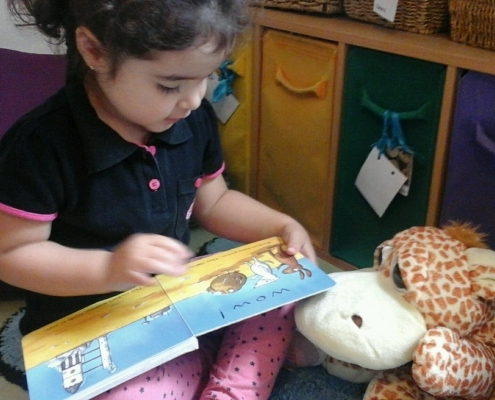 Flying Start @ Camborne Toddlers Enjoy The Book Corner! https://www.flyingstart.uk.com/wp-content/uploads/2018/07/IMG_20180718_092529.jpg 1152 2048 Amber https://www.flyingstart.uk.com/wp-content/uploads/2014/02/Flying-Start-logo1.png Amber2018-08-06 10:20:472018-07-30 19:26:46Flying Start @ Camborne Toddlers Enjoy The Book Corner! 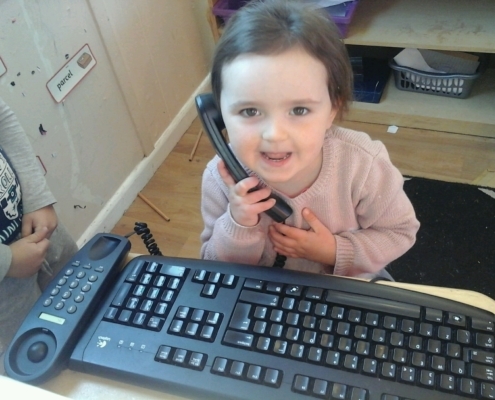 Flying Start @ Duchy Pre-School Learn Spanish! https://www.flyingstart.uk.com/wp-content/uploads/2018/07/20180625_133511.jpg 1152 2048 Amber https://www.flyingstart.uk.com/wp-content/uploads/2014/02/Flying-Start-logo1.png Amber2018-08-06 08:20:472018-07-30 20:39:54Flying Start @ Duchy Pre-School Learn Spanish! 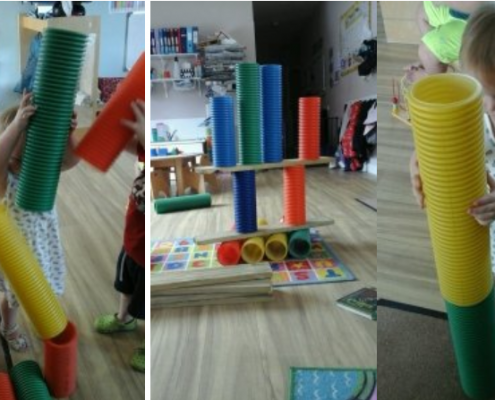 Flying Start @ Marjon Toddlers Build Big Structures! 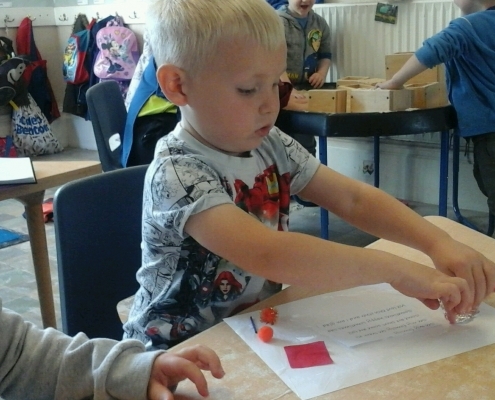 https://www.flyingstart.uk.com/wp-content/uploads/2018/08/Marjon.png 447 736 Amber https://www.flyingstart.uk.com/wp-content/uploads/2014/02/Flying-Start-logo1.png Amber2018-08-04 10:36:102018-08-21 14:48:39Flying Start @ Marjon Toddlers Build Big Structures! 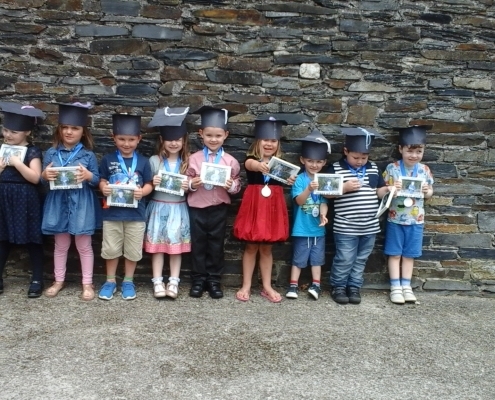 Flying Start @ Cornwall College Celebrate Pre-School Graduation! https://www.flyingstart.uk.com/wp-content/uploads/2018/07/IMG_20180720_145827.jpg 1152 2048 Amber https://www.flyingstart.uk.com/wp-content/uploads/2014/02/Flying-Start-logo1.png Amber2018-08-02 10:32:522018-07-30 19:48:37Flying Start @ Cornwall College Celebrate Pre-School Graduation! 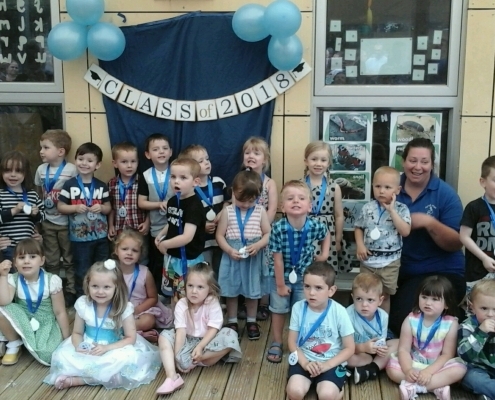 Flying Start @ Saltash Celebrate Pre-School Graduation! https://www.flyingstart.uk.com/wp-content/uploads/2018/07/20180723_173805.jpg 1152 2048 Amber https://www.flyingstart.uk.com/wp-content/uploads/2014/02/Flying-Start-logo1.png Amber2018-08-02 09:08:332018-07-30 21:17:14Flying Start @ Saltash Celebrate Pre-School Graduation! 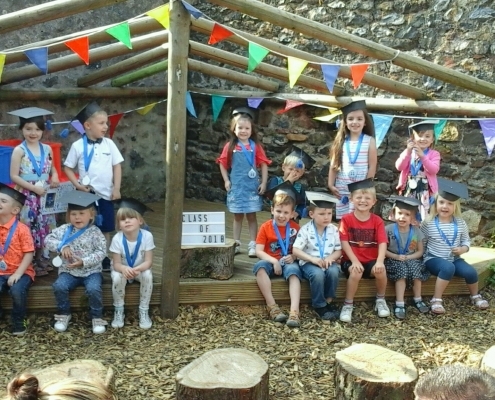 Flying Start @ Duchy Host Pre-School Graduation Event! https://www.flyingstart.uk.com/wp-content/uploads/2018/07/20180721_120540.jpg 1152 2048 Amber https://www.flyingstart.uk.com/wp-content/uploads/2014/02/Flying-Start-logo1.png Amber2018-08-01 09:51:332018-07-30 20:19:55Flying Start @ Duchy Host Pre-School Graduation Event! 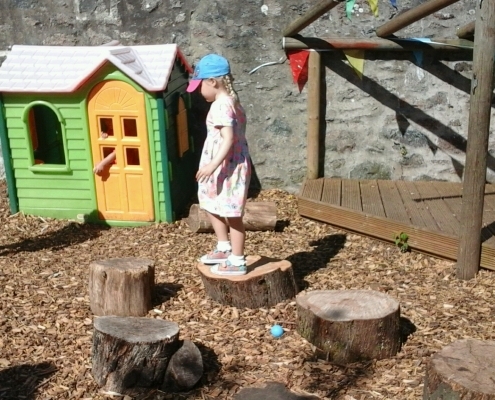 Flying Start @ Camborne Start Summer Holidays With Garden Play! https://www.flyingstart.uk.com/wp-content/uploads/2018/07/IMG_20180725_095743.jpg 1152 2048 Amber https://www.flyingstart.uk.com/wp-content/uploads/2014/02/Flying-Start-logo1.png Amber2018-07-30 19:20:172018-07-30 19:20:17Flying Start @ Camborne Start Summer Holidays With Garden Play! 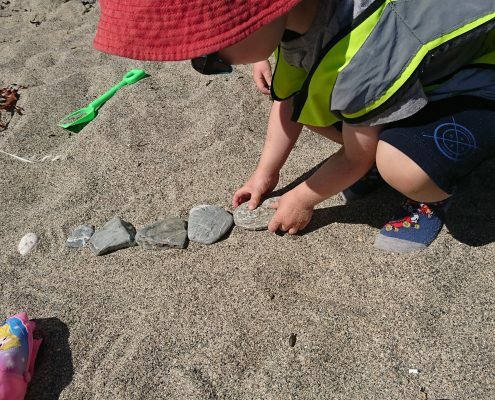 Flying Start @ Helston Pre-School Explore Beach Theme! https://www.flyingstart.uk.com/wp-content/uploads/2018/08/IMG_20180801_123913-1.jpg 1152 2048 Amber https://www.flyingstart.uk.com/wp-content/uploads/2014/02/Flying-Start-logo1.png Amber2018-07-30 10:42:232018-08-20 20:47:27Flying Start @ Helston Pre-School Explore Beach Theme! 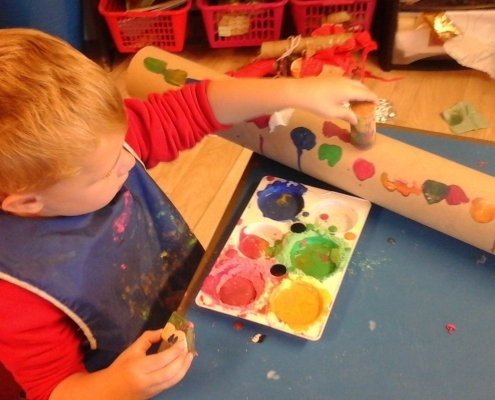 Flying Start @ Redruth Pre-School Get Inspired To Create Artwork! https://www.flyingstart.uk.com/wp-content/uploads/2018/07/20180724_092814.jpg 1152 2048 Amber https://www.flyingstart.uk.com/wp-content/uploads/2014/02/Flying-Start-logo1.png Amber2018-07-30 10:00:202018-07-30 21:06:08Flying Start @ Redruth Pre-School Get Inspired To Create Artwork! 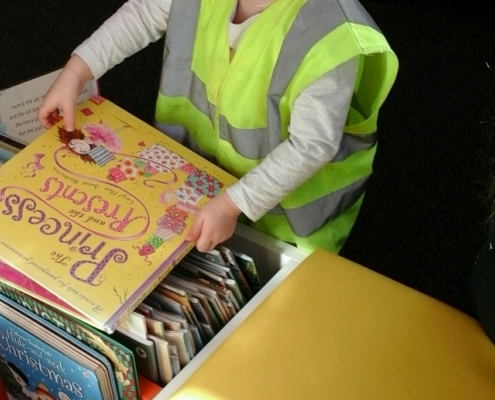 Flying Start @ Marjon Explore Campus Library! https://www.flyingstart.uk.com/wp-content/uploads/2018/08/20180727_111815.jpg 1440 2560 Amber https://www.flyingstart.uk.com/wp-content/uploads/2014/02/Flying-Start-logo1.png Amber2018-07-30 08:25:422018-08-14 08:32:12Flying Start @ Marjon Explore Campus Library! 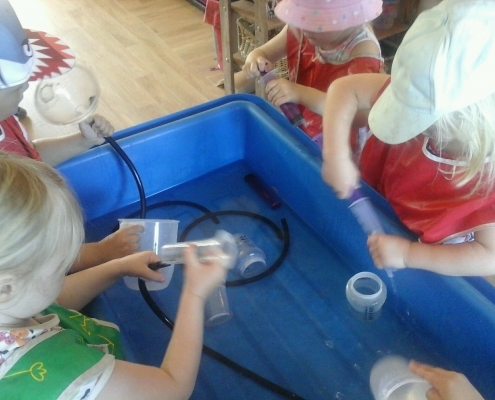 Flying Start @ Saltash Explore Water Play! 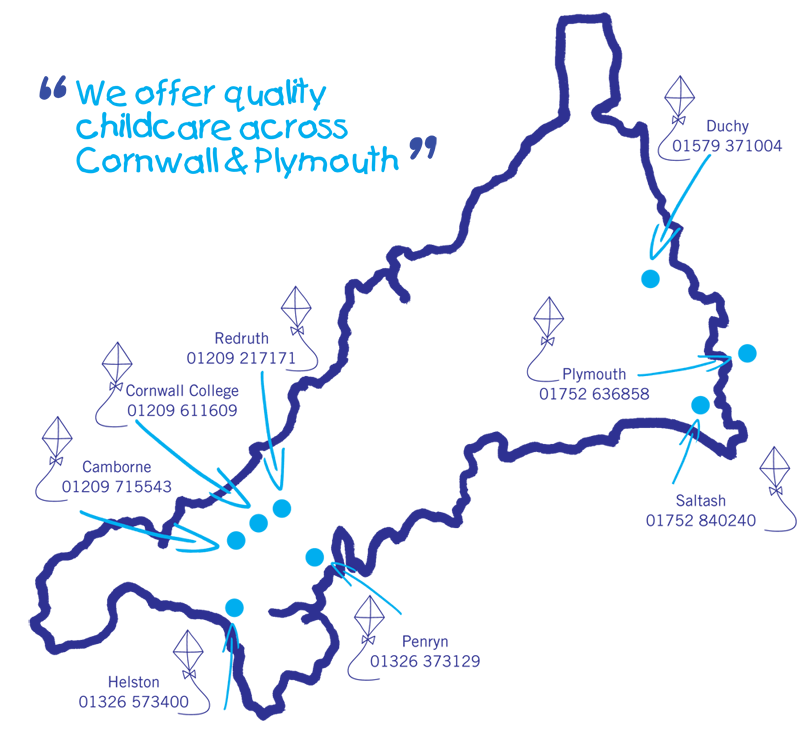 https://www.flyingstart.uk.com/wp-content/uploads/2018/07/funnels-and-syringes-2.jpg 1536 2048 Amber https://www.flyingstart.uk.com/wp-content/uploads/2014/02/Flying-Start-logo1.png Amber2018-07-28 09:52:112018-07-25 22:00:36Flying Start @ Saltash Explore Water Play! 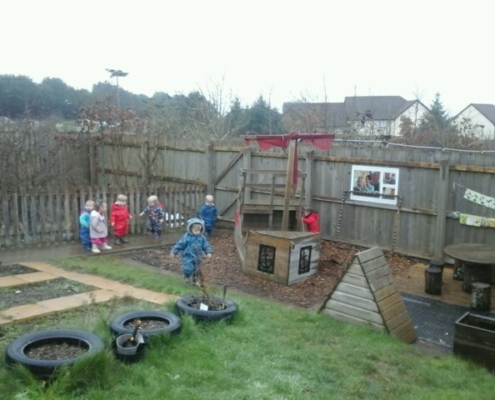 Flying Start @ Duchy Have Fun In The Nursery Garden! https://www.flyingstart.uk.com/wp-content/uploads/2018/07/IMG_20180613_095022.jpg 1152 2048 Amber https://www.flyingstart.uk.com/wp-content/uploads/2014/02/Flying-Start-logo1.png Amber2018-07-27 12:33:382018-07-25 22:38:30Flying Start @ Duchy Have Fun In The Nursery Garden! 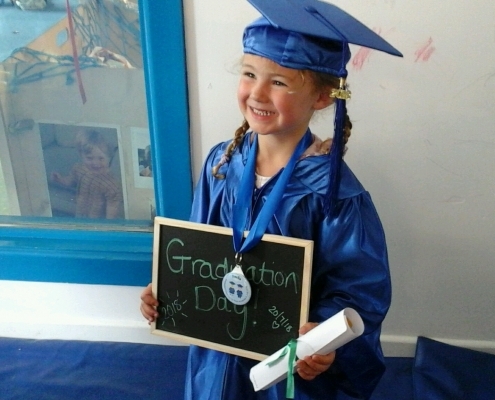 Flying Start @ Penryn Celebrate Pre-School Graduation! https://www.flyingstart.uk.com/wp-content/uploads/2018/08/IMG_20180719_160118.jpg 1152 2048 Amber https://www.flyingstart.uk.com/wp-content/uploads/2014/02/Flying-Start-logo1.png Amber2018-07-25 10:25:172018-08-14 08:15:11Flying Start @ Penryn Celebrate Pre-School Graduation! 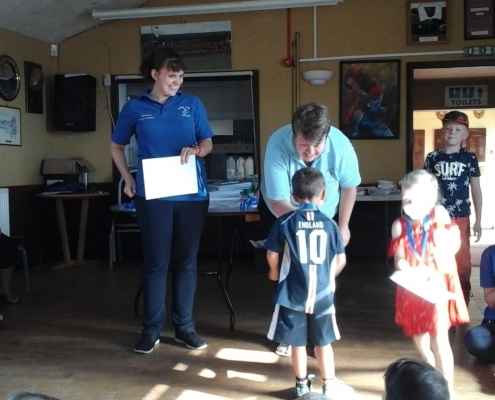 Flying Start @ Redruth Celebrate Pre-School Graduation! https://www.flyingstart.uk.com/wp-content/uploads/2018/07/IMG_20180720_183833.jpg 1152 2048 Amber https://www.flyingstart.uk.com/wp-content/uploads/2014/02/Flying-Start-logo1.png Amber2018-07-24 15:17:412018-07-24 22:27:04Flying Start @ Redruth Celebrate Pre-School Graduation! 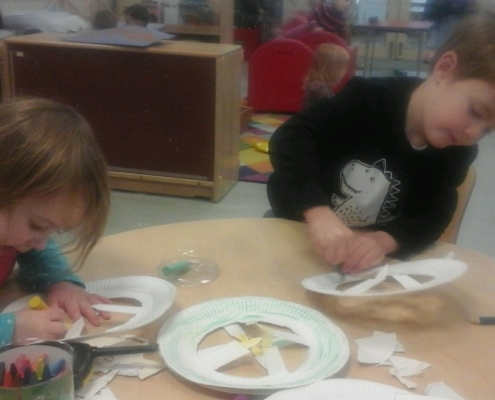 Flying Start @ Saltash Pre-School Make Boats & Cars! https://www.flyingstart.uk.com/wp-content/uploads/2018/07/paint.png 298 495 Amber https://www.flyingstart.uk.com/wp-content/uploads/2014/02/Flying-Start-logo1.png Amber2018-07-24 11:40:552018-07-25 21:51:43Flying Start @ Saltash Pre-School Make Boats & Cars! 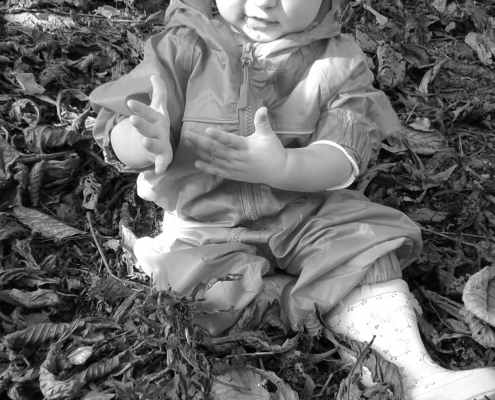 Flying Start @ Cornwall College Babies Explore Outdoors! 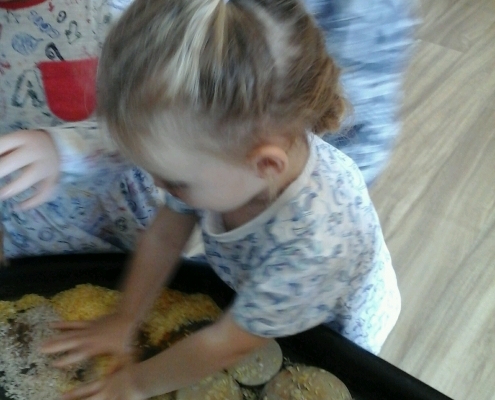 https://www.flyingstart.uk.com/wp-content/uploads/2018/07/IMG_20180720_110434.jpg 1536 2048 Amber https://www.flyingstart.uk.com/wp-content/uploads/2014/02/Flying-Start-logo1.png Amber2018-07-23 10:28:142018-07-30 19:32:23Flying Start @ Cornwall College Babies Explore Outdoors! 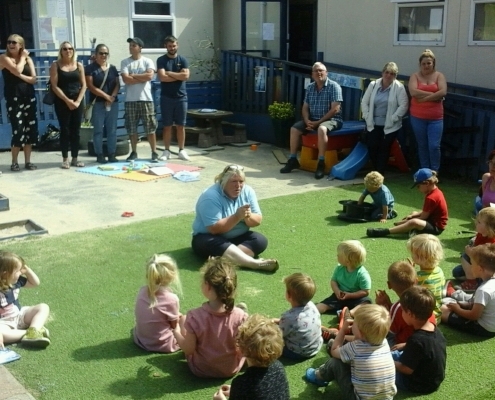 Flying Start @ Camborne Celebrate Pre-School Graduation! https://www.flyingstart.uk.com/wp-content/uploads/2018/07/IMG_20180718_172801.jpg 1152 2048 Amber https://www.flyingstart.uk.com/wp-content/uploads/2014/02/Flying-Start-logo1.png Amber2018-07-23 09:46:482018-07-24 21:24:14Flying Start @ Camborne Celebrate Pre-School Graduation! 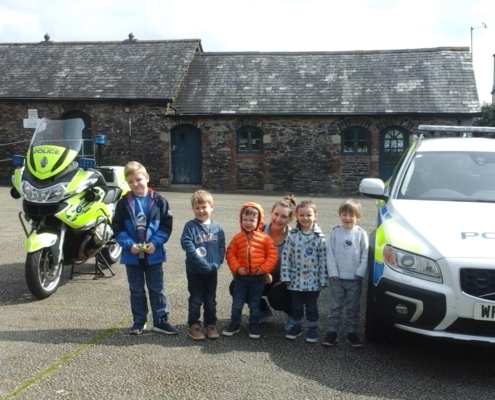 Flying Start @ Duchy Have A Special Visit From The Police! https://www.flyingstart.uk.com/wp-content/uploads/2018/07/20180718_113339-1.jpg 1152 2048 Amber https://www.flyingstart.uk.com/wp-content/uploads/2014/02/Flying-Start-logo1.png Amber2018-07-22 12:06:352018-07-25 22:22:03Flying Start @ Duchy Have A Special Visit From The Police! 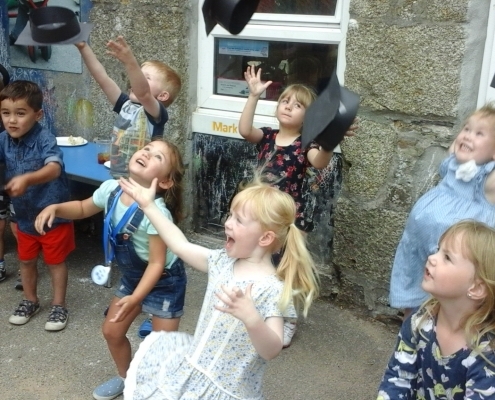 Flying Start @ Helston Celebrate Pre-School Graduation With Family Fun Event! https://www.flyingstart.uk.com/wp-content/uploads/2018/07/20180720_165551.jpg 1152 2048 Amber https://www.flyingstart.uk.com/wp-content/uploads/2014/02/Flying-Start-logo1.png Amber2018-07-22 10:38:072018-07-24 22:11:04Flying Start @ Helston Celebrate Pre-School Graduation With Family Fun Event! 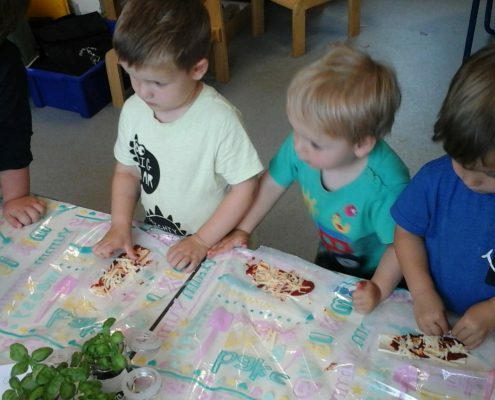 Flying Start @ Marjon Grow & Pick Vegetables! https://www.flyingstart.uk.com/wp-content/uploads/2018/08/IMG_20180719_105156.jpg 1440 2560 Amber https://www.flyingstart.uk.com/wp-content/uploads/2014/02/Flying-Start-logo1.png Amber2018-07-22 10:19:382018-08-14 08:24:30Flying Start @ Marjon Grow & Pick Vegetables! 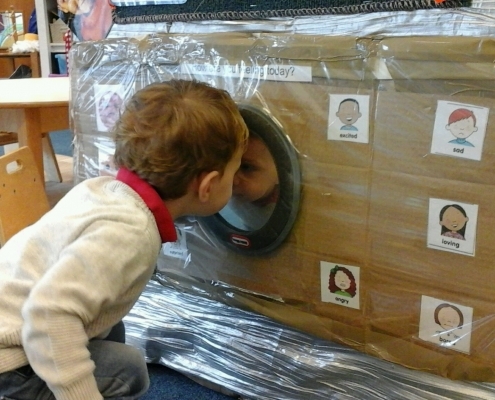 Flying Start @ Saltash Pre-Schoolers Explore Inside of a Laptop! 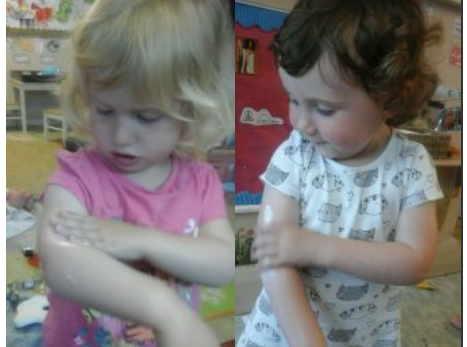 https://www.flyingstart.uk.com/wp-content/uploads/2018/08/37250057_1047344485390840_6805651520491618304_o.jpg 1536 2048 Amber https://www.flyingstart.uk.com/wp-content/uploads/2014/02/Flying-Start-logo1.png Amber2018-07-21 17:09:332018-08-15 17:13:15Flying Start @ Saltash Pre-Schoolers Explore Inside of a Laptop! 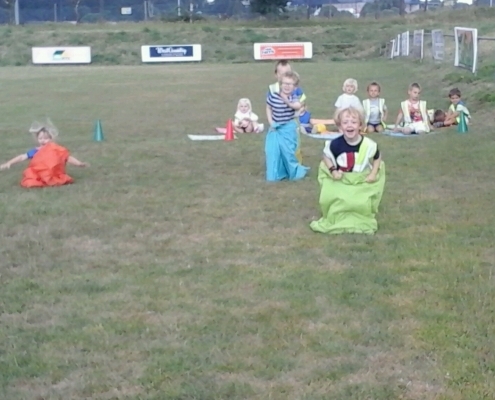 Flying Start @ Penryn Have Sports Day! https://www.flyingstart.uk.com/wp-content/uploads/2018/08/IMG_20180718_105520.jpg 1152 2048 Amber https://www.flyingstart.uk.com/wp-content/uploads/2014/02/Flying-Start-logo1.png Amber2018-07-19 08:01:272018-08-14 08:07:03Flying Start @ Penryn Have Sports Day! 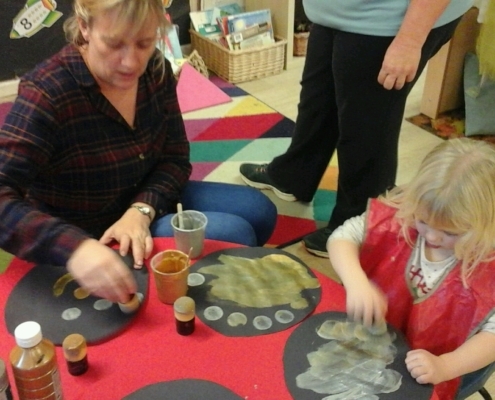 Flying Start @ Saltash Make Marble Paint Pictures! https://www.flyingstart.uk.com/wp-content/uploads/2018/07/IMG_20180621_135623.jpg 1152 2048 Steve https://www.flyingstart.uk.com/wp-content/uploads/2014/02/Flying-Start-logo1.png Steve2018-07-18 09:29:042018-07-16 20:30:54Flying Start @ Saltash Make Marble Paint Pictures! Flying Start @ Camborne Cool Off In The Hot Weather! https://www.flyingstart.uk.com/wp-content/uploads/2018/07/IMG_20180628_105448.jpg 1152 2048 Amber https://www.flyingstart.uk.com/wp-content/uploads/2014/02/Flying-Start-logo1.png Amber2018-07-16 11:02:002018-07-24 21:14:11Flying Start @ Camborne Cool Off In The Hot Weather! Flying Start @ Redruth Explore Croatia For The World Cup! https://www.flyingstart.uk.com/wp-content/uploads/2018/07/IMG_20180710_131305.jpg 1536 2048 Steve https://www.flyingstart.uk.com/wp-content/uploads/2014/02/Flying-Start-logo1.png Steve2018-07-15 10:52:012018-07-16 21:01:08Flying Start @ Redruth Explore Croatia For The World Cup! Flying Start @ Duchy Host Creative Stay & Play! https://www.flyingstart.uk.com/wp-content/uploads/2018/07/20180712_085754-1.jpg 1152 2048 Amber https://www.flyingstart.uk.com/wp-content/uploads/2014/02/Flying-Start-logo1.png Amber2018-07-15 10:23:042018-07-25 22:33:00Flying Start @ Duchy Host Creative Stay & Play! Flying Start @ Duchy Paint Uruguay Flags for World Cup! https://www.flyingstart.uk.com/wp-content/uploads/2018/07/20180713_093926-1.jpg 1152 2048 Steve https://www.flyingstart.uk.com/wp-content/uploads/2014/02/Flying-Start-logo1.png Steve2018-07-14 17:39:072018-07-16 20:49:53Flying Start @ Duchy Paint Uruguay Flags for World Cup! 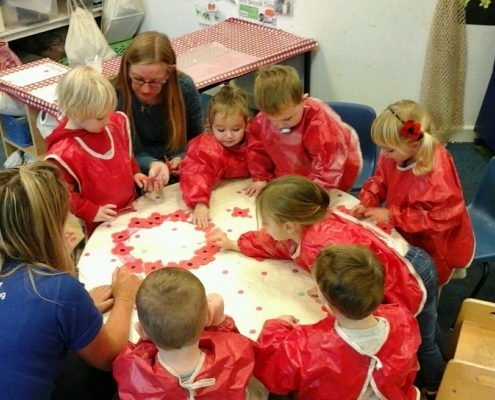 Flying Start @ Saltash Explore Russian Culture for the World Cup! https://www.flyingstart.uk.com/wp-content/uploads/2018/07/russ5.jpg 383 511 Steve https://www.flyingstart.uk.com/wp-content/uploads/2014/02/Flying-Start-logo1.png Steve2018-07-14 10:29:202018-07-16 20:39:02Flying Start @ Saltash Explore Russian Culture for the World Cup! 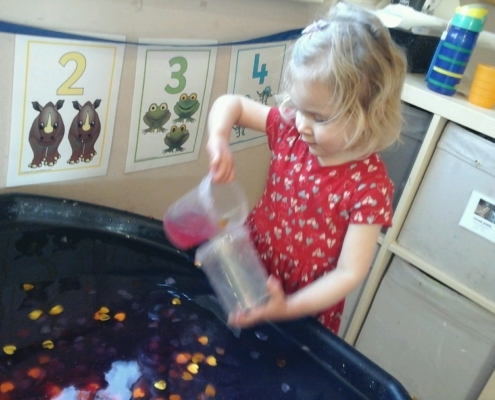 Flying Start @ Helston Toddlers Make Potions! https://www.flyingstart.uk.com/wp-content/uploads/2018/08/IMG_20180730_104829.jpg 1152 2048 Amber https://www.flyingstart.uk.com/wp-content/uploads/2014/02/Flying-Start-logo1.png Amber2018-07-12 09:48:142018-08-20 20:56:01Flying Start @ Helston Toddlers Make Potions! 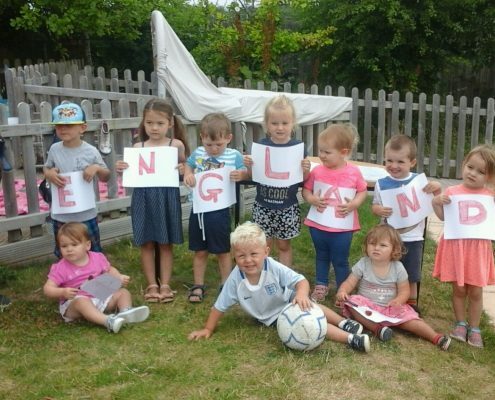 Flying Start @ Marjon Support England for the World Cup! https://www.flyingstart.uk.com/wp-content/uploads/2018/07/IMG_20180711_105657.jpg 1152 2048 Steve https://www.flyingstart.uk.com/wp-content/uploads/2014/02/Flying-Start-logo1.png Steve2018-07-11 10:03:042018-07-16 21:09:22Flying Start @ Marjon Support England for the World Cup! 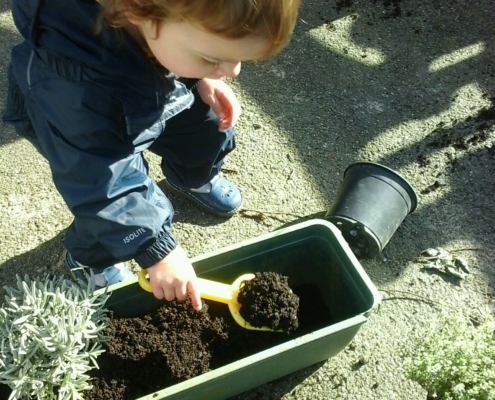 Flying Start @ Saltash Pre-School Plant Seeds! https://www.flyingstart.uk.com/wp-content/uploads/2018/07/IMG_20180622_112109.jpg 1536 2048 Steve https://www.flyingstart.uk.com/wp-content/uploads/2014/02/Flying-Start-logo1.png Steve2018-07-11 09:13:372018-07-07 23:27:58Flying Start @ Saltash Pre-School Plant Seeds! Flying Start @ Camborne Get In The World Cup Spirit! https://www.flyingstart.uk.com/wp-content/uploads/2018/07/IMG_20180704_153732-1.jpg 1152 2048 Steve https://www.flyingstart.uk.com/wp-content/uploads/2014/02/Flying-Start-logo1.png Steve2018-07-10 10:52:372018-07-24 21:01:08Flying Start @ Camborne Get In The World Cup Spirit! 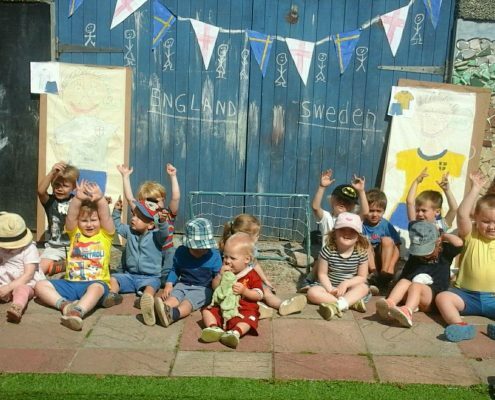 Flying Start @ Penryn Celebrate The World Cup By Exploring Sweden! https://www.flyingstart.uk.com/wp-content/uploads/2018/07/image_5b437c955e7d2__pd.jpg 1127 1638 Steve https://www.flyingstart.uk.com/wp-content/uploads/2014/02/Flying-Start-logo1.png Steve2018-07-08 11:27:332018-07-12 21:50:42Flying Start @ Penryn Celebrate The World Cup By Exploring Sweden! 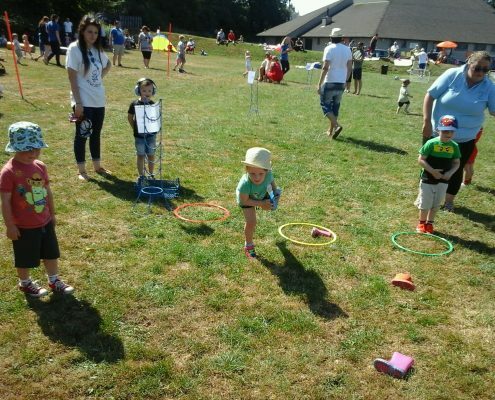 Flying Start @ Saltash Enjoy Sports Day In The Sun! https://www.flyingstart.uk.com/wp-content/uploads/2018/07/IMG_20180707_105701-1.jpg 1536 2048 Steve https://www.flyingstart.uk.com/wp-content/uploads/2014/02/Flying-Start-logo1.png Steve2018-07-08 10:39:202018-07-07 22:23:37Flying Start @ Saltash Enjoy Sports Day In The Sun! 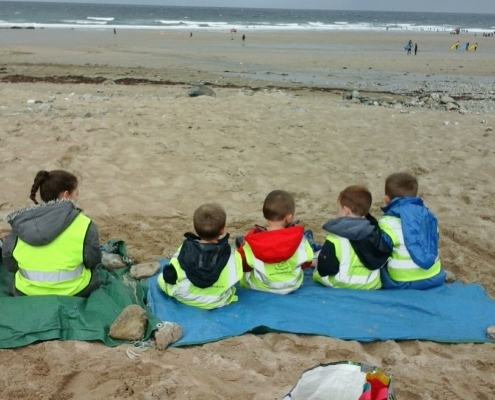 Flying Start @ Cornwall College Pre-School Visit The Beach! 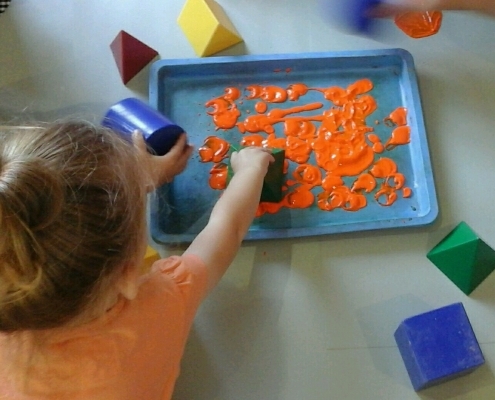 https://www.flyingstart.uk.com/wp-content/uploads/2018/07/preschool-beach-2.jpg 2160 3840 Steve https://www.flyingstart.uk.com/wp-content/uploads/2014/02/Flying-Start-logo1.png Steve2018-07-05 12:57:142018-07-07 22:03:45Flying Start @ Cornwall College Pre-School Visit The Beach! Flying Start @ Camborne Enjoy Summer Fun Day Event! https://www.flyingstart.uk.com/wp-content/uploads/2018/07/IMG_20180630_113144.jpg 1152 2048 Steve https://www.flyingstart.uk.com/wp-content/uploads/2014/02/Flying-Start-logo1.png Steve2018-07-05 08:27:172018-07-07 22:35:44Flying Start @ Camborne Enjoy Summer Fun Day Event! 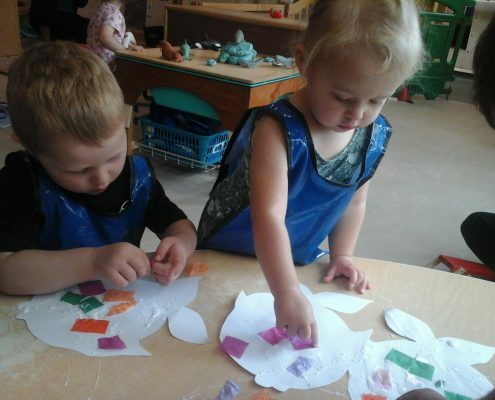 Flying Start @ Redruth Toddlers Make Rainbow Fish! https://www.flyingstart.uk.com/wp-content/uploads/2018/07/20180706_092603.jpg 1536 2048 Steve https://www.flyingstart.uk.com/wp-content/uploads/2014/02/Flying-Start-logo1.png Steve2018-07-04 11:35:482018-07-07 23:39:01Flying Start @ Redruth Toddlers Make Rainbow Fish! Flying Start @ Camborne Bake Cakes For Their Summer Event! https://www.flyingstart.uk.com/wp-content/uploads/2018/07/IMG_20180628_111127.jpg 1152 2048 Steve https://www.flyingstart.uk.com/wp-content/uploads/2014/02/Flying-Start-logo1.png Steve2018-07-03 14:45:412018-07-07 22:49:38Flying Start @ Camborne Bake Cakes For Their Summer Event! 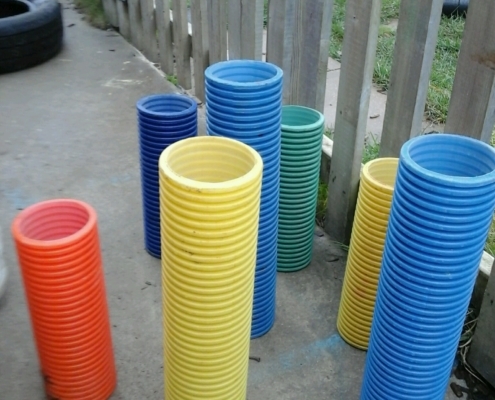 Flying Start @ Saltash Explore New Garden Equipment! https://www.flyingstart.uk.com/wp-content/uploads/2018/07/IMG_20180626_082830.jpg 1536 2048 Steve https://www.flyingstart.uk.com/wp-content/uploads/2014/02/Flying-Start-logo1.png Steve2018-07-03 12:06:262018-07-07 23:12:18Flying Start @ Saltash Explore New Garden Equipment! 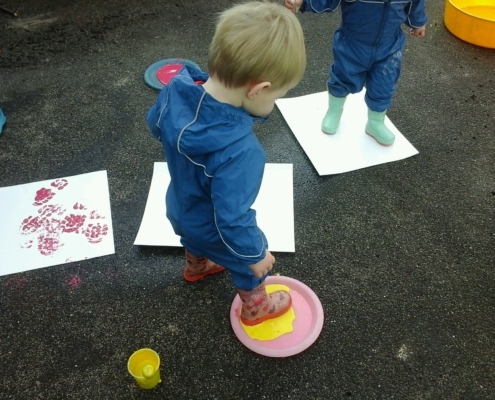 Flying Start @ Camborne Toddlers Do Footprint Art! https://www.flyingstart.uk.com/wp-content/uploads/2018/06/IMG_20180620_112600.jpg 1152 2048 Steve https://www.flyingstart.uk.com/wp-content/uploads/2014/02/Flying-Start-logo1.png Steve2018-07-01 10:13:542018-06-28 21:18:29Flying Start @ Camborne Toddlers Do Footprint Art! 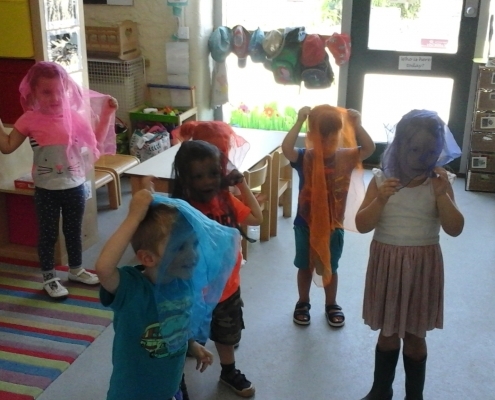 Flying Start @ Helston Toddlers Get Dressed Up For Summer! https://www.flyingstart.uk.com/wp-content/uploads/2018/06/IMG_20180618_110117-1.jpg 2048 1152 Steve https://www.flyingstart.uk.com/wp-content/uploads/2014/02/Flying-Start-logo1.png Steve2018-06-29 09:57:052018-06-28 20:59:12Flying Start @ Helston Toddlers Get Dressed Up For Summer! 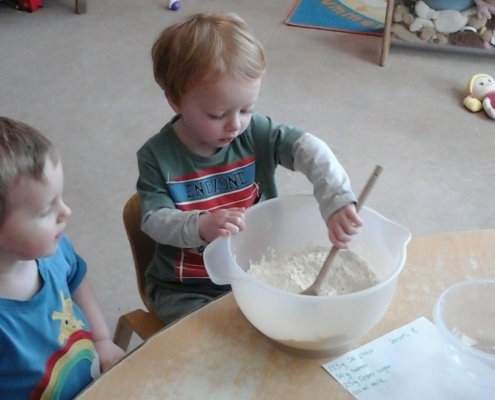 Flying Start @ Redruth Bake Bread With Their Homegrown Herbs! https://www.flyingstart.uk.com/wp-content/uploads/2018/06/IMG_20180621_130536.jpg 1440 2560 Steve https://www.flyingstart.uk.com/wp-content/uploads/2014/02/Flying-Start-logo1.png Steve2018-06-29 09:30:562018-06-28 21:38:35Flying Start @ Redruth Bake Bread With Their Homegrown Herbs! 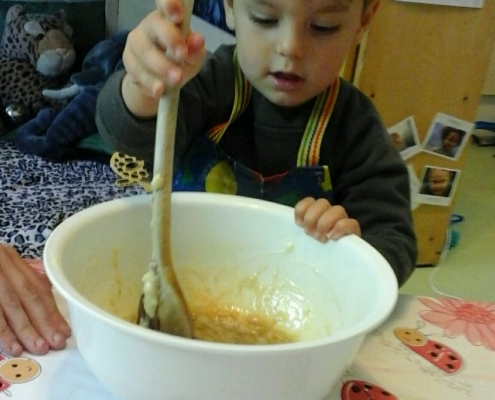 Flying Start @ Camborne Pre-School Bake Banana Buns! 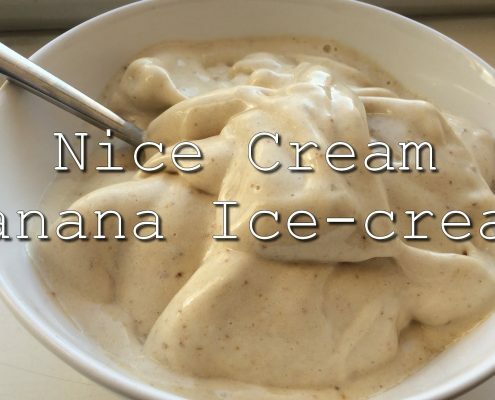 https://www.flyingstart.uk.com/wp-content/uploads/2018/06/banana.png 417 714 Steve https://www.flyingstart.uk.com/wp-content/uploads/2014/02/Flying-Start-logo1.png Steve2018-06-28 14:09:352018-06-28 21:13:41Flying Start @ Camborne Pre-School Bake Banana Buns! 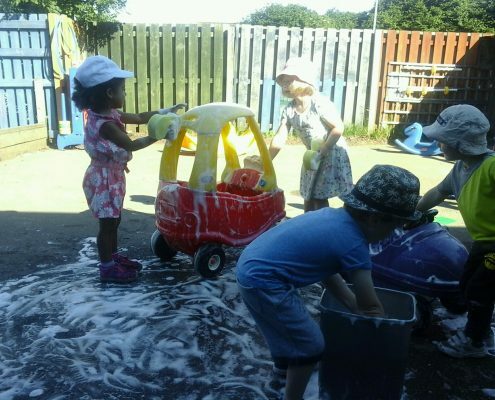 Flying Start @ Saltash Pre-Schoolers Do A Car Wash! https://www.flyingstart.uk.com/wp-content/uploads/2018/06/IMG_20180627_090441.jpg 1536 2048 Steve https://www.flyingstart.uk.com/wp-content/uploads/2014/02/Flying-Start-logo1.png Steve2018-06-28 11:40:042018-06-28 21:52:14Flying Start @ Saltash Pre-Schoolers Do A Car Wash! 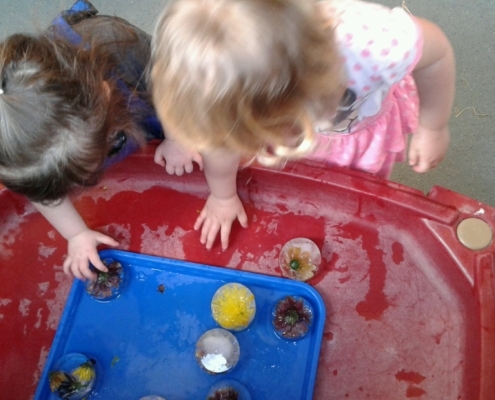 Flying Start @ Cornwall College Toddlers Enjoy Paddling Pool! https://www.flyingstart.uk.com/wp-content/uploads/2018/07/IMG_20180628_131145.jpg 1152 2048 Steve https://www.flyingstart.uk.com/wp-content/uploads/2014/02/Flying-Start-logo1.png Steve2018-06-27 11:54:302018-07-07 22:12:37Flying Start @ Cornwall College Toddlers Enjoy Paddling Pool! Flying Start @ Helston Go On Boating Lake Trip! https://www.flyingstart.uk.com/wp-content/uploads/2018/06/IMG_20180621_104222-1.jpg 1152 2048 Steve https://www.flyingstart.uk.com/wp-content/uploads/2014/02/Flying-Start-logo1.png Steve2018-06-26 09:32:462018-06-28 20:56:20Flying Start @ Helston Go On Boating Lake Trip! 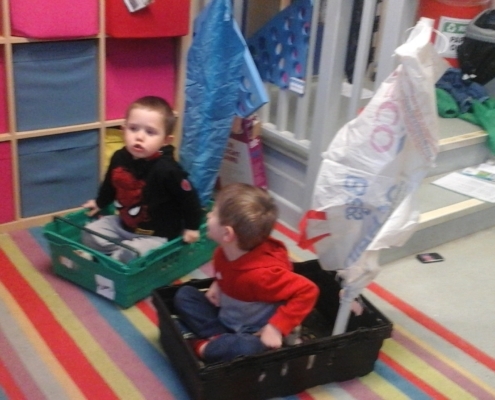 Flying Start @ Redruth Sail The Seas In Their Pirate Ship! https://www.flyingstart.uk.com/wp-content/uploads/2018/06/20180627_091030.jpg 1536 2048 Steve https://www.flyingstart.uk.com/wp-content/uploads/2014/02/Flying-Start-logo1.png Steve2018-06-25 15:25:462018-06-28 21:30:49Flying Start @ Redruth Sail The Seas In Their Pirate Ship! 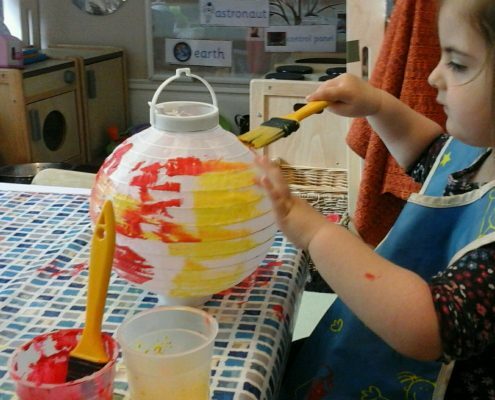 Flying Start @ Camborne Toddlers Make Planet Lanterns! https://www.flyingstart.uk.com/wp-content/uploads/2018/06/IMG_20180614_112703.jpg 1152 2048 Steve https://www.flyingstart.uk.com/wp-content/uploads/2014/02/Flying-Start-logo1.png Steve2018-06-24 16:08:512018-06-19 11:14:34Flying Start @ Camborne Toddlers Make Planet Lanterns! 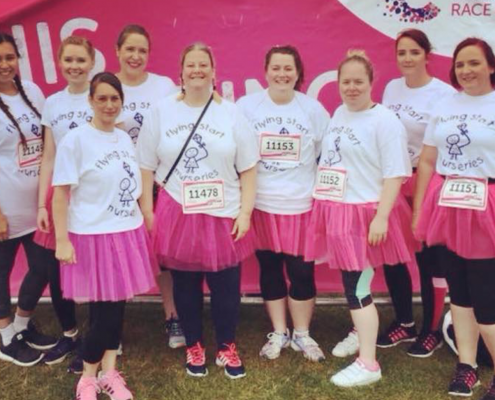 Flying Start @ Marjon Staff Team Run The Race for Life! https://www.flyingstart.uk.com/wp-content/uploads/2018/07/IMG_6412.png 1242 2208 Steve https://www.flyingstart.uk.com/wp-content/uploads/2014/02/Flying-Start-logo1.png Steve2018-06-24 10:53:352018-07-07 21:57:01Flying Start @ Marjon Staff Team Run The Race for Life! 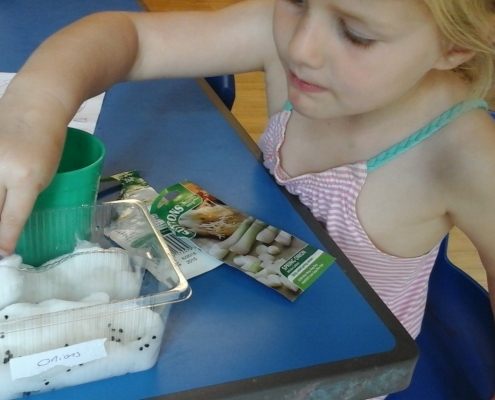 Flying Start @ Duchy Do Cooking Club With Their Home Grown Herbs! https://www.flyingstart.uk.com/wp-content/uploads/2018/06/20180607_133431.jpg 1152 2048 Steve https://www.flyingstart.uk.com/wp-content/uploads/2014/02/Flying-Start-logo1.png Steve2018-06-24 08:19:492018-06-20 07:32:34Flying Start @ Duchy Do Cooking Club With Their Home Grown Herbs! 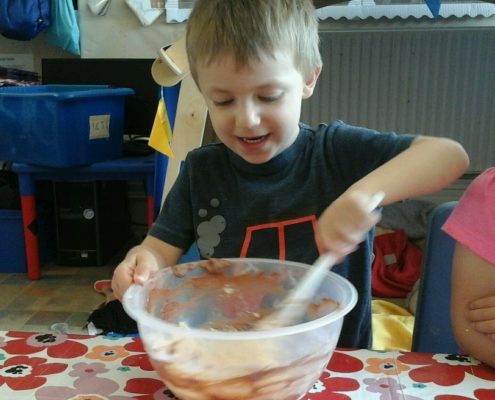 Flying Start @ Saltash Toddlers Make Healthy Ice Cream! https://www.flyingstart.uk.com/wp-content/uploads/2018/06/maxresdefault.jpg 1080 1920 Steve https://www.flyingstart.uk.com/wp-content/uploads/2014/02/Flying-Start-logo1.png Steve2018-06-22 10:14:542018-06-28 22:11:07Flying Start @ Saltash Toddlers Make Healthy Ice Cream! 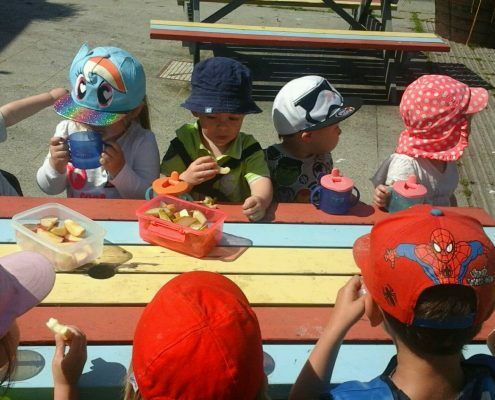 Flying Start @ Helston Are Ready For Summer! https://www.flyingstart.uk.com/wp-content/uploads/2018/06/suncream.png 347 467 Steve https://www.flyingstart.uk.com/wp-content/uploads/2014/02/Flying-Start-logo1.png Steve2018-06-20 07:50:152018-06-20 07:50:15Flying Start @ Helston Are Ready For Summer! 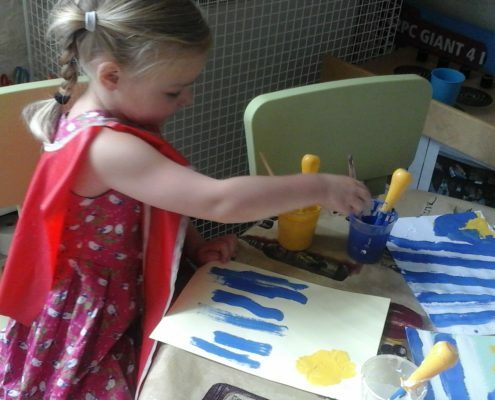 Flying Start @ Redruth Celebrate Father's Day With Stay & Play! 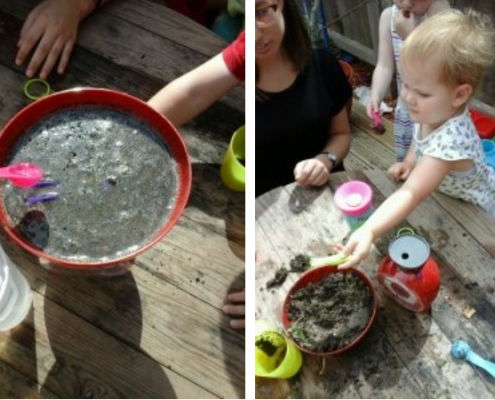 https://www.flyingstart.uk.com/wp-content/uploads/2018/06/35732263_1011052712353351_7025234248940388352_o.jpg 1152 2048 Steve https://www.flyingstart.uk.com/wp-content/uploads/2014/02/Flying-Start-logo1.png Steve2018-06-19 16:53:552018-06-28 21:24:51Flying Start @ Redruth Celebrate Father's Day With Stay & Play! Flying Start @ Duchy Host Fathers Day Stay & Play! https://www.flyingstart.uk.com/wp-content/uploads/2018/06/20180615_091704.jpg 1152 2048 Steve https://www.flyingstart.uk.com/wp-content/uploads/2014/02/Flying-Start-logo1.png Steve2018-06-19 16:31:462018-06-20 07:39:10Flying Start @ Duchy Host Fathers Day Stay & Play! 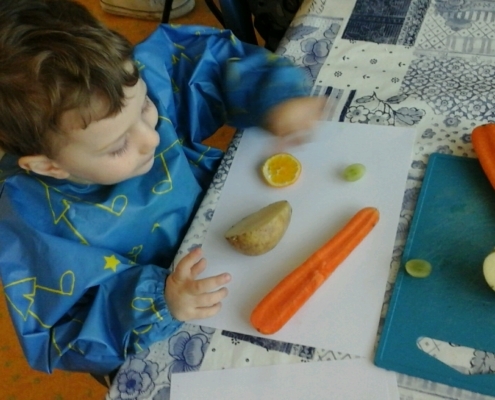 Flying Start @ Camborne Celebrate Healthy Eating Week! https://www.flyingstart.uk.com/wp-content/uploads/2018/06/IMG_20180612_102459.jpg 1152 2048 Steve https://www.flyingstart.uk.com/wp-content/uploads/2014/02/Flying-Start-logo1.png Steve2018-06-19 11:08:062018-06-19 11:08:06Flying Start @ Camborne Celebrate Healthy Eating Week! Flying Start @ Cornwall College Do Rugby Masterclasses! https://www.flyingstart.uk.com/wp-content/uploads/2018/06/rugby-1.jpg 1000 1369 Steve https://www.flyingstart.uk.com/wp-content/uploads/2014/02/Flying-Start-logo1.png Steve2018-06-19 07:45:042018-06-20 07:15:58Flying Start @ Cornwall College Do Rugby Masterclasses! 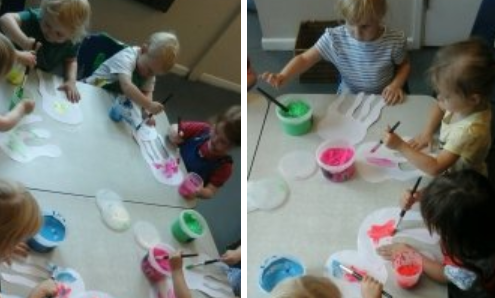 Flying Start @ Camborne Toddlers Become Astronauts! https://www.flyingstart.uk.com/wp-content/uploads/2018/06/colander.png 469 513 Steve https://www.flyingstart.uk.com/wp-content/uploads/2014/02/Flying-Start-logo1.png Steve2018-06-17 10:10:082018-06-14 19:11:37Flying Start @ Camborne Toddlers Become Astronauts!